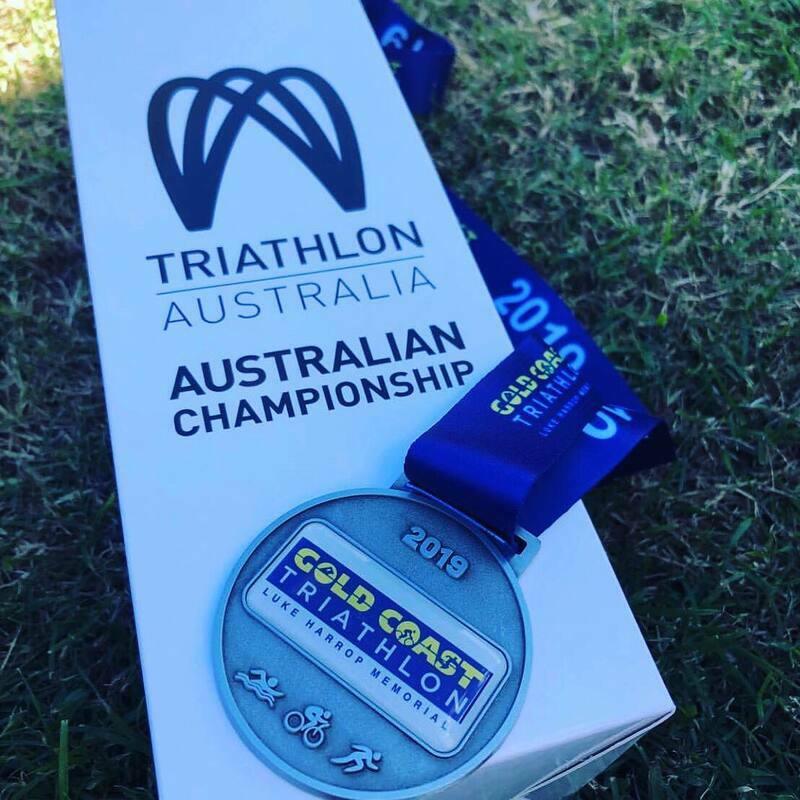 Another big weekend of racing that was very successful by the Sunshine Coast Triathlon Academy / Protector Aluminium Athletes. 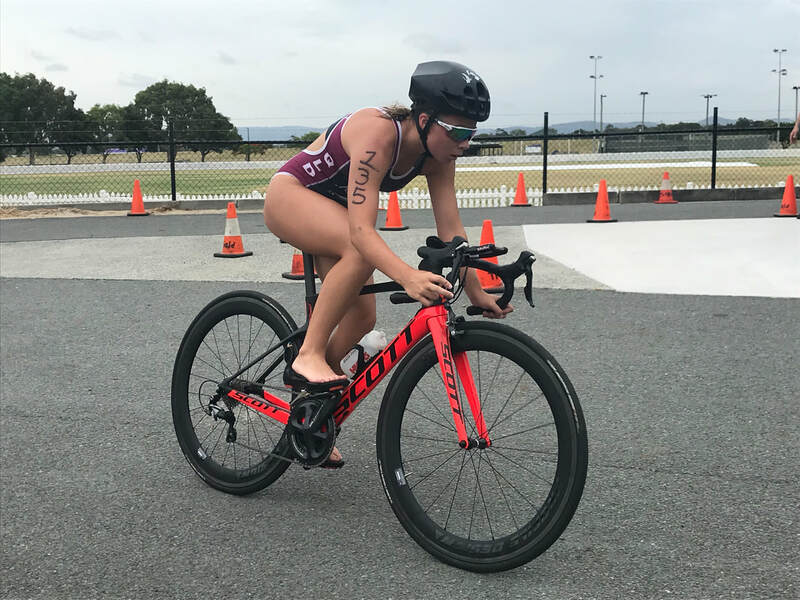 Moreton Bay Triathlon doubled as the Oceania Championships for the Elite and U/23 Athletes while in the OD it was the Queensland Championships. For the Clubs it was Club Championships as well. 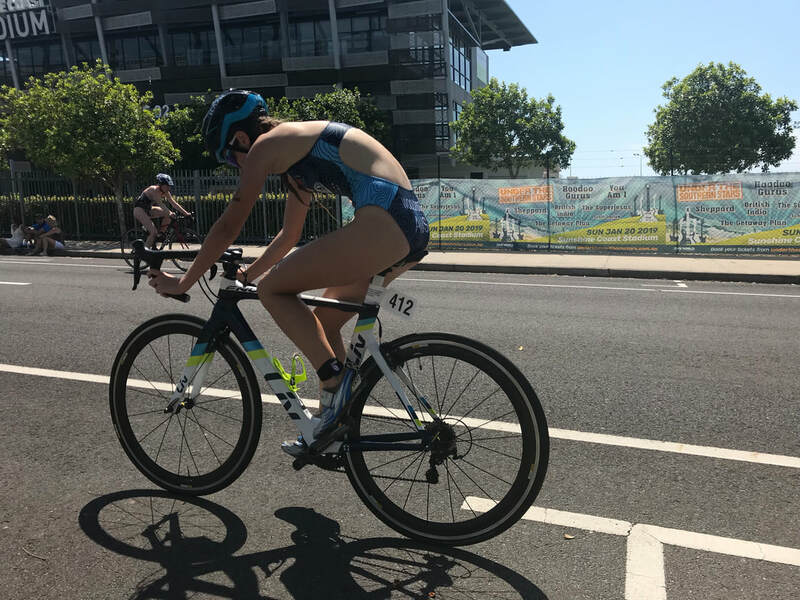 Lucy Bowden continued her dominate with 2 wins from 2 races with both being the first female Overall home. 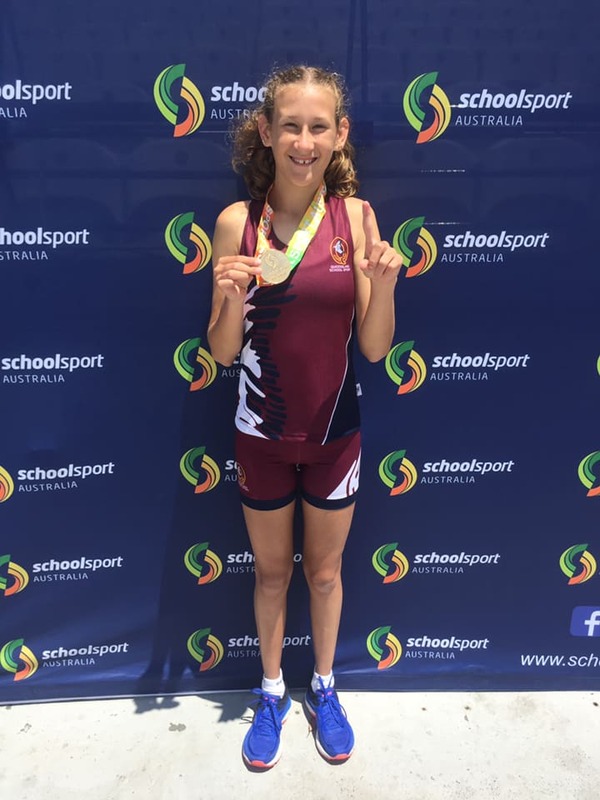 She took out the State Championships 25-29. 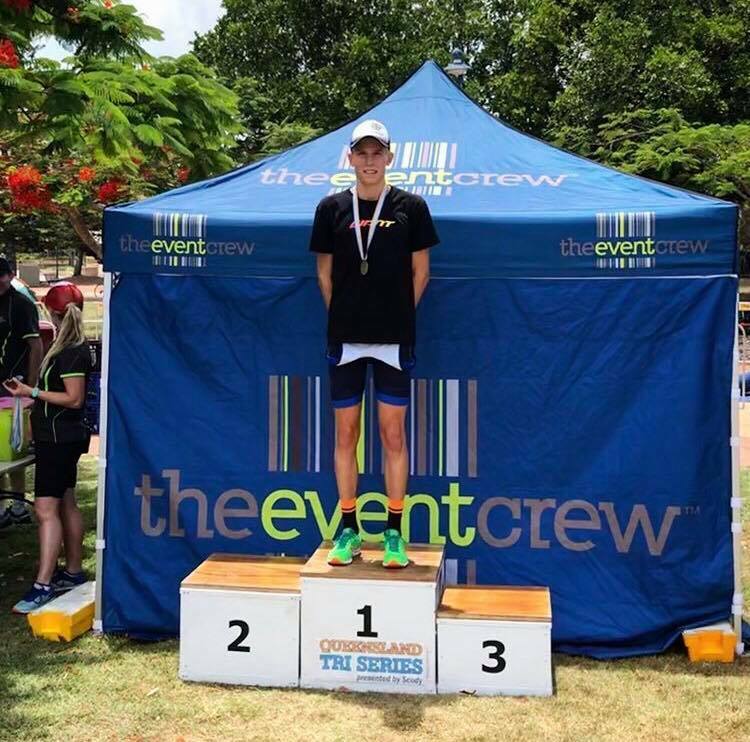 Other State Champions included Peyton Craig (U/14), Brett Stalley (55-59). 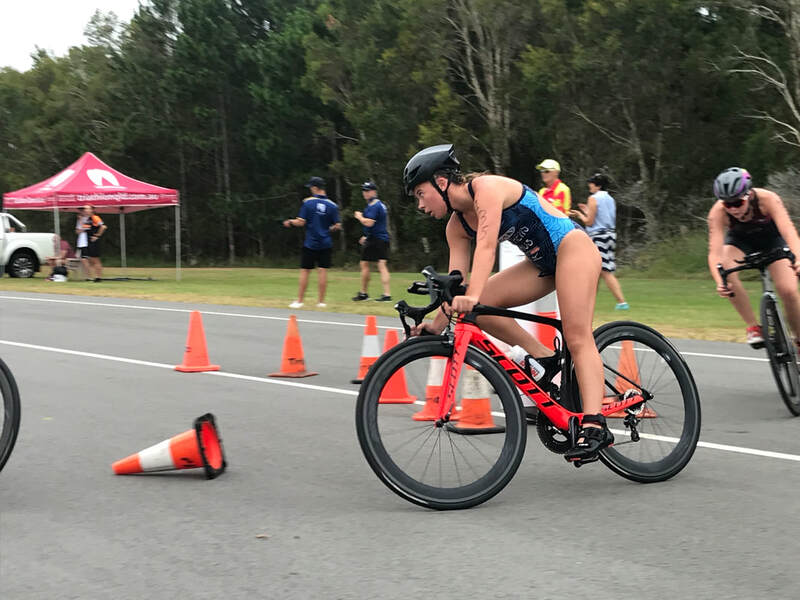 SCTA Club Members in the OTU Oceania Championships saw Kelly Ann Perkins take out the Race Win and Oceania Elite Title, while Brittany Dutton claimed the U/23 Oceania Title and 6th place in the Elite. 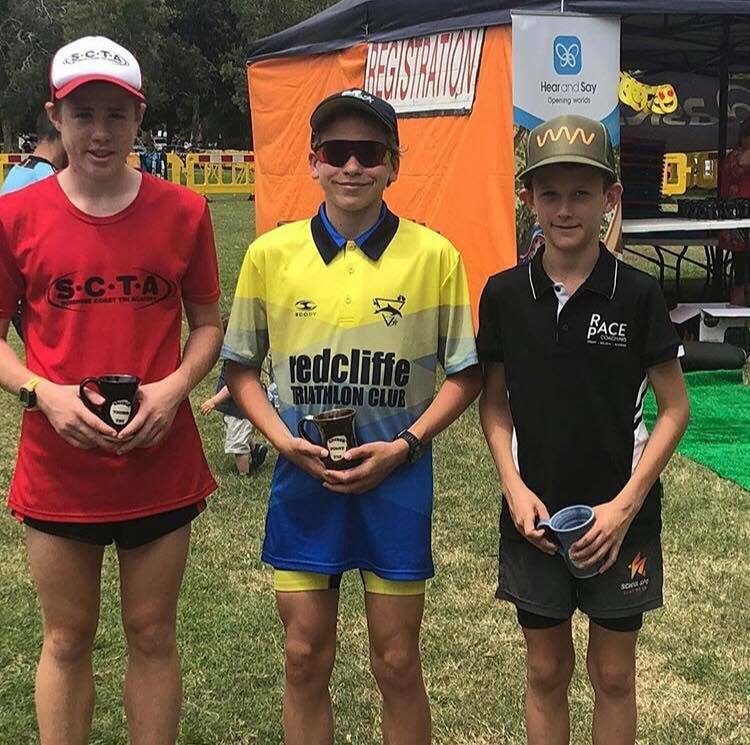 Round # 2 of the Allez Sport Cross Country Series was held at Ben Bennet Park. 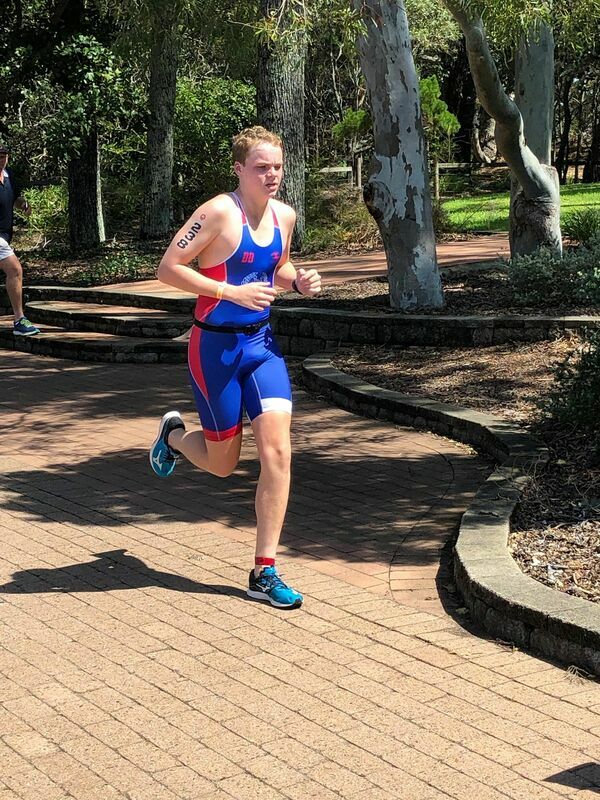 Michael Hooper claimed 3rd place (U/40) with Jessica Lee 5th (U/40 Female) in the 10km, while Maddi Dutton 6th (U/40 Female) in the 6km. 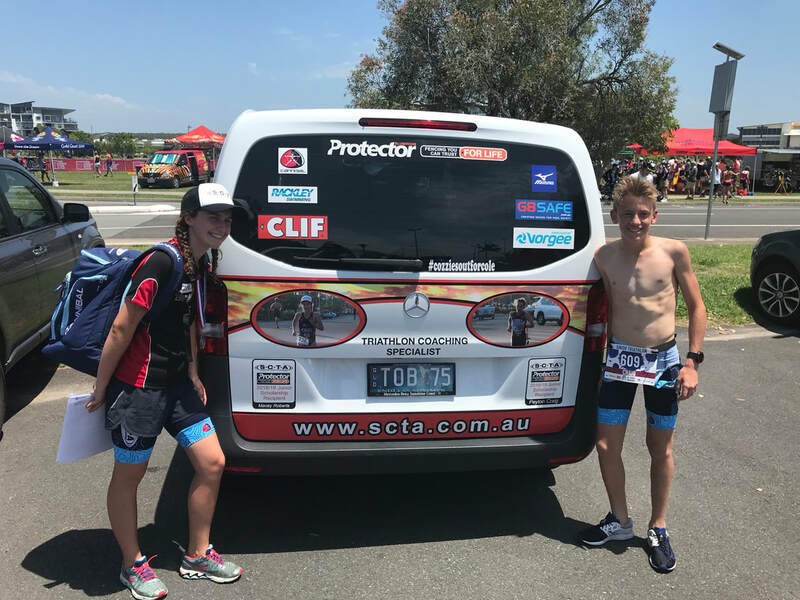 Sunshine Coast Triathlon Academy / Protector Aluminium athletes were racing at Kingscliff Triathlon, Battle on the Balonne, ITU World Cup New Plymouth, Wishlist Charity Run and Allez Sport Cross Country # 1. 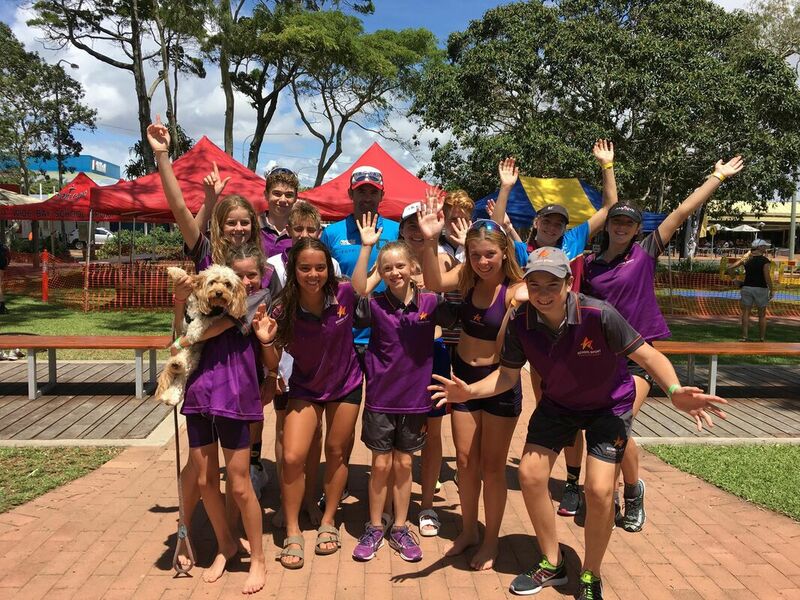 Also a massive thanks to all the Volunteers that helped at Triathlon Pink Sunshine Coast. 10 came and supported the event by giving up their time and the donation that SCTA will gain from it goes back into equipment for the Squad. 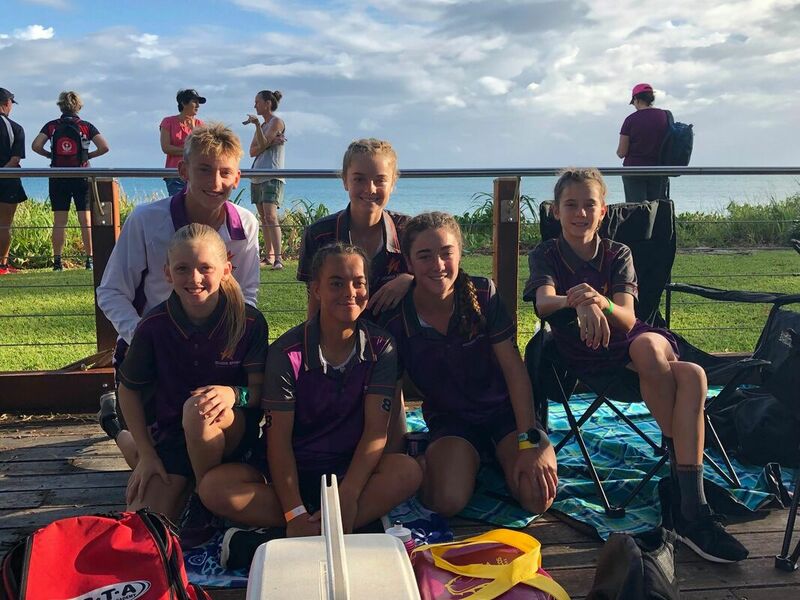 A big thanks to Lucy Bowden, Rebecca Howell, Tania Gover, Anna Eaton, Jan Wanklyn, Wooldridge Family and Matthews Family. 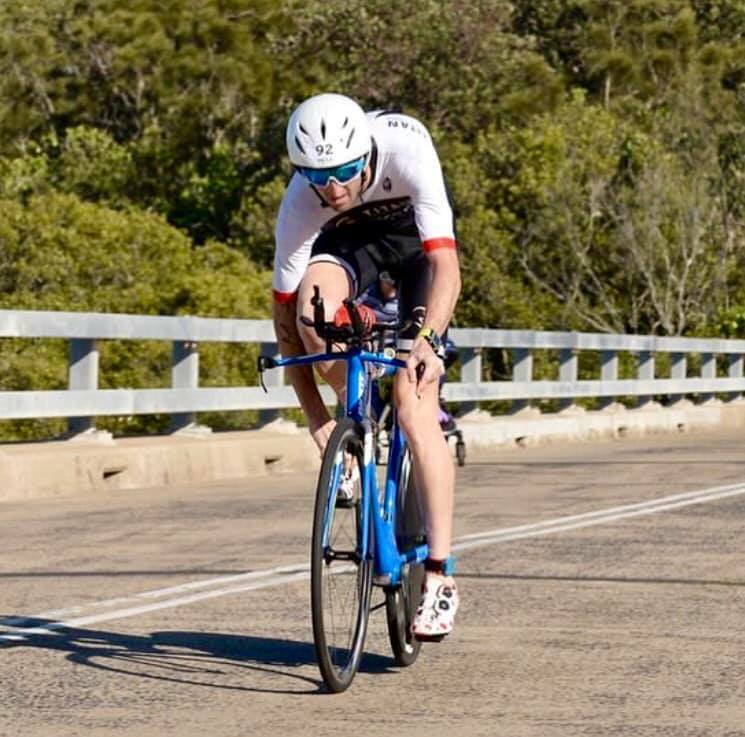 Down at Kingscliff for the Triathlon where they had Olympic Distance and the Sprint Distance which doubled as the Queensland Sprint Champs where we had Ryan Marsh compete in the 13-15 Years where he took out 2nd place and was 5th Overall. 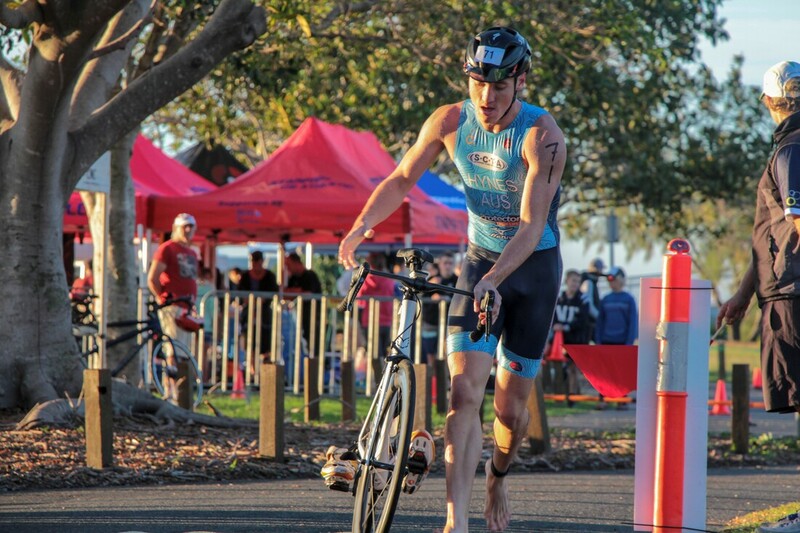 Leading into the race Ryan was leading the Triathlon Queensland State Series in his category. 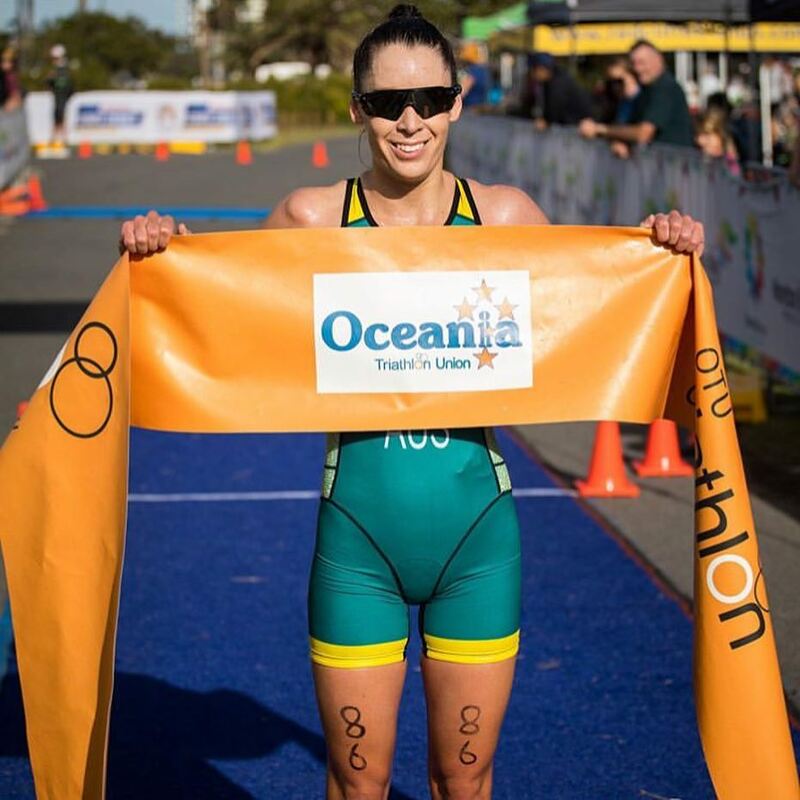 In the Olympic Distance Brie Murphy had a great race to take out her category win in 25-29 Female. 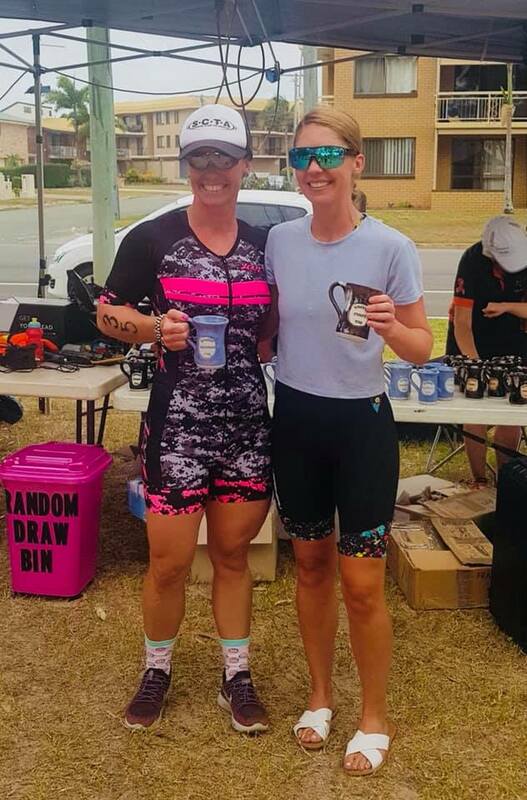 Battle on the Balonne saw the return of SCTA Club Member Kierra Sansome for her first race in a while and she put it out there and had a great race to take the Female Race Title and some cash with a 7th Overall. 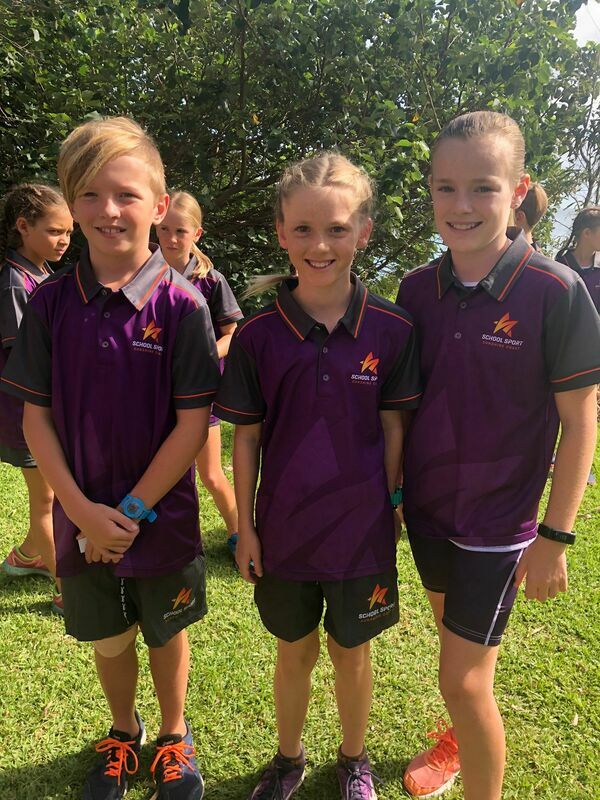 The first round of the Allez Sport Sunshine Coast Cross Country was run at the Corbould Park where the recent rain made it a true cross country with muddy and slippery conditions. 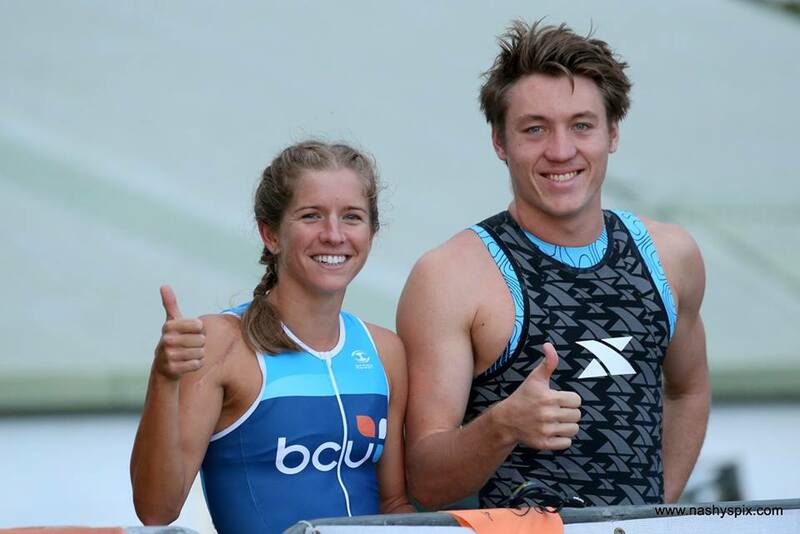 Both Jericho Pogany and Jessica Lee had solid runs. 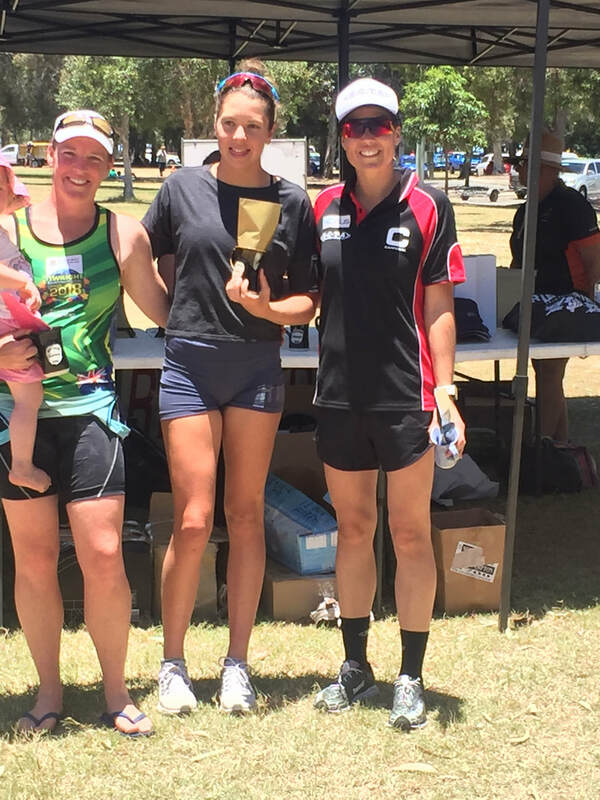 While at the Wishlist 5km Run Charlotte Durand took the category win in senior Female and 2nd Female overall. 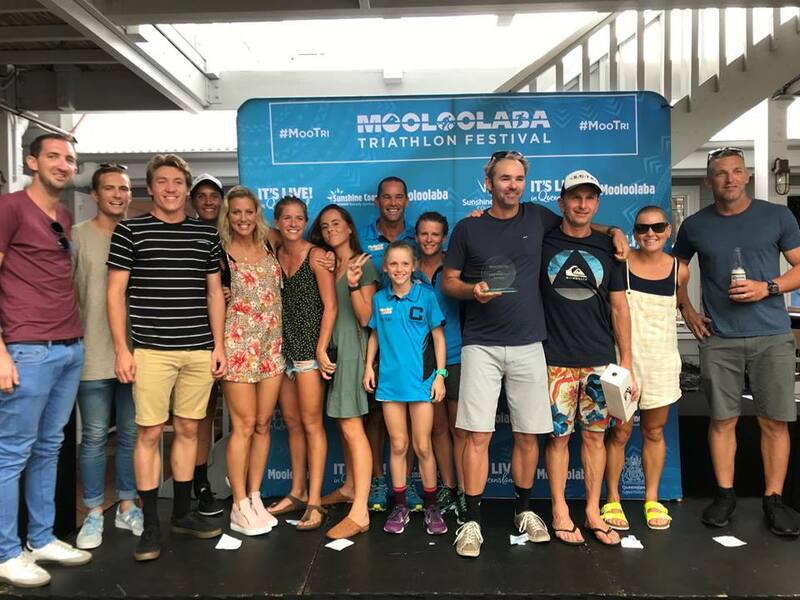 The 27th running of the Mooloolaba Triathlon Festival had everything over the weekend with fast and furious racing, Australian Titles on the line, storms and heavy rain and hot and humid conditions. It had it all. 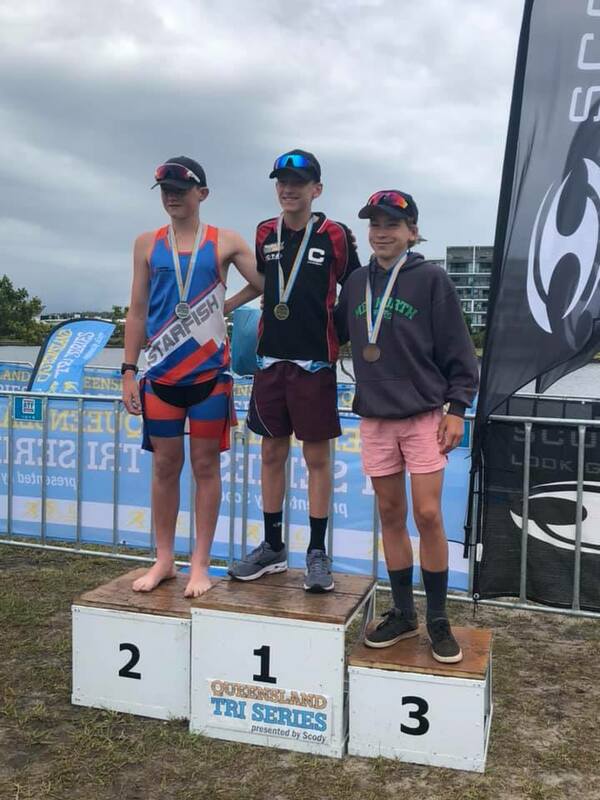 The Sunshine Coast Triathlon Academy / Protector Aluminium athletes raced extremely well with a new Australian Champion with Jordan Gover taking out the 45-49 Years. 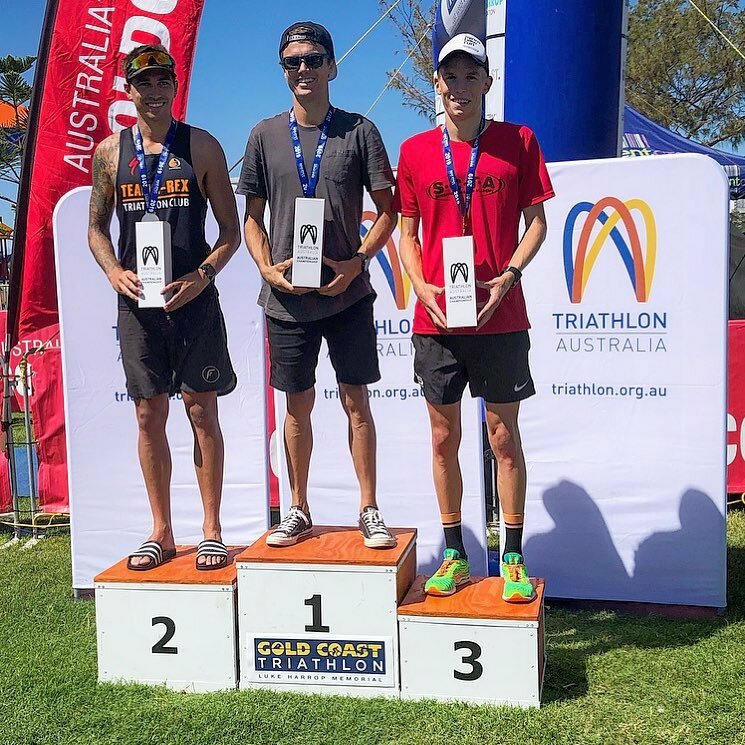 We added another 3 Australian silver medals as well to the Honour Board making it 81 Australian Championships Medals with Michael Hooper 20-24 (First Sunshine Coast Local Home), Nicholas Hull 30-34 and Brett Stalley 55-59. 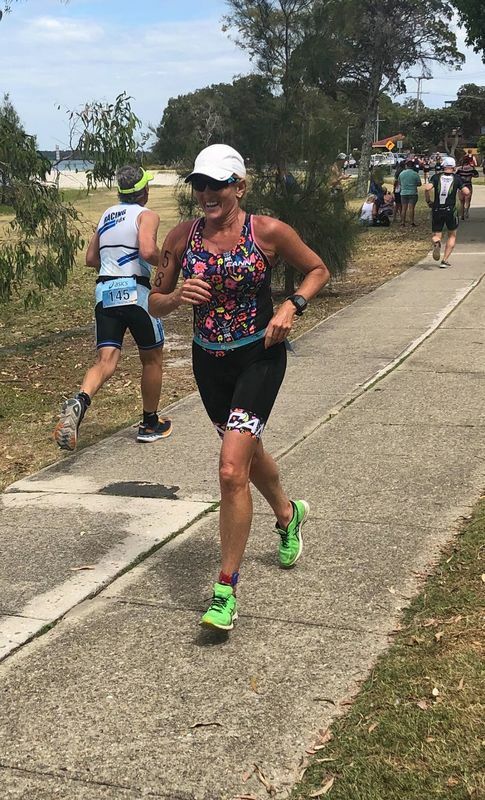 Carol Wooldridge in her first Mooloolaba and OD race took 2nd Athena's, but unfortunately there is no Australian Medals for this category. 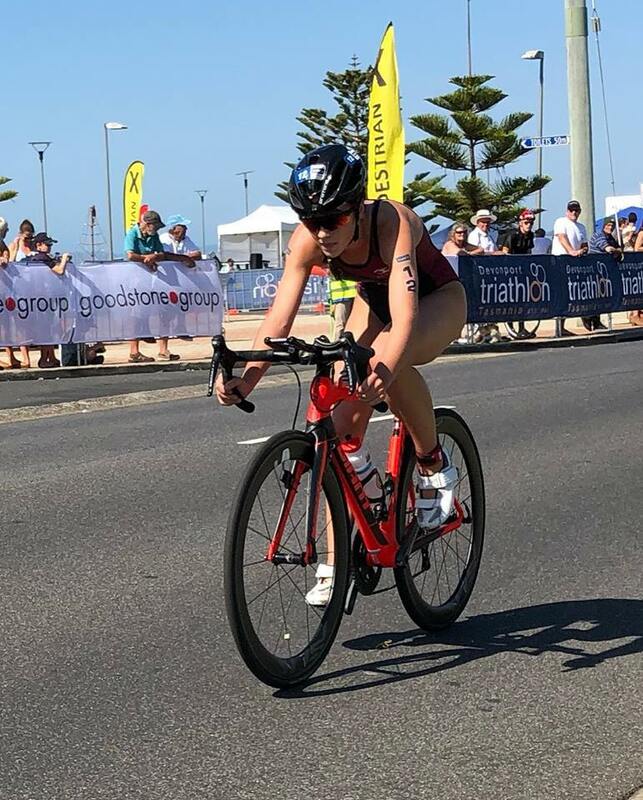 Lucy Bowden just missed the podium in 25-29 with a 4th. Not bad as she had to change her tyre due to a puncture and could of possibly have been on that podium. 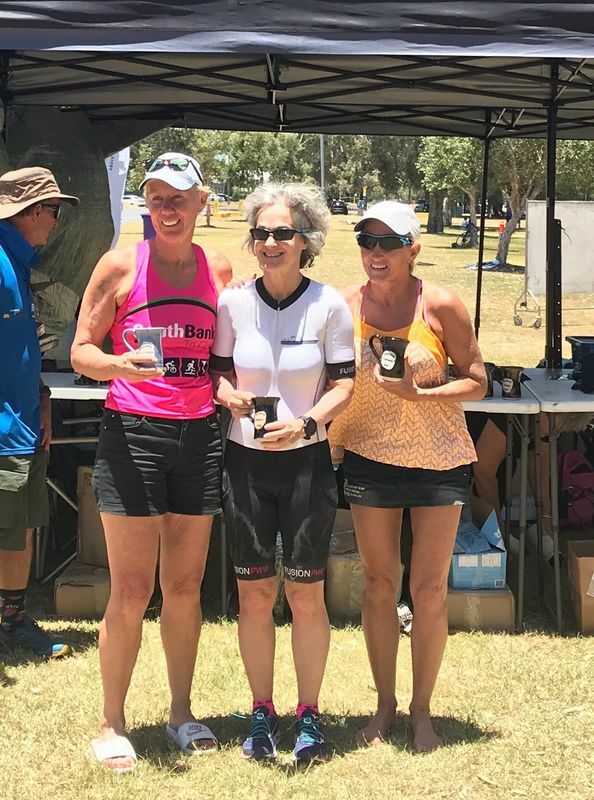 SCTA took out 2nd place Tri Podium Point score where they took your best 5 results. Awesome job from the Team. 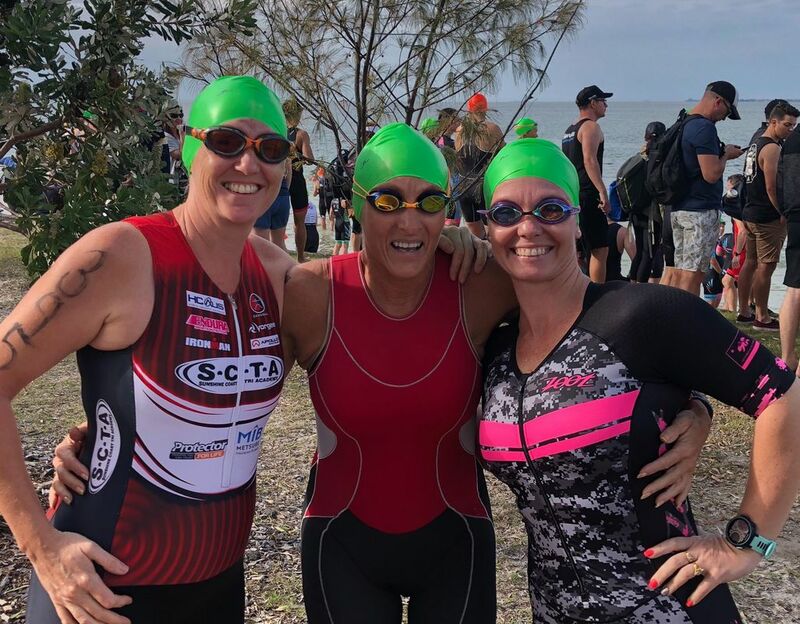 The addition of the Sprint Distance Draft Legal Triathlon was successful for not only the race, but SCTA Athletes with Tania Gover 1st 41-50, Chloe Turner 2nd 21-30 and 3rd places to Pauline Ashley 41-50 and Gary Turner 61+. 5th places to Mick Glover 31-40 and Rebecca Howell 21-30. 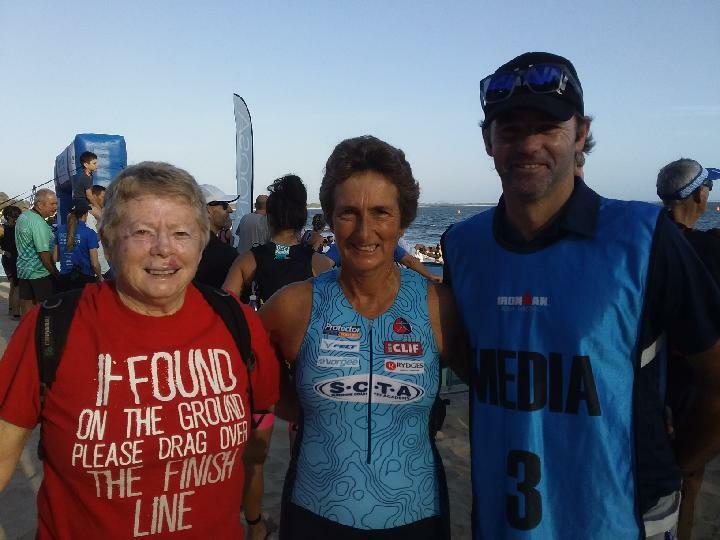 The 1km Titan Ocean Swim was run in perfect conditions with a few waves but a lot of running. 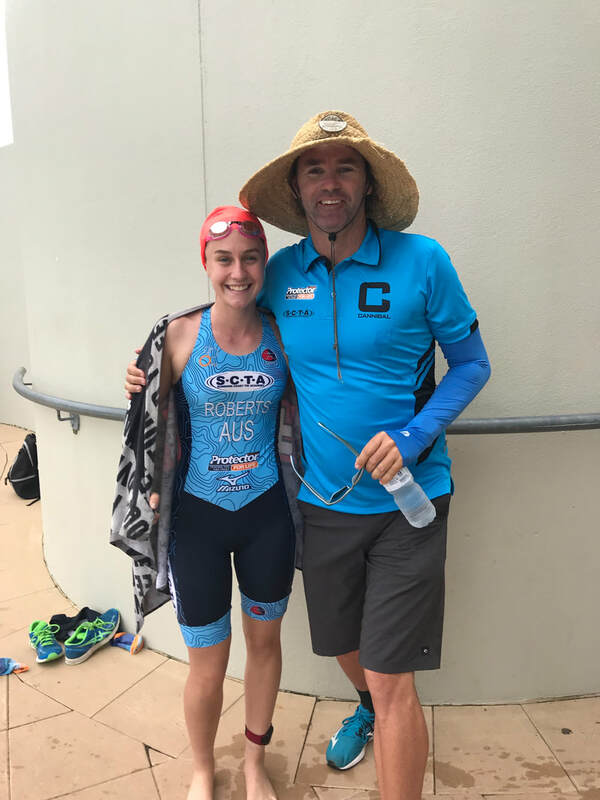 There were a handful of SCTA athletes swimming with SCTA / PA Junior scholarship Holder Peyton Craig 7th Open Male. 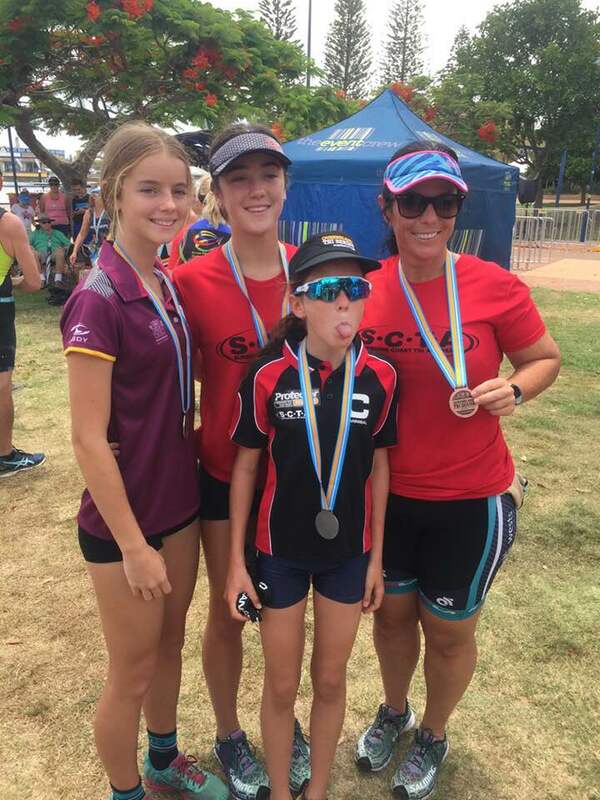 SCTA Club Members Romy Wolstencroft 1st Junior Female while Brittany Dutton 6th Open Female. 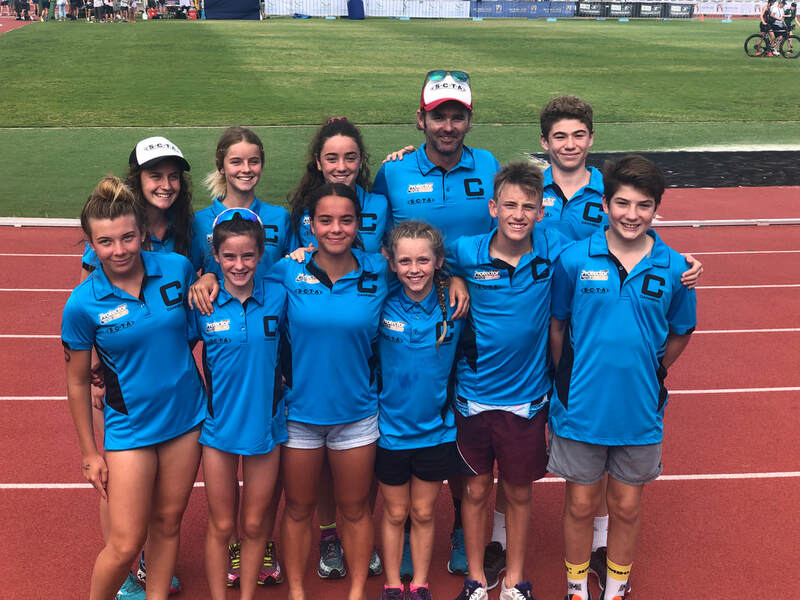 On the Friday a lot of the SCTA Juniors were laced up to run the 5km Twilight run, but a massive storm hit prior to the run start and the race had to be cancelled due to safety reasons. The right call was made as it didn't clear for hours afterwards. 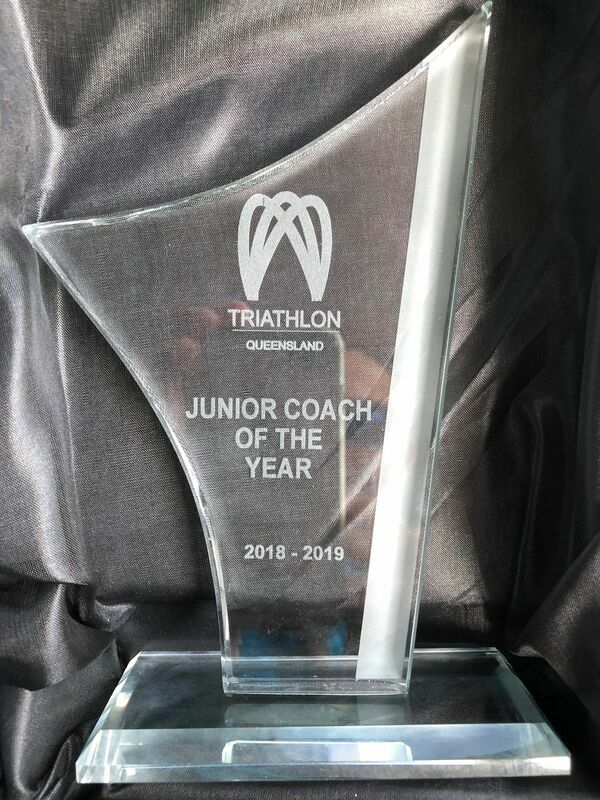 The Sunshine Coast Triathlon Academy / Protector Aluminium Juniors have been going to the Queensland Schools Triathlon Championships for the past 15 years, where we have had at least 1 athlete be selected for the Qld Team each year. Prior to this weekend 49 had been selected. 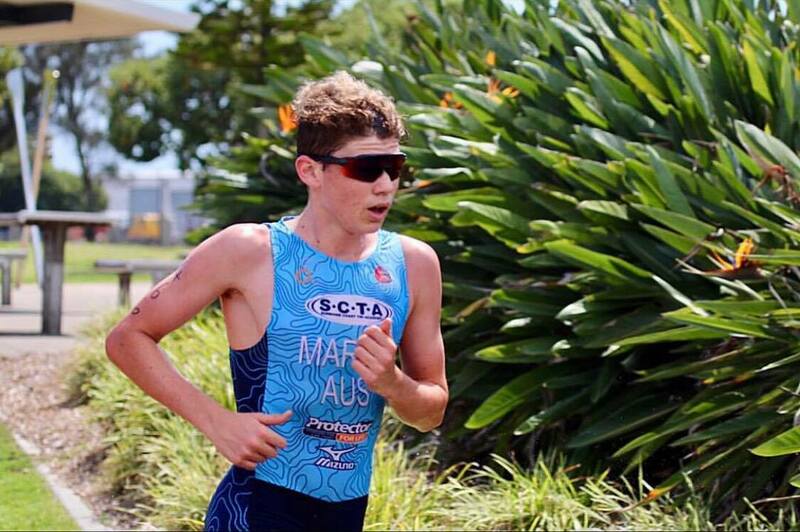 In the 16th Year, SCTA had 3 more athletes added to the Honour Board of making the Qld Team. 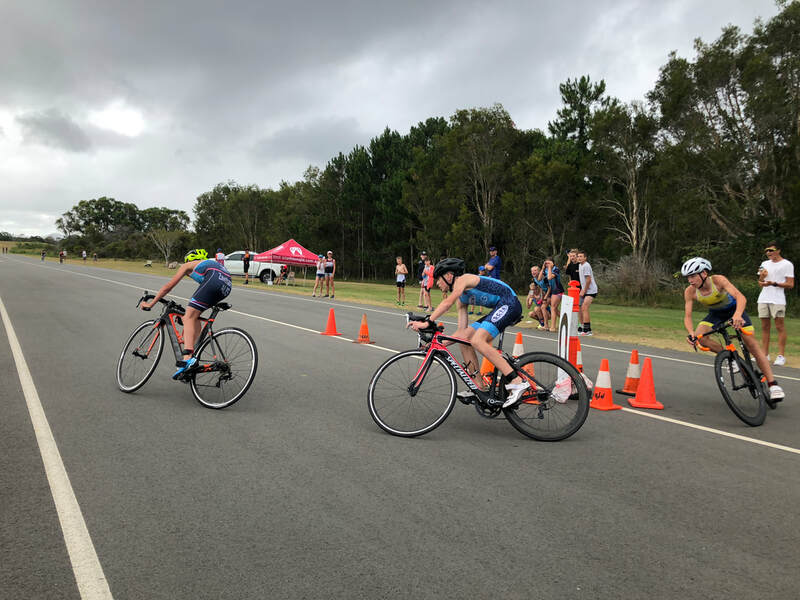 During the night a massive downpour occurred at Hervey Bay, but we woke to dry roads, a light breeze and cloudy conditions. The Senior Male and Female were up first starting at 8:00am followed by the Intermediates and then the Juniors. 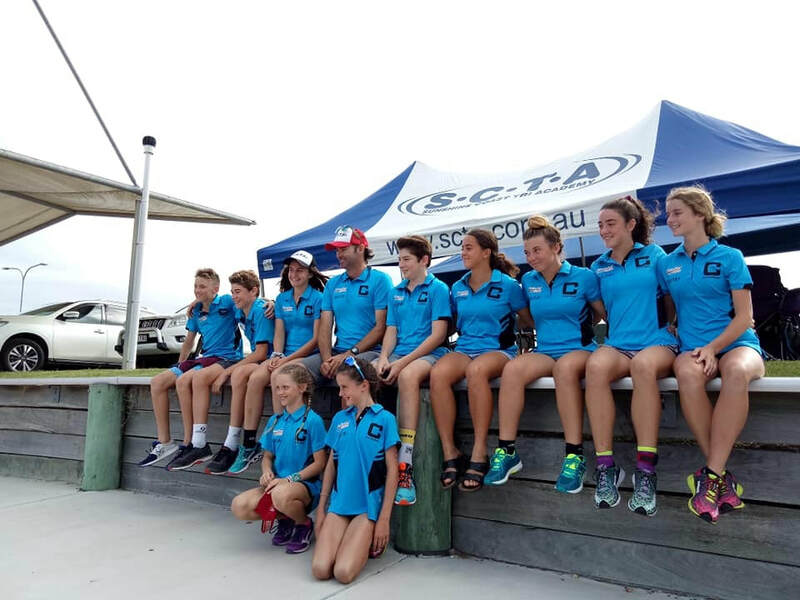 SCTA had 12 racing which included the Junior Scholarship Holders of Macey Roberts and Peyton Craig. 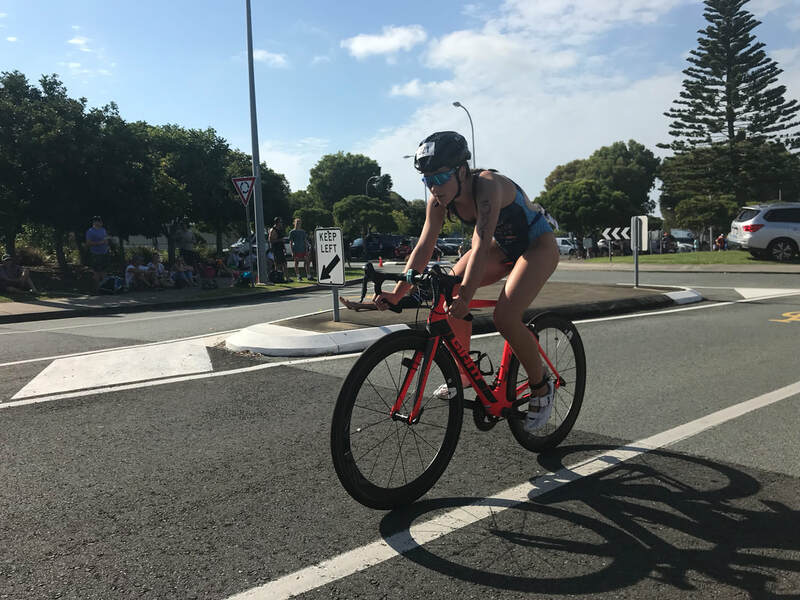 In the Junior Female (36 athletes) over the distance of 750/20/5 Jazi Coventry led the swim out and had a strong bike to come off with the leader, while Ella Wooldridge had a strong swim by her behalf and rode thru the field to come off the bike in 3rd. Ella ran well to take 2nd place with Jazi in 3rd place only 12 seconds behind. 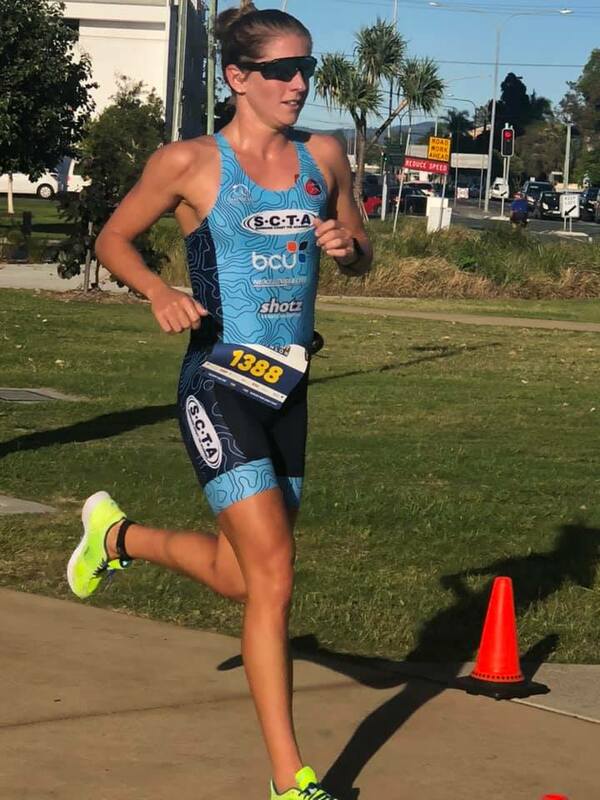 SCTA Junior scholarship holder Macey Roberts (Darling Downs) had a strong day out finishing off with a very strong run to move herself into 11th Place. In the Intermediate Males (68 athletes) was held over the 500/15/4 and was a very competitive field. Anyone of 10 athletes could have taken the title out on their respective day. And we saw that that with a large group coming off the bike together. 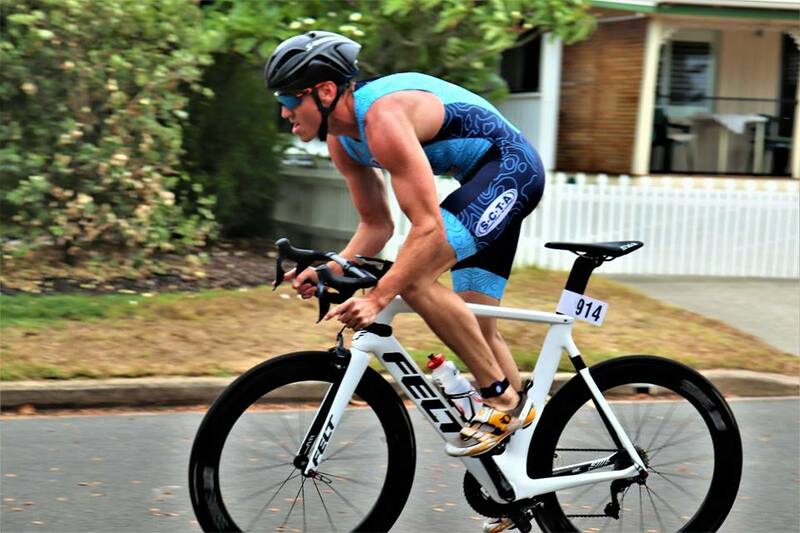 Ryan Marsh had a good swim and had one the fastest rides to put himself in contention with the top 8 off the bike. On exiting the run he ripped his shoe slightly open. He had been battling a chest infection for the past 2 weeks which has happened his breathing. He finished off in 10th. 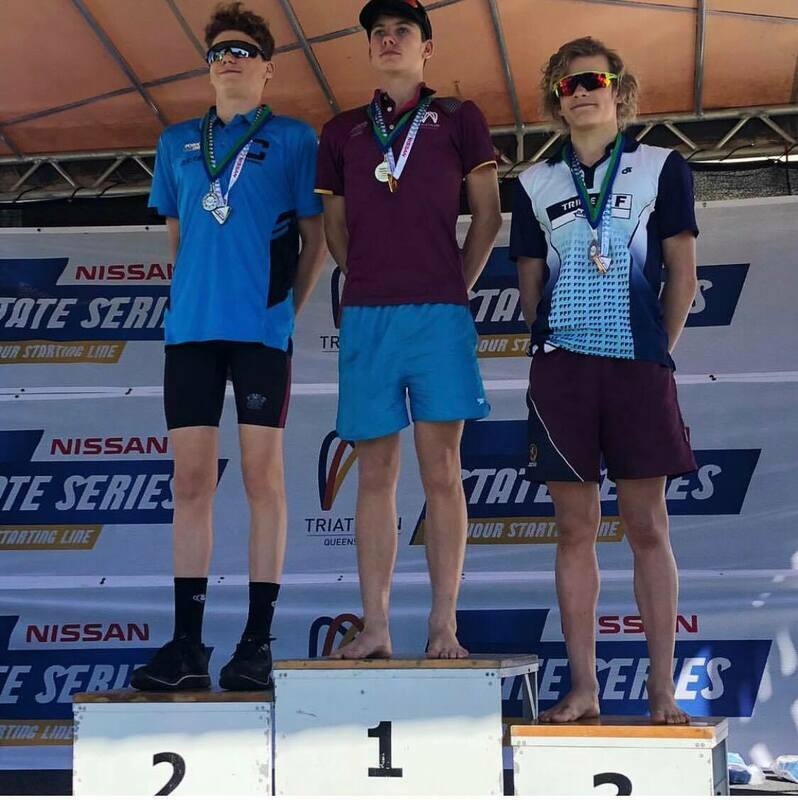 Jack Dann (Darling Downs) put a strong swim and cycle together and ran strongly for him to hold on to 29th place, while Jericho Pogany (Wide Bay) who does a lot of his training at home via a program made his debut at this level with a strong showing to finish 36th and learnt some valuable lessons as well. The Intermediate Females (69 athletes) was no different to the Males. A very competitive field and some very close racing. 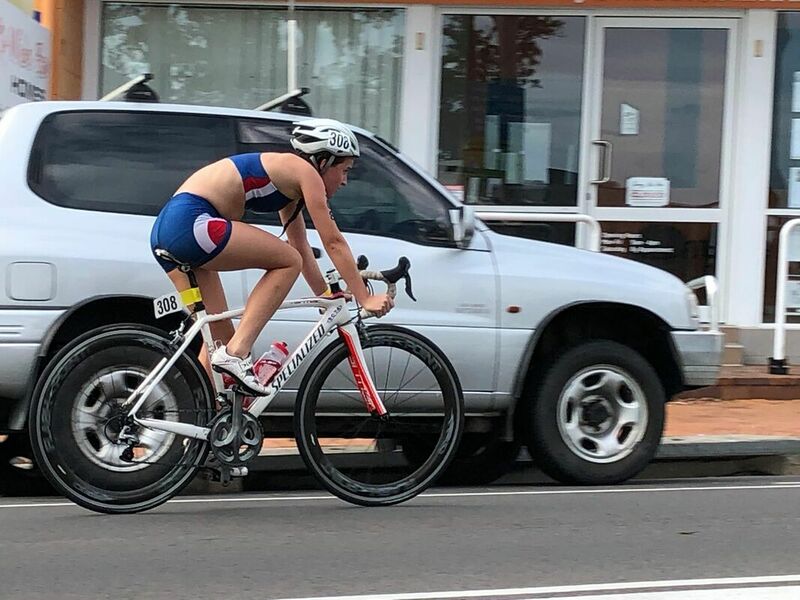 Erin Wooldridge led the charge in the girls and was riding well to be up there in the front, however was done for drafting which meant a 3 min penalty!! She put it behind and ran extremely well to finish 10th. 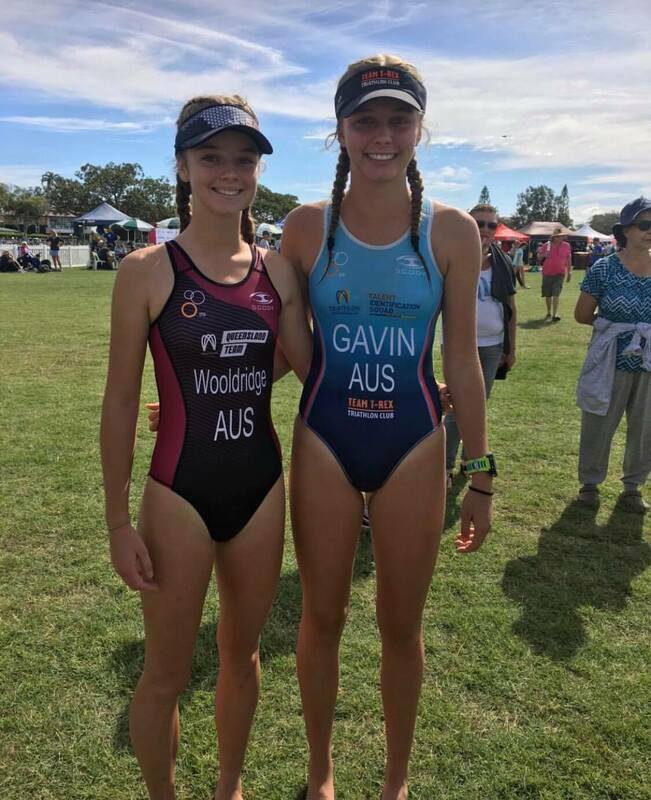 Kayleigh Foster had a great swim and run to finish 27th, while Jorja Matthews rode well and worked thru the run to finish 31st. 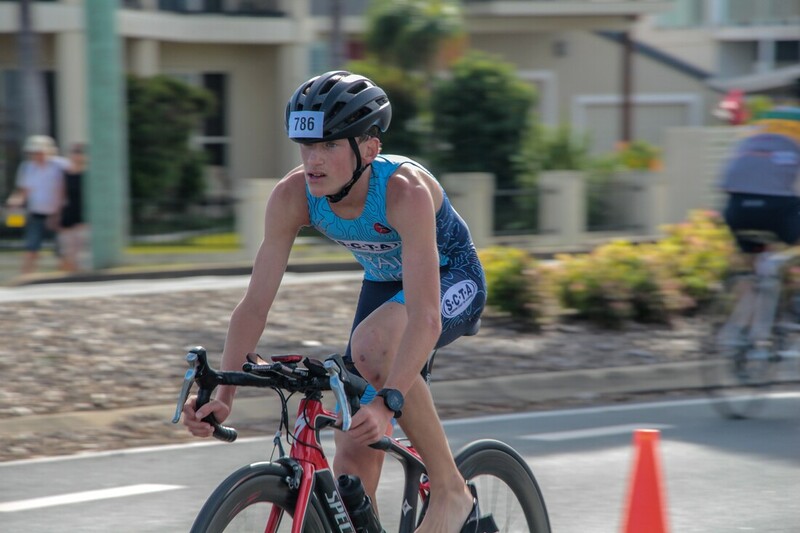 In the Junior Male (85 athletes) over the 300/10/2, SCTA Junior scholarship Holder Peyton Craig had a strong swim and then fastest run to take the title after being 30 seconds down off the bike. He turned the tide on the 2 competitors that beat him the week before. 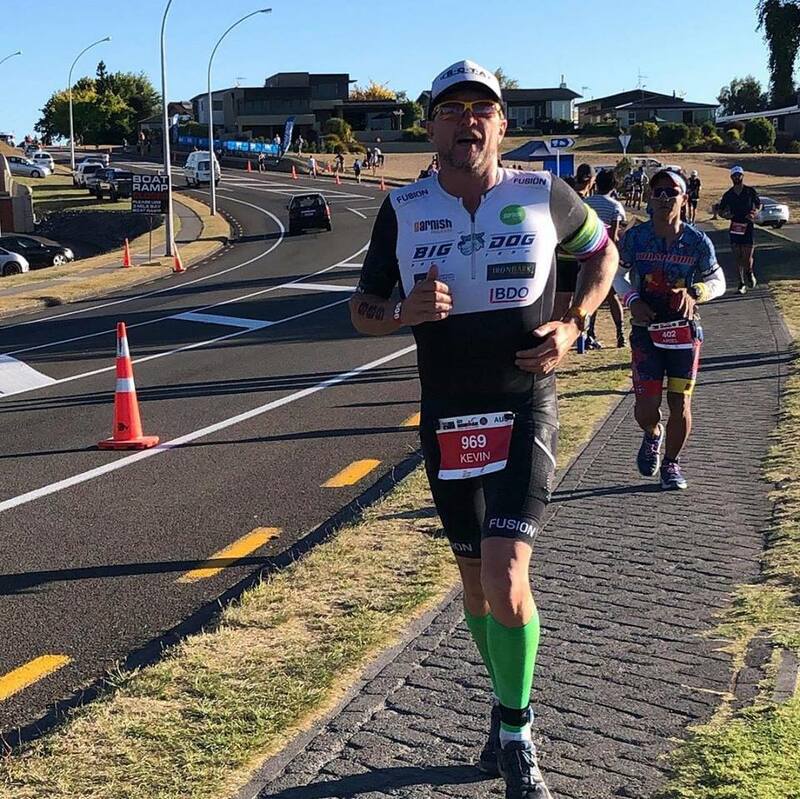 Scott Marsh battle his way to the end after a recent operation on his nose and just getting some fitness back to finish 84th. 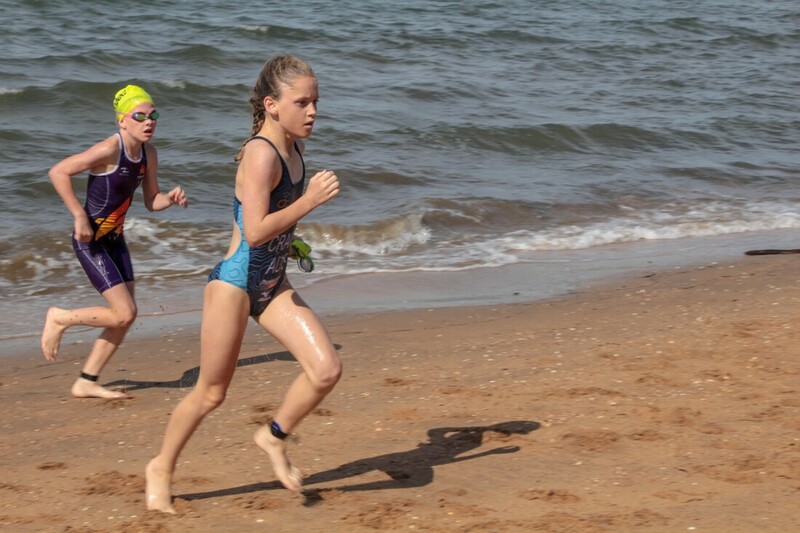 We had 3 Primary School Juniors that lined up in the Aquathlon with a 1km Run / 200m Swim / 1km Run . 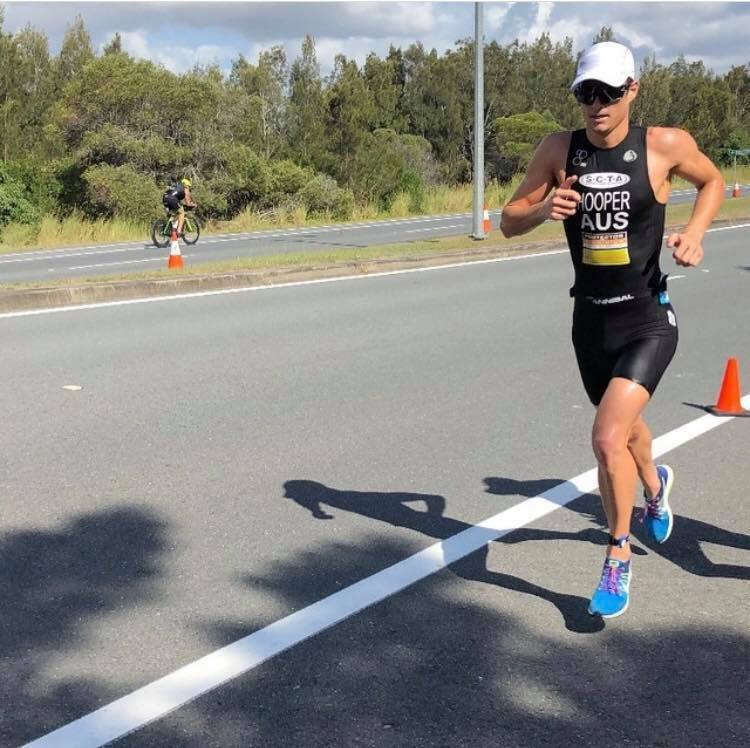 In the Females (85 Athletes) Heidi Craig had a great race to take out 43rd and 4th Sunshine Coast while Zoe Davis was 75th. 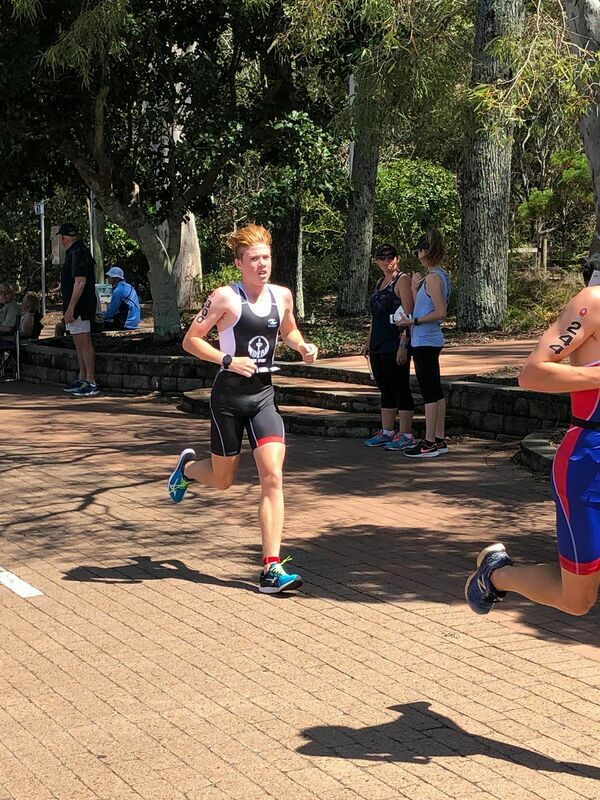 In the Males (86 Athletes) Jake Hammond was 54th and was 5th Sunshine Coast. 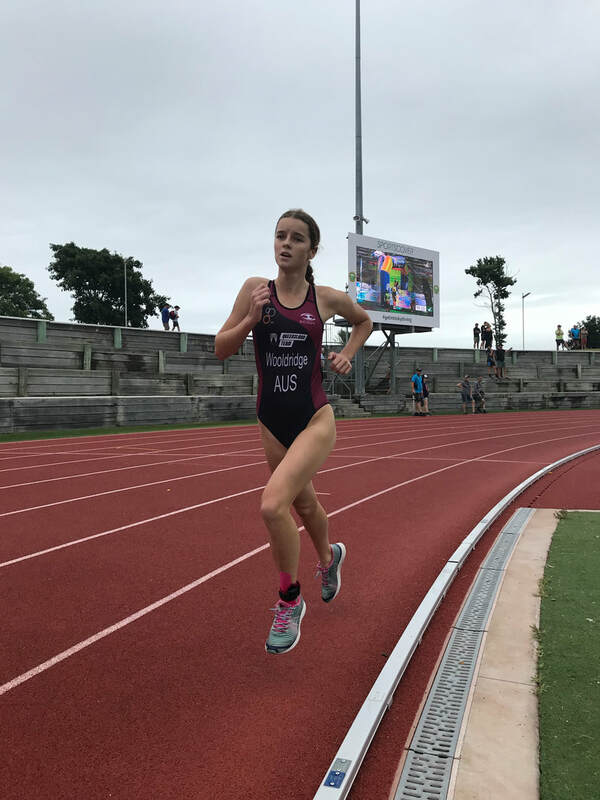 Devonport was the backdrop for the Oceania Elite, U/23 and Junior Sprint Championships and was the Australian Sprint Championships for Youth "A" and "B" and the finale of the Australian Junior and Youth National Series. Under perfect conditions for racing on the Apple Isle, SCTA had 6 athletes competing and 3 SCTA Club Members. 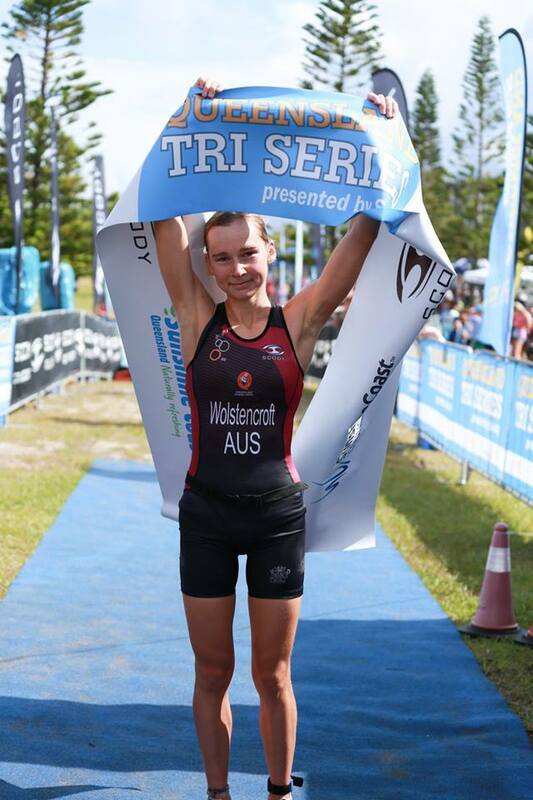 Mia Wooldridge is SCTA newest Australian Champion taking out the Youth "B" Female Title. 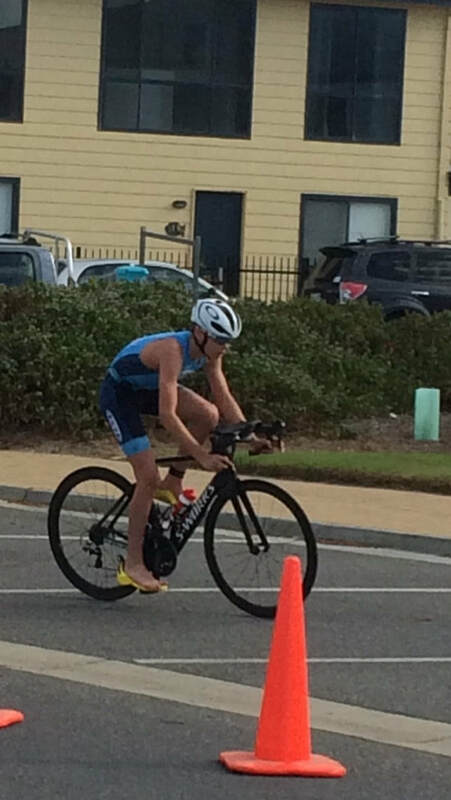 SCTA Junior Scholarship Holder Peyton Craig didn't have the best of races to come away 4th Youth "B". 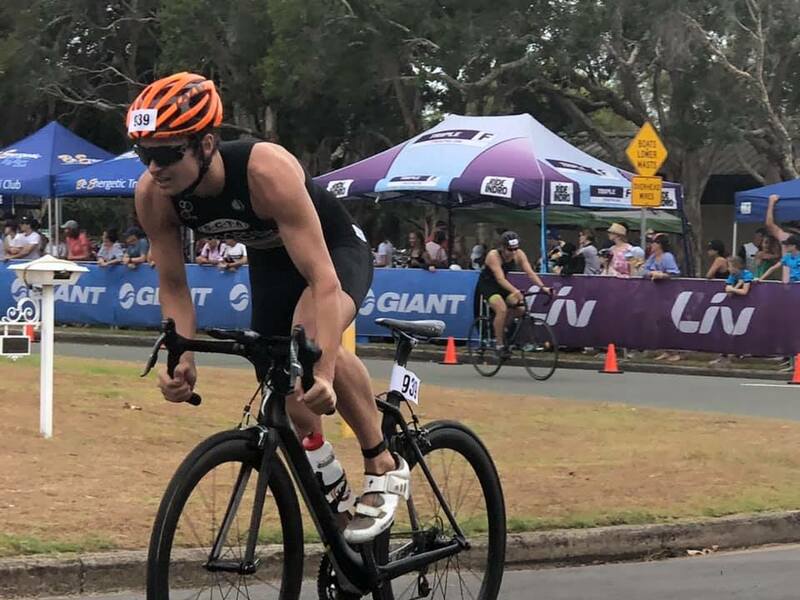 Ryan Marsh was under the weather with a chest infection, but fought on the bike to pull the second pack up to the front pack to give himself a chance and be in the mix. 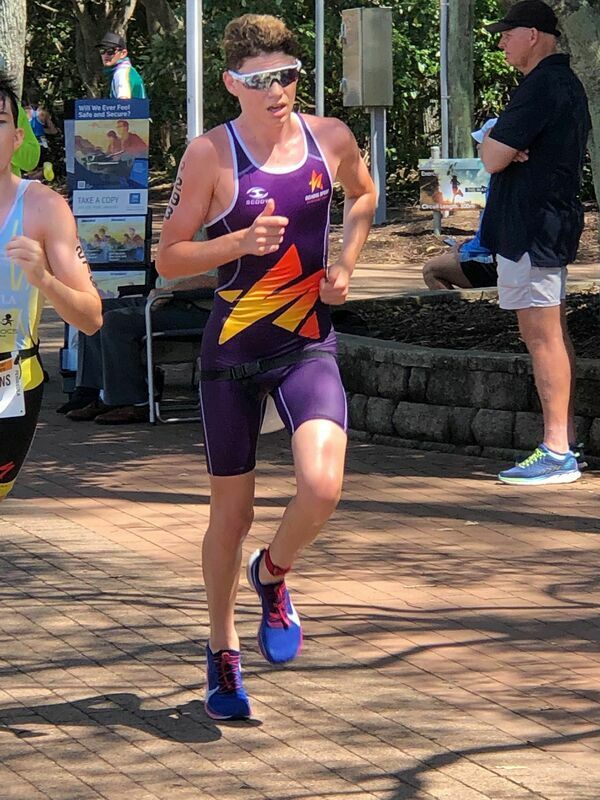 He struggled to breath on the run course but dug deep to come away with 9th place only 50 seconds off the winner in Youth "A"
Erin Wooldridge was having a great race in Youth "A" and bridging the gap to the front girls when she punctured on the last lap the furthest part away from transition and was unable to finish. 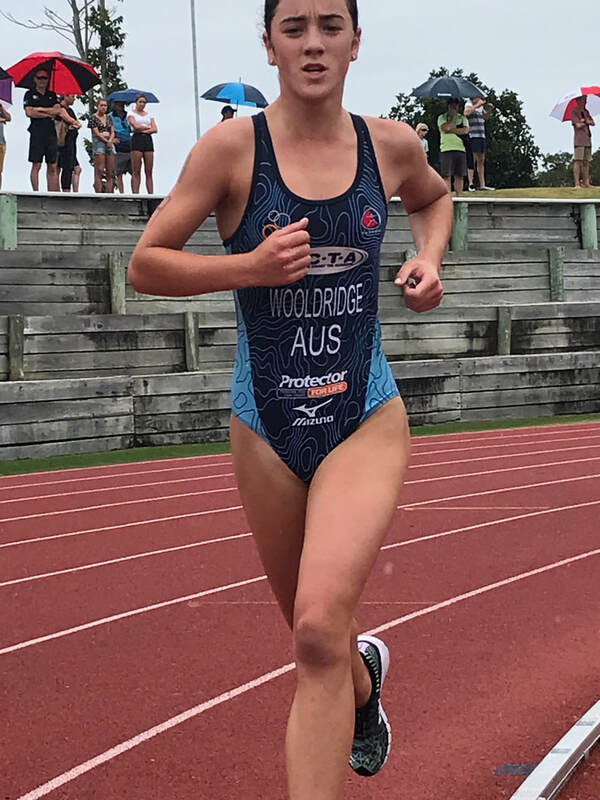 Ella Wooldridge raced in her first Oceania Junior Champs and giving up experience and strength to girls up to 3 years older than her. 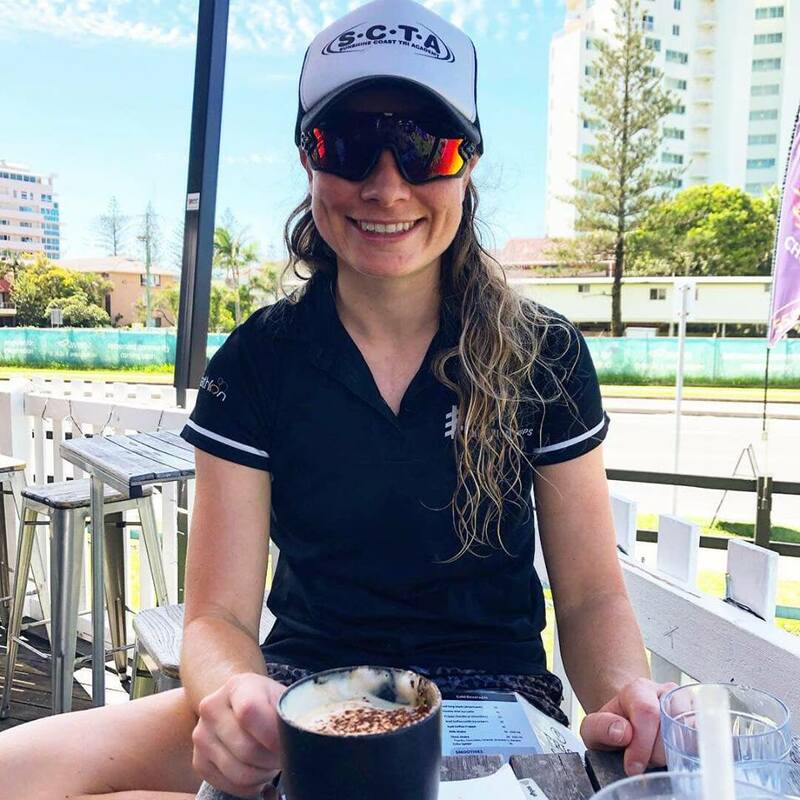 She finished ion 12th place and 8th Australian. 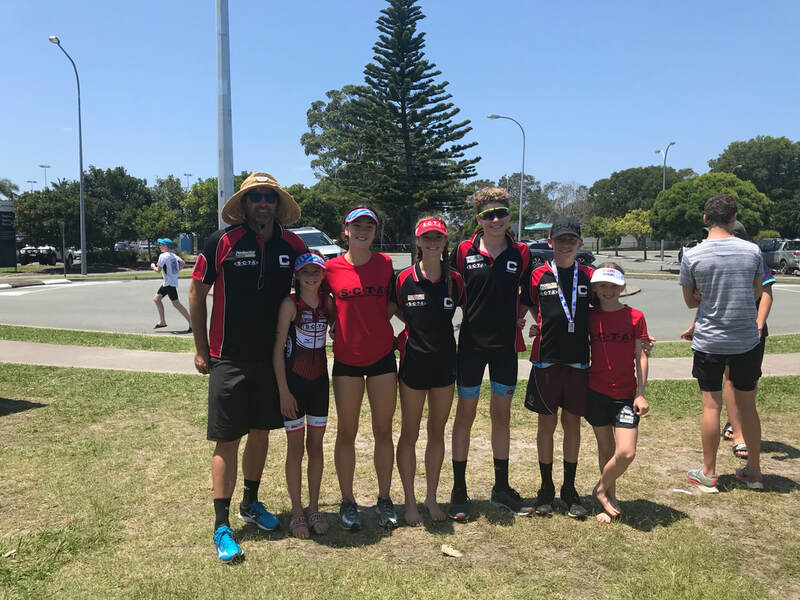 Future looking good to all the SCTA Juniors that raced in Devonport as we turn our eyes to the Queensland Schools Triathlon Champs in Hervey Bay on Friday. 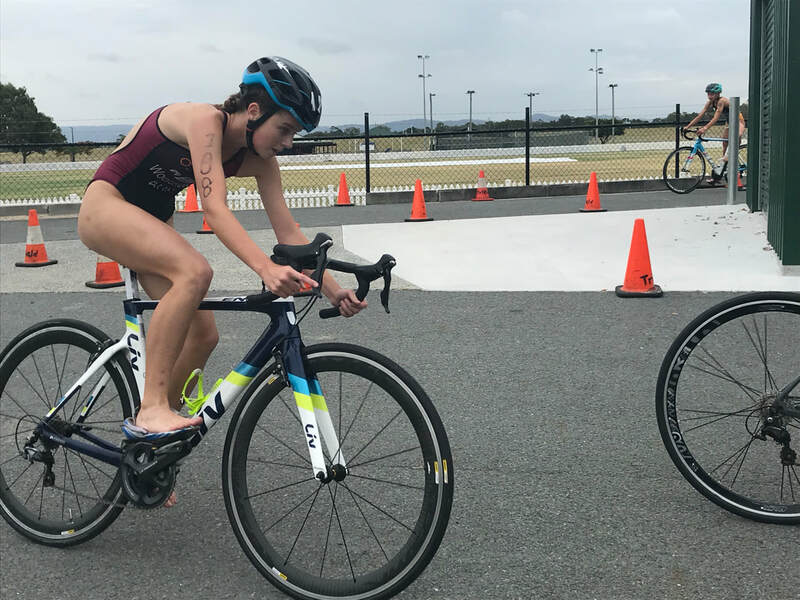 Under heavy skies and rain, Jake Hynes and Lucy Bowden made the trip down to Coffs Harbour for their annual Triathlon. 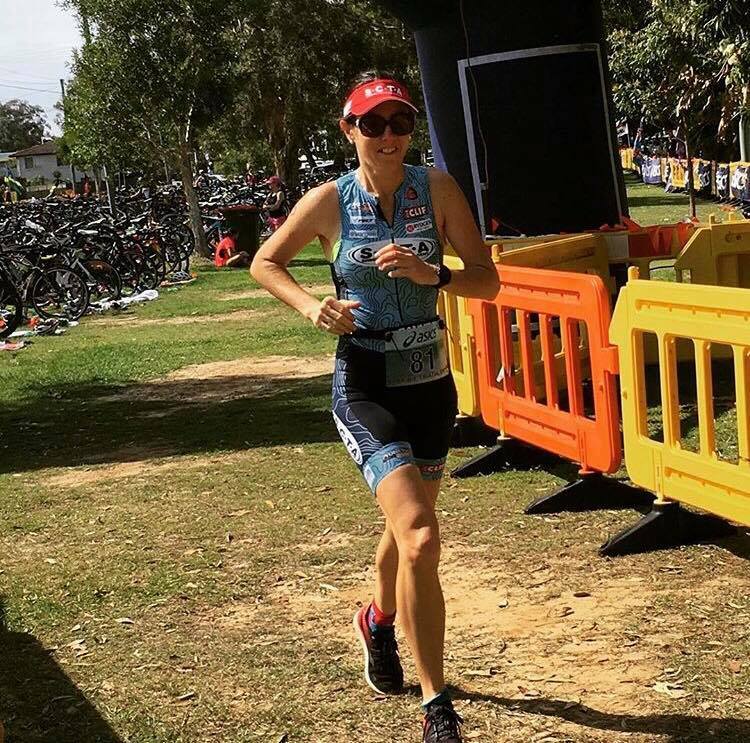 Lucy had a great race to take the win in 25-29 and 4th Female overall behind 3 professional female. 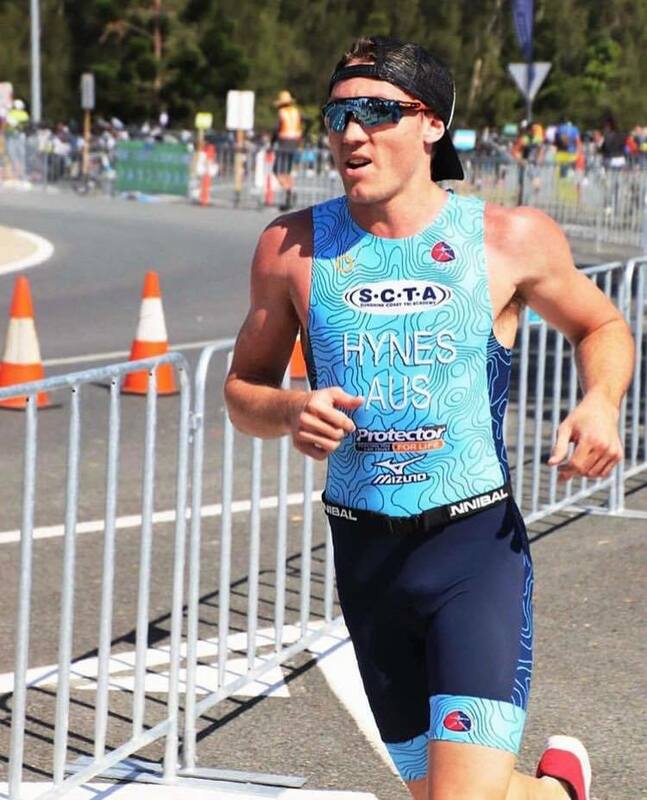 Jake Hynes took out 2nd place 16-19 and 10th overall in a very competitive Male field. 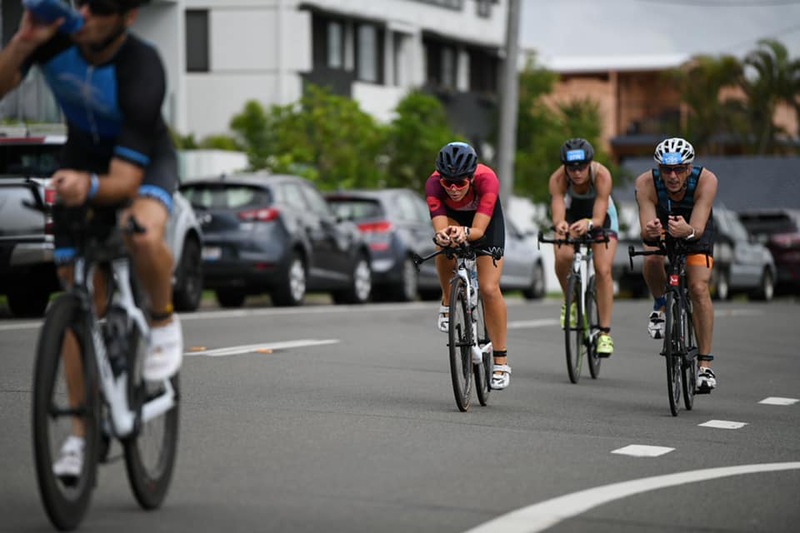 Raby Bay was the finale of the Queensland Triathlon Series held over 7 races. 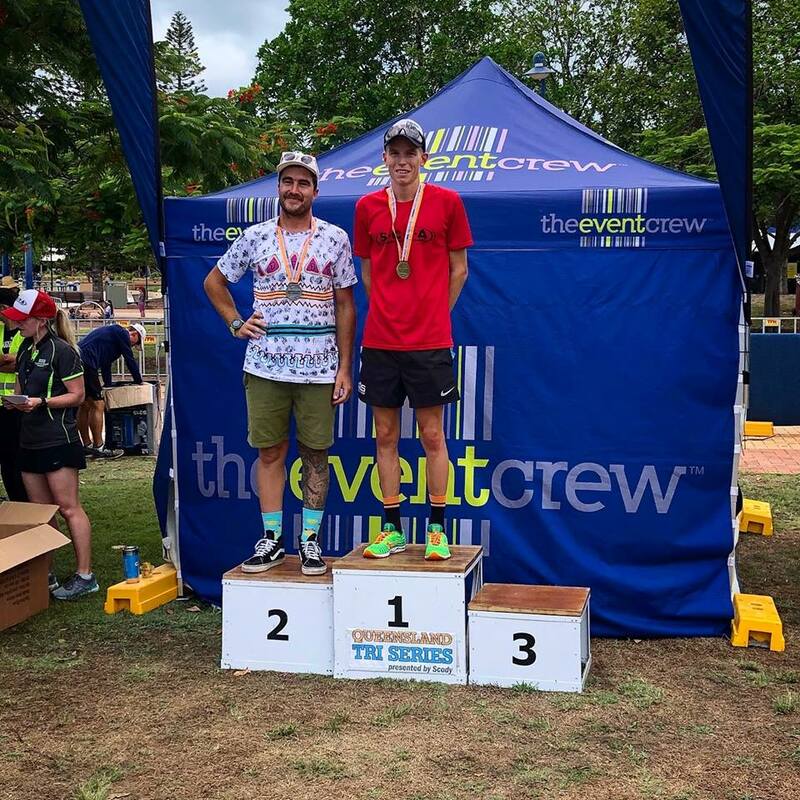 With so much racing on this weekend numbers were down, but the results were just as good with 9 athletes racing, 8 were on the podium with 4 category wins. Wins went to Alana Park (20-24 LC), Brett Stalley (55-59 LC), Thomas Clarke (16-19 SS) and Gary Turner (70-74 SS). 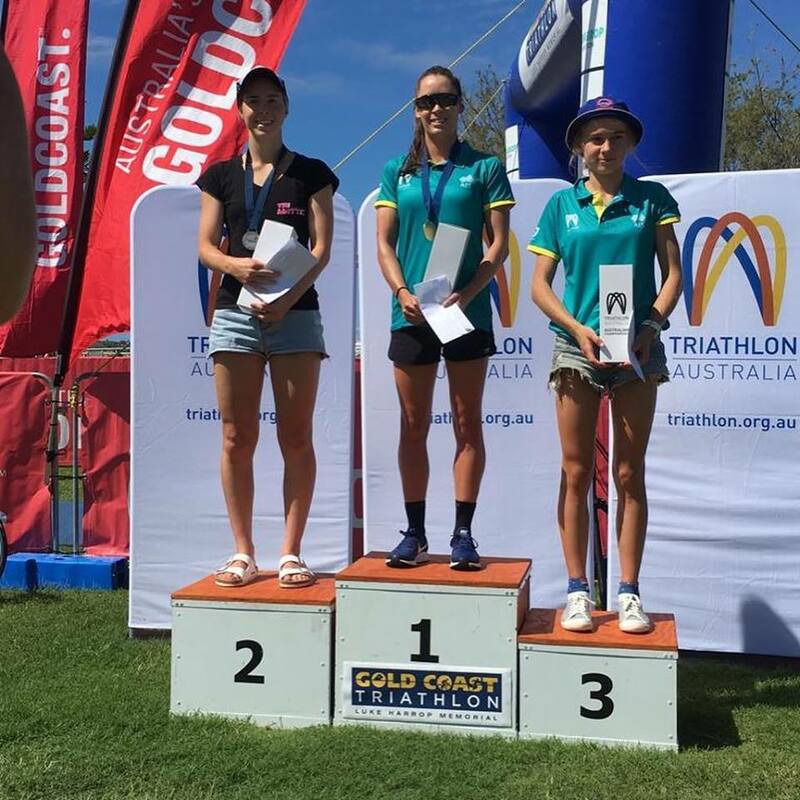 2nd Places went to Jorja Matthews (14-15 SS and 4th Female Overall) and Paul Marchant (25-29 LC) while rounding out the podium with 3rd was Rebecca Howell (20-24 LC) and Pauline Ashley (45-49 SS). They did announce the Series winners but hasn't been posted on the website yet. Will update once I get results. 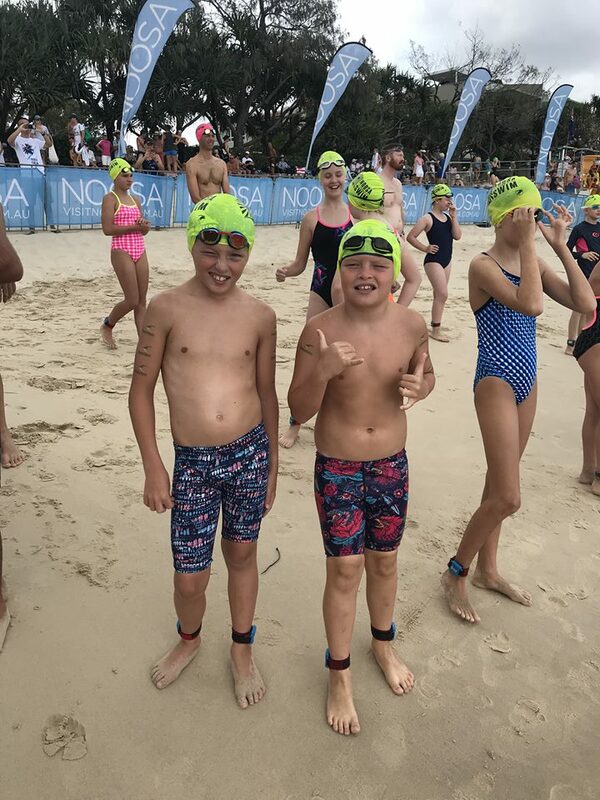 Mooloolaba was the scene for the World Swim Series. 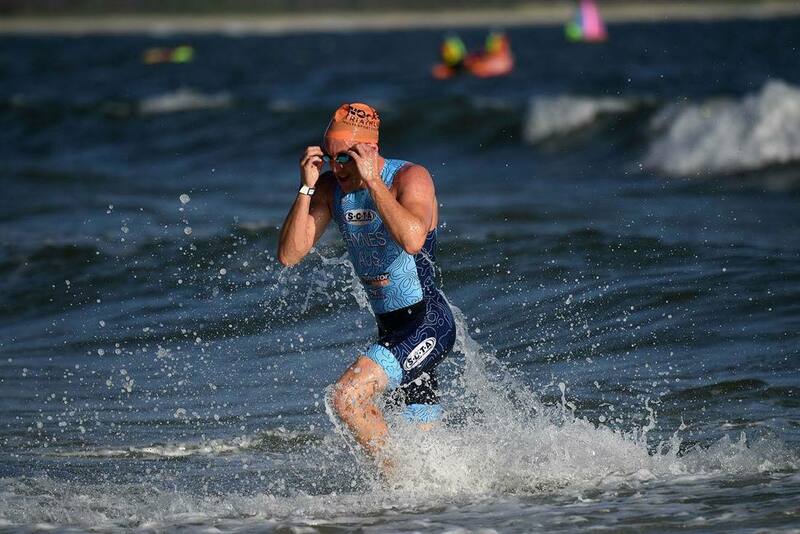 The Saturday's race was shortened due to the waves and chop. 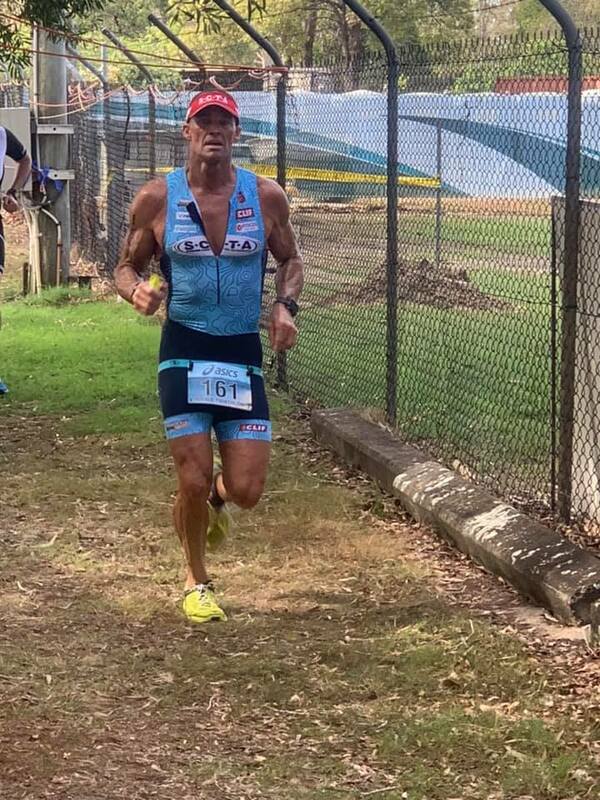 Was supposed to be 2.5km but ended up being around the 1200m where Gary Latimer was 8th 35-39. 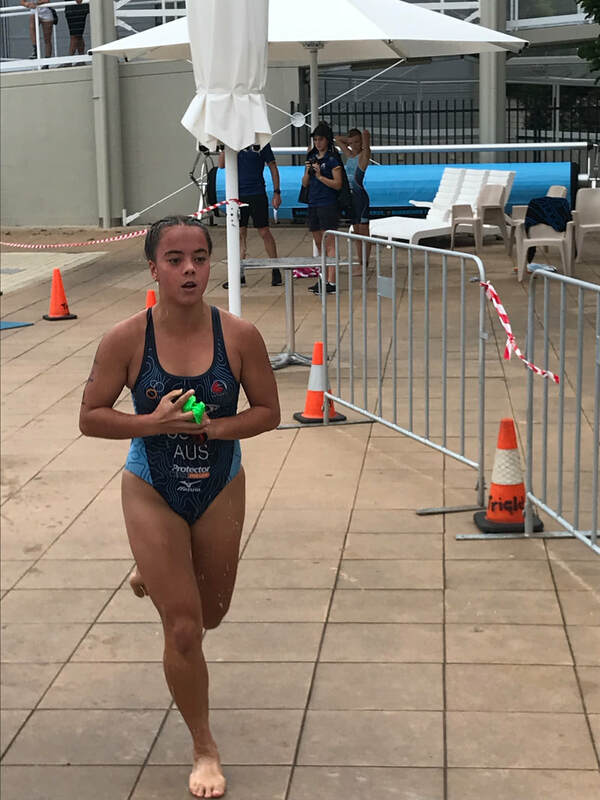 Next day saw the 1600m swim where Janelle McCosker took out the win 55-59. 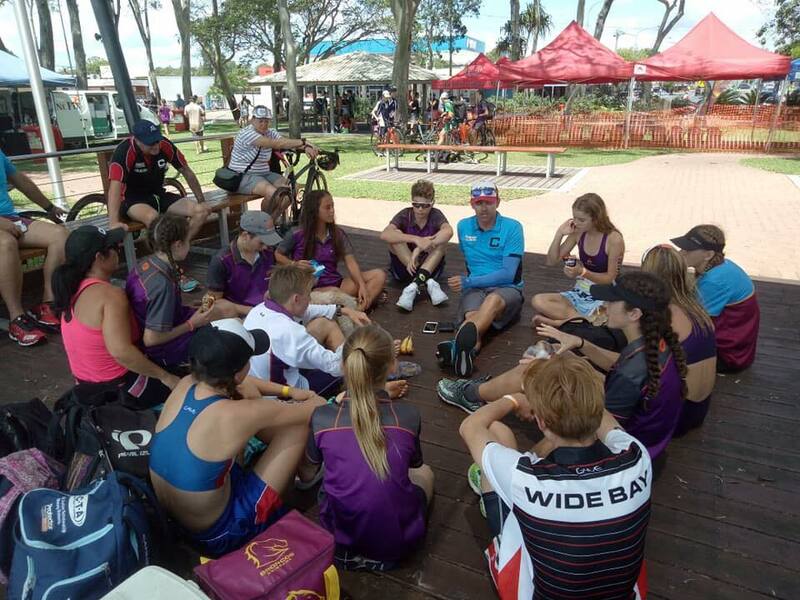 Over the weekend we have had Sunshine Coast Triathlon Academy Athletes in action at Bribie Triathlon # 3, Husky Triathlon and the previous weekend we had at Tweed Coast Enduro. Over the weekend the imminent threat of Cyclone Oma threw a lot of scenarios out from the BOM. But fortunately we were spare apart from very strong gusty winds and huge surf which saw all beaches closed which also included the Pumicestone Passage. 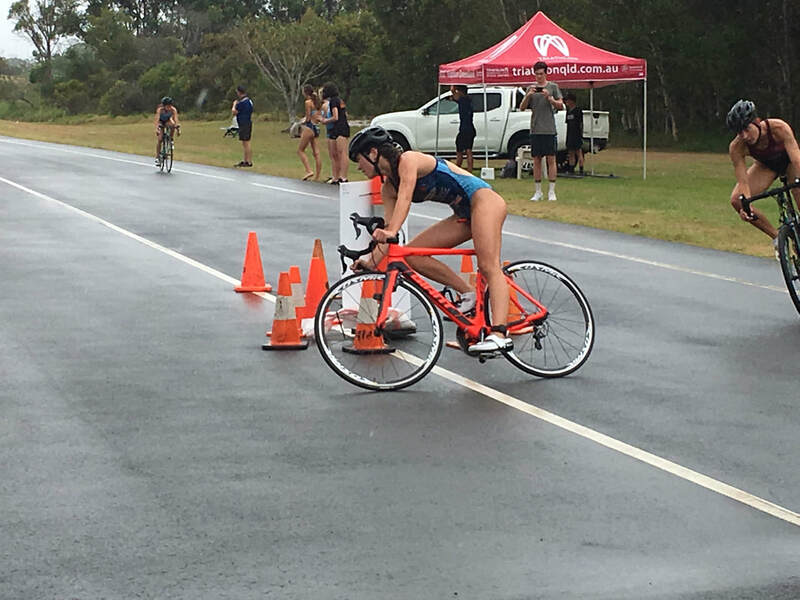 Due to this the swim was cancelled for the Bribie Triathlon which saw the format as run cycle run. 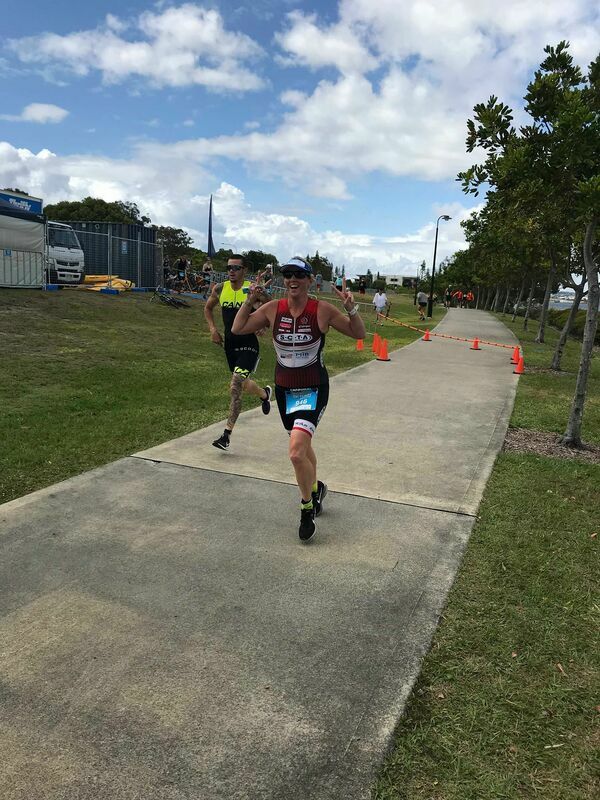 The long Course at Bribie was held over a 3km Run / 30km Cycle / and 8km Run while the short course consisted of 2km Run / 10 km Cycle / 3km Run. 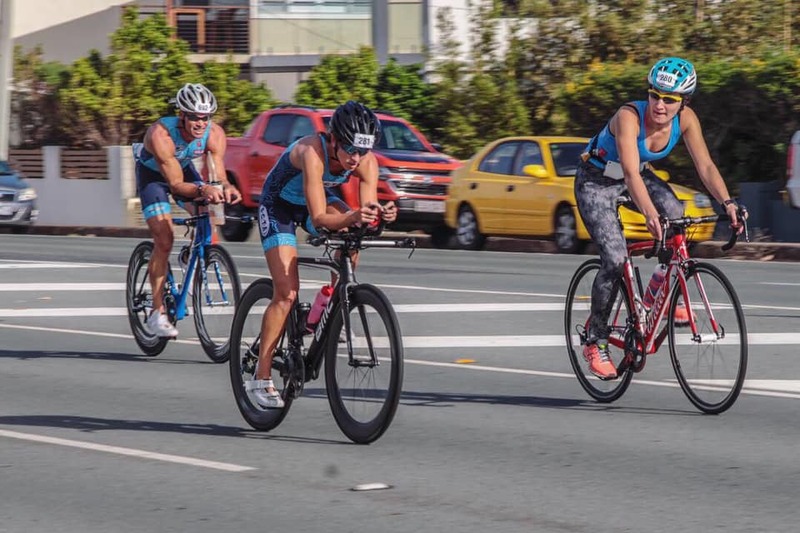 SCTA had a small contingent of athletes racing. Leading the Charge with category wins included Ron Craig (Clydesdale LC), Brett Stalley (55-59 LC) and Marilyn Shrapnel (70-74 SC). 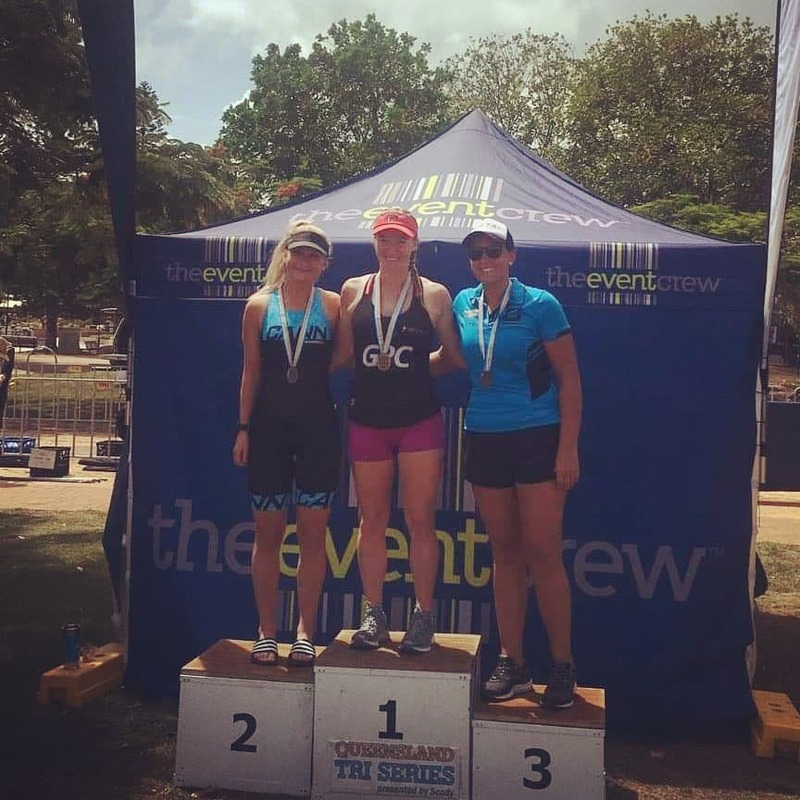 2nd place on the podium went to Jessica Lee (35-39 LC) and Alana Park (20-24 LC) and in 3rd place was Pauline Ashley (45-49 SC). 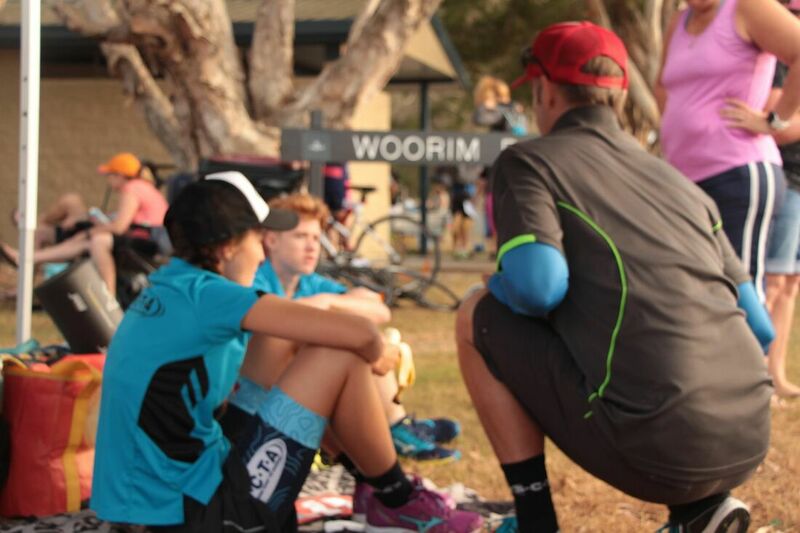 Down at Husky Triathlon we had 3 athletes . 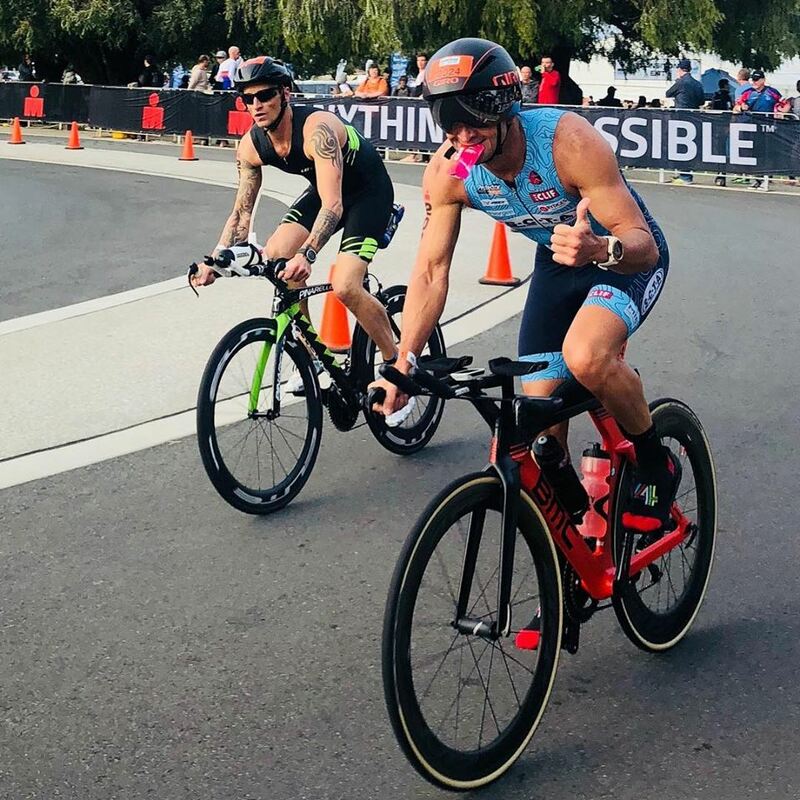 In the 70.3 Simon Hearn lined up against some quality men in the Professional field. 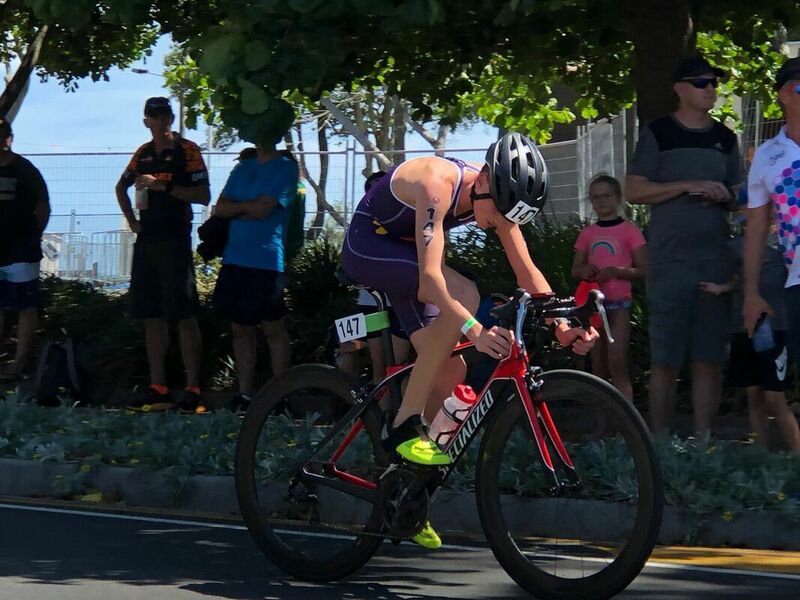 Simon finished 5th while Hannah Blanchett was 4th 25-29 years Female while Margo Mackintosh lined up in the 1/60/10 where she won 30-39 Years Female, was 1st Female and 8th Place Overall. 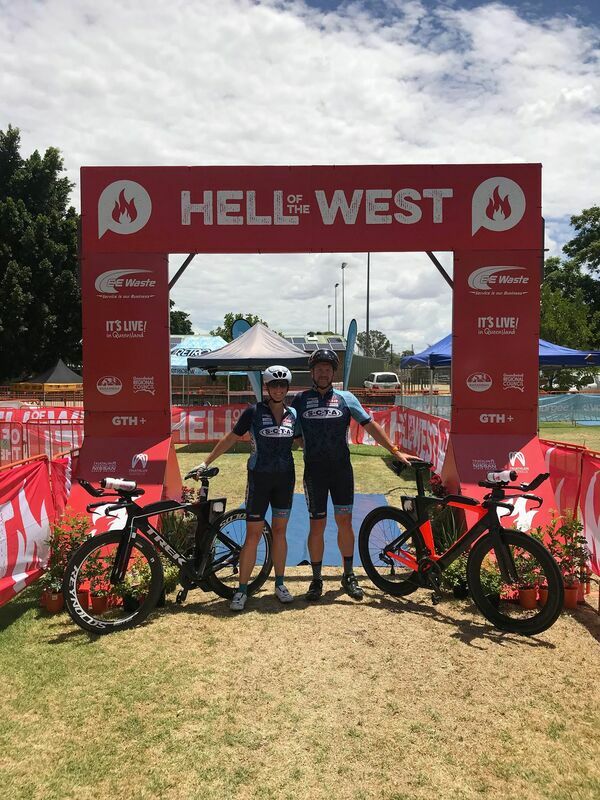 The previous weekend saw the Tweed Coast Enduro on where Nicholas Hull got some redemption from a puncture at Hell of the West. Nic lined up in the OPEN Males to finish 5th in a very competitive field. 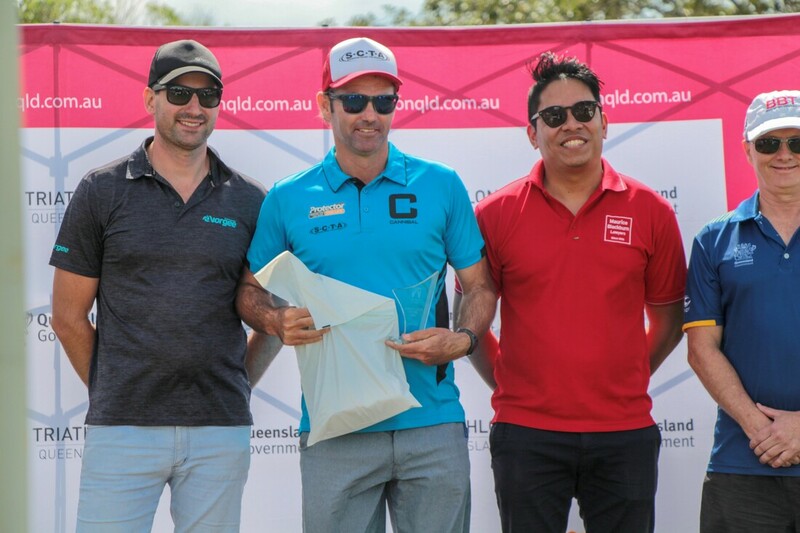 Also backing up from HOTW was Paul Marchant as well where he went 2 places better to land on the podium in the 25-29 with a 2nd Place. In the Enduro Teams where a team consisted of 3 members that did the full distance and times added together where we had Gyuhwang Lee have a great race coming in 14th place. 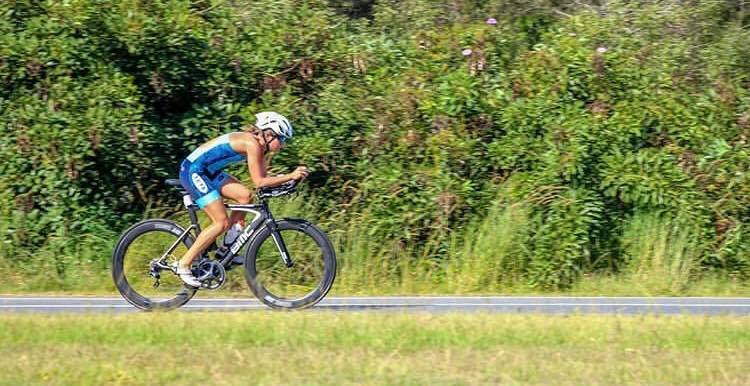 In the Sprint Distance we had SCTA Club Member Kelly Anne Perkins dominate the female field to take the overall win and finish 4th overall. 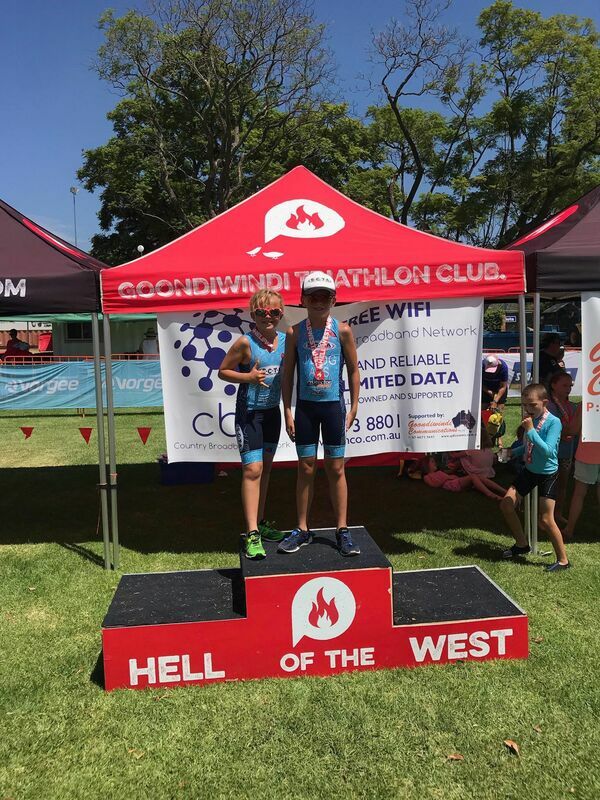 We had a small group of Sunshine Coast Triathlon Academy / Protector Aluminium Athletes head out to Goondiwindi for the Annual Hell of the West Triathlon over 2/80/20 and doubling as the Triathlon Queensland Long Course Championships. The day before a sand storm rolled in followed by a thunderstorm just to let you know it is the Hell of the West. Race day was hot and humid and the racing was fast and furious. 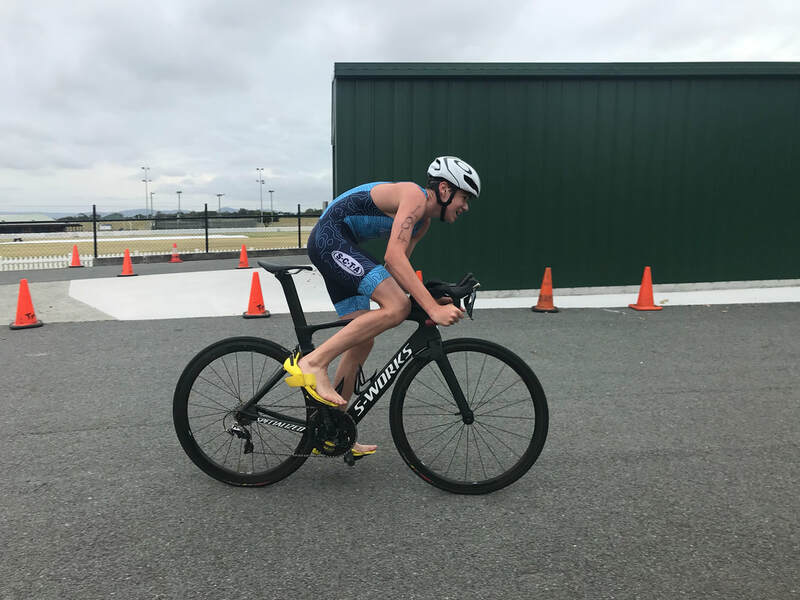 In the Age Group Paul Marchant (25-29) was another to just miss the podium in 4th but gained 3rd in Qld Long Course Title. 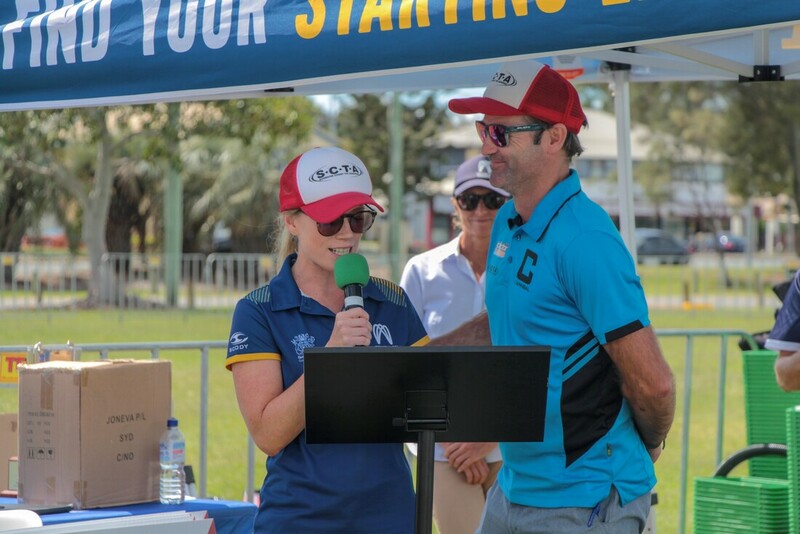 Bragging rights in the Mr and Mrs Big Dog title went to the Mrs with Angie Hammond 6th (40-44) and Kevin Hammond 9th (40-44). 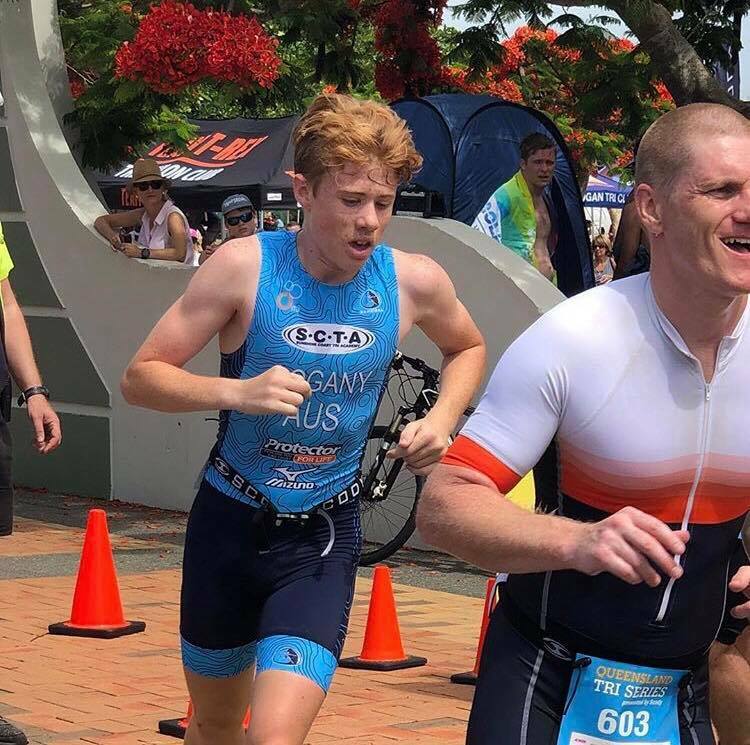 Grant Cunning 25th (30-34) had a fun time out in his race. The emphasis is a little different these days for GC where he went out and enjoyed the experience with the family. 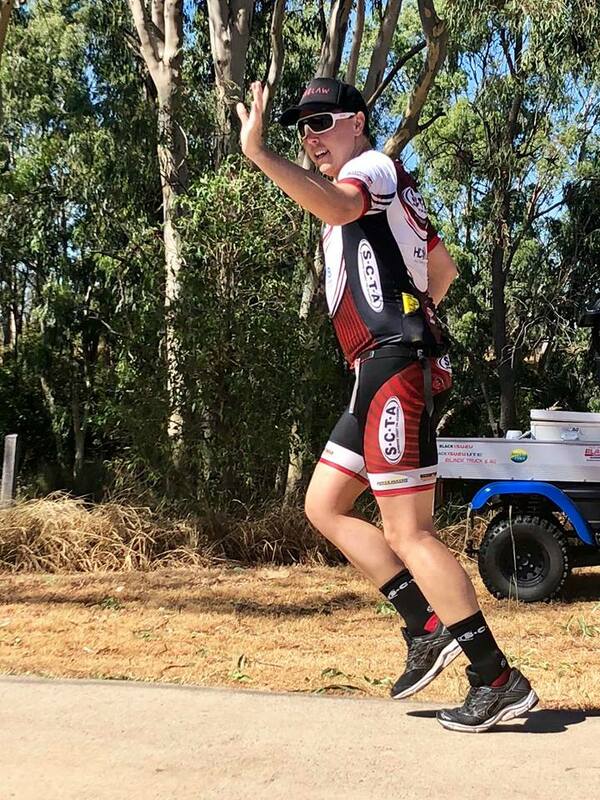 Waving and high fives on the course to his girls. The day before saw the Big Dog Pups in action in the Kids race. Both Jake and Zak Hammond had some fun out on the course. No results for them just a participation event for them. 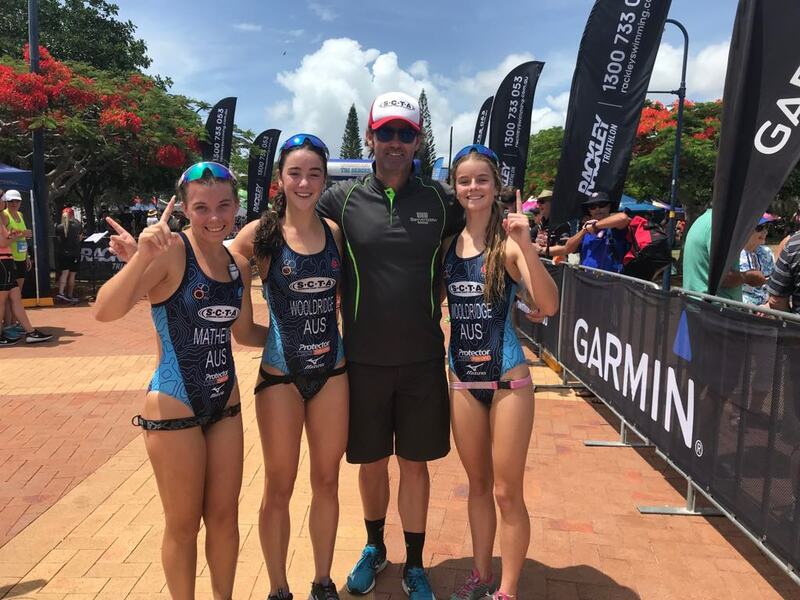 A great weekend of racing from the Sunshine Coast Triathlon Academy / Protector Aluminium Athletes that were in action at Noosa World Series Swim, Cradle Mountain 85km Ultra Run and at QTS # 6 at Caloundra. 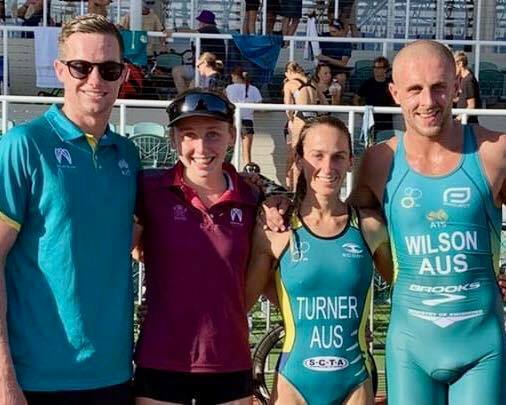 1200 athletes converged on Caloundra for Round # 6 of the Queensland Triathlon Series. The wind was blowing, we had a few rain scuds come thru during the race and we had sunshine. Anyone thought we were in Melbourne!! SCTA had a very strong showing in the races and dominated quite a few of the Age Categories. There was no Open Field in this round so the Open Competitors were back in their respective categories. 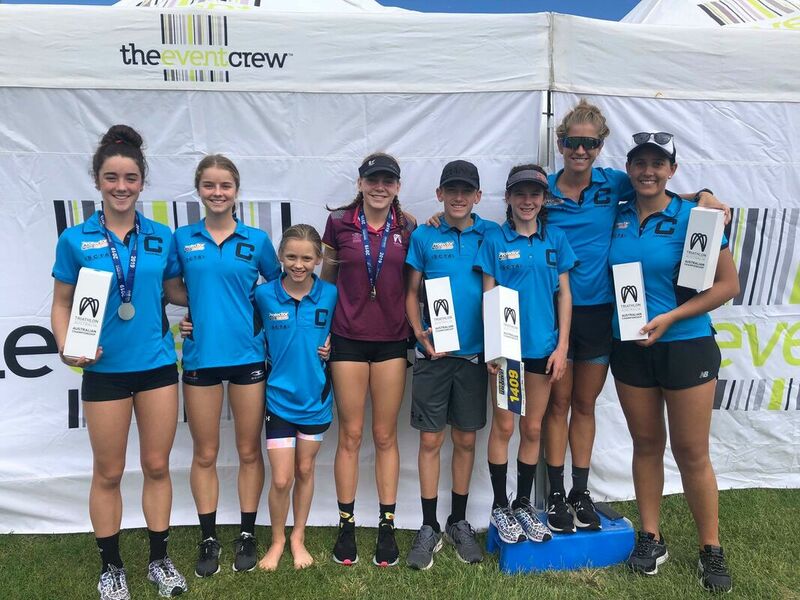 SCTA recorded 6 x Age Group Wins / 2 x 2nd / 1 x 3rd / 3 x 4th / 4 x 5th. First 3 Overall Females and 6th and 10th Male. 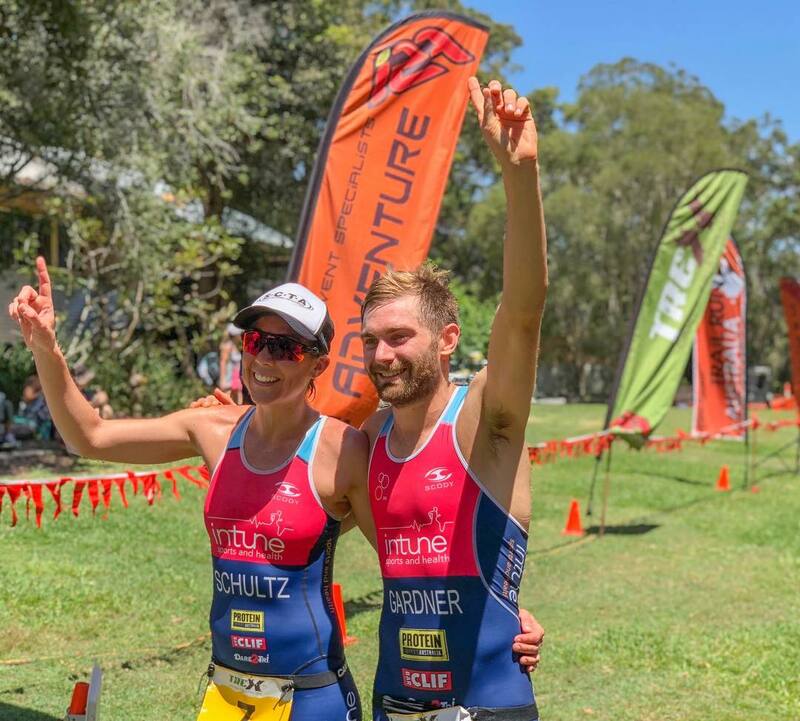 5 female in top 20 and 2 male in top 20. 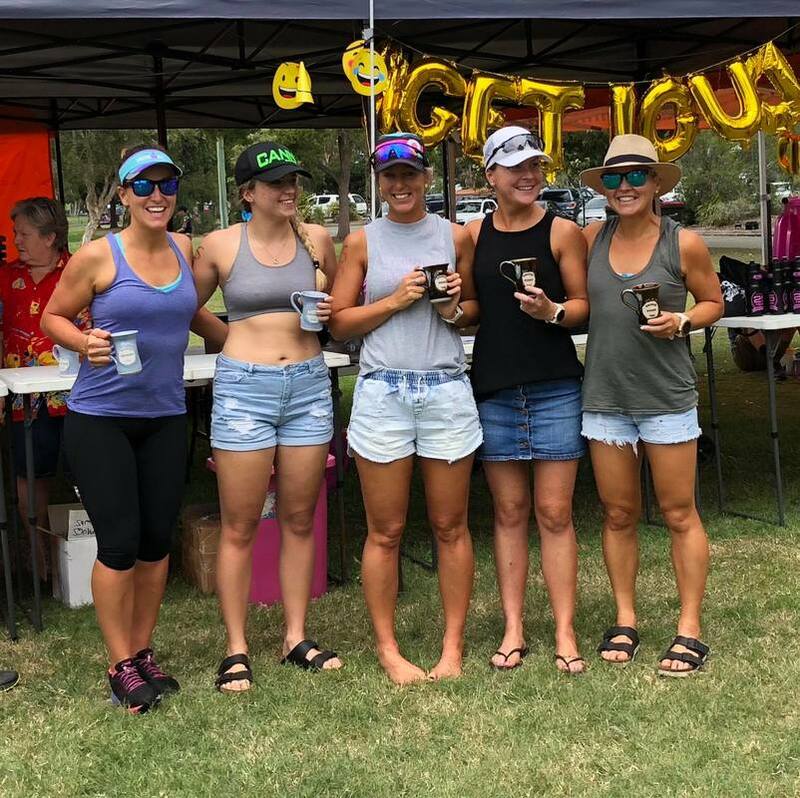 Leading the charge with Age Group wins went to Lucy Bowden (25-29 / 3rd Female Overall), Vicki Woodrow (60-64), Gary Turner (70-74) Team of Tania Gover, Emma Hogan, Kelly Enright (Female Team and 3rd Team Overall) and SCTA Club Members Romy Wolstencroft (16-19 / 1st Female Overall) Brittany Dutton (20-24 / 2nd Female Overall). 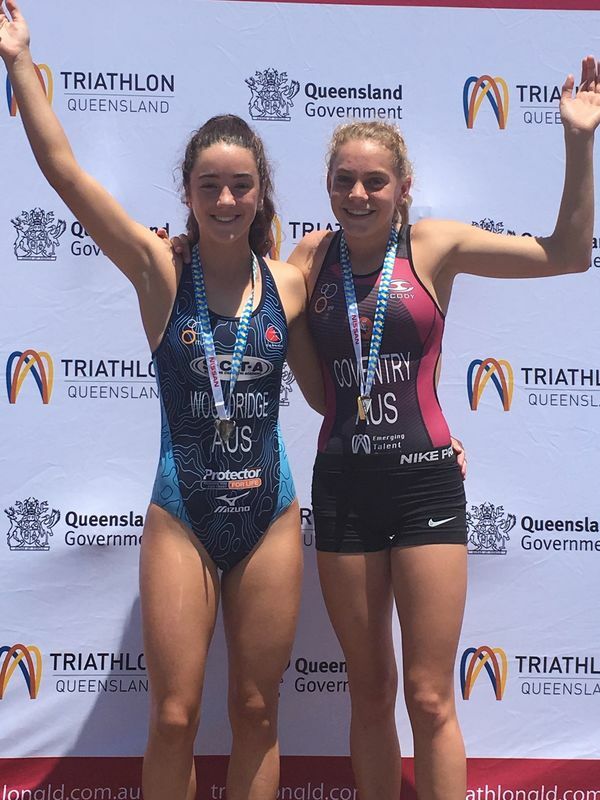 On the podium in 2nd was Chloe Turner (25-29) and Kitouli Wood (16-19 Enticer) while in 3rd was Maddison Dutton (20-24). 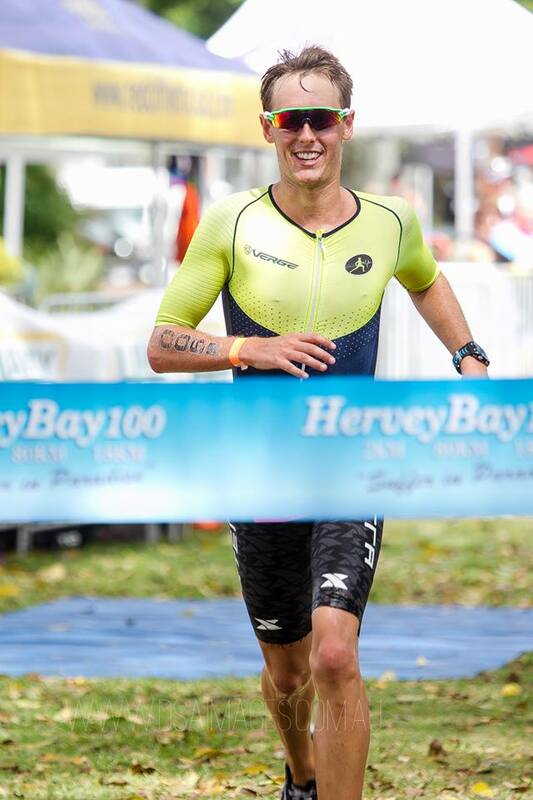 Best Overall Male went to Michael Hooper in 6th place and 4th (20-24) just showing how strong his category was. 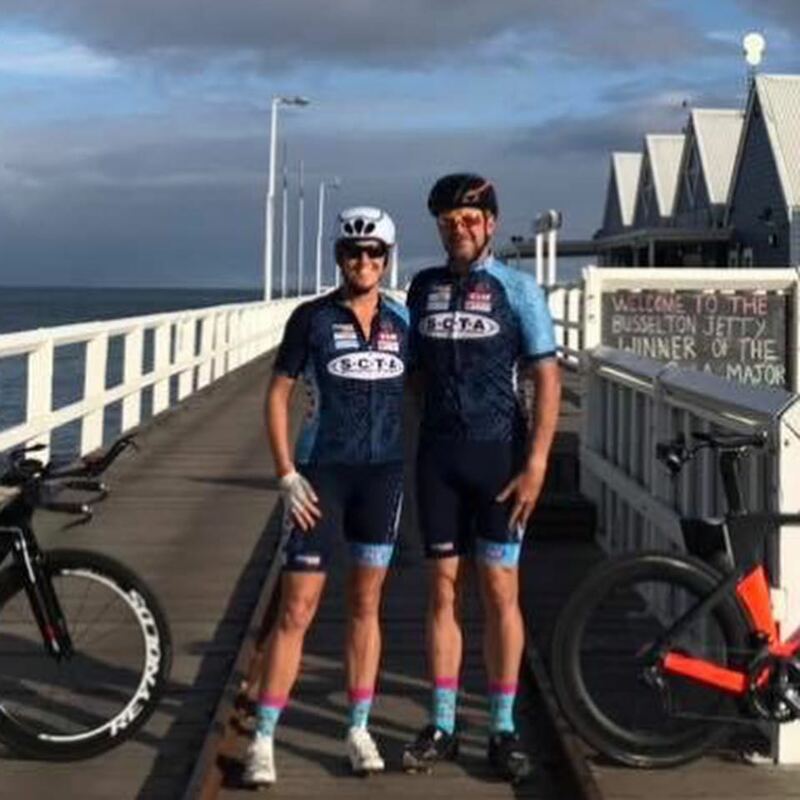 Just missing the podium with 4th Places as well went to Ron Craig (90-99 Clydesdale) and Jan Harvey (55-59). 5th places went to Jake Hynes (16-19 / 10th Overall), Rebecca Howell (20-24), Orla Gallagher (35-39) and Heidi Craig (10-11 Kool Kids). 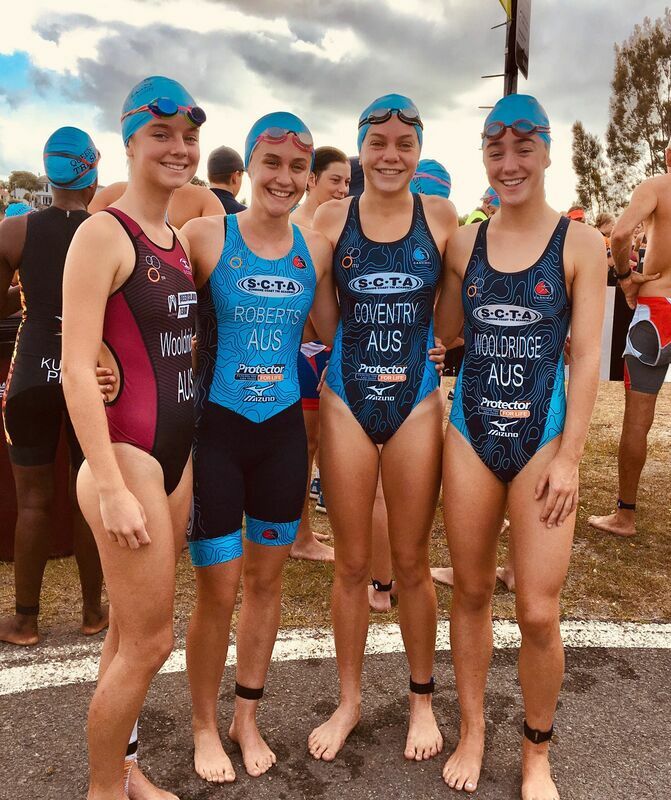 Top 10 finishes went to Norm Marsh 6th (Caloundra Tri Club), Ella Wooldridge 7th (16-19), Carol Wooldridge 7th (45+ Enticer), Erin Wooldridge 8th (14-15) and Angie Hammond 10th (40-44). 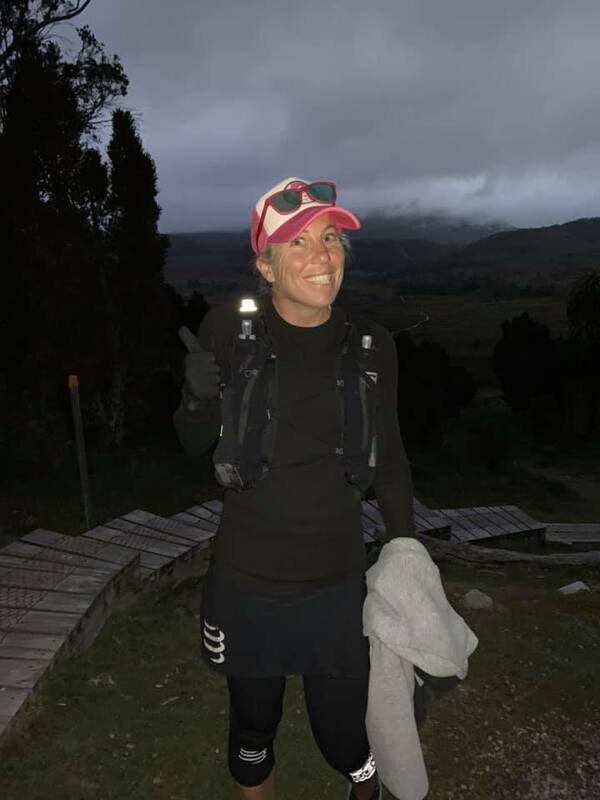 While in Tasmania, Kate Gazzard took on the Cradle Mountain 85km Ultra Run. 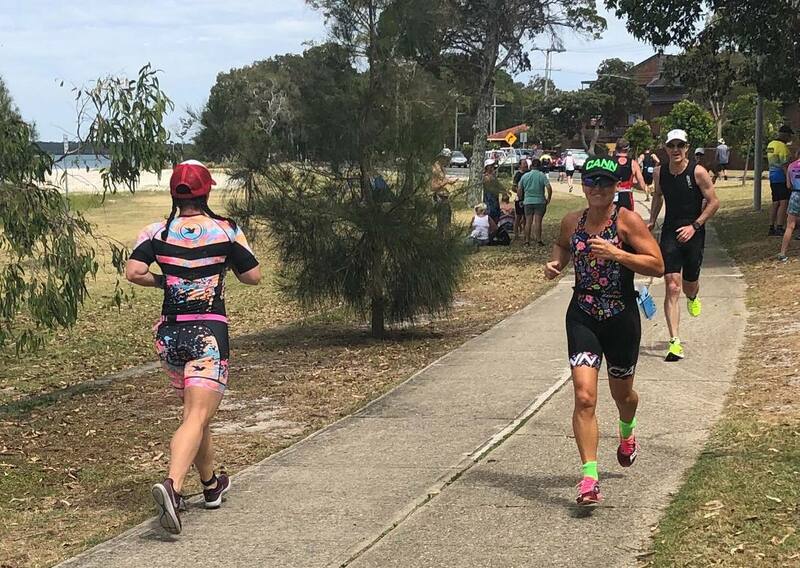 It was going to be touch and go with the fire outbreak in Tasmania, but the weather gods came good and they were allowed to run. 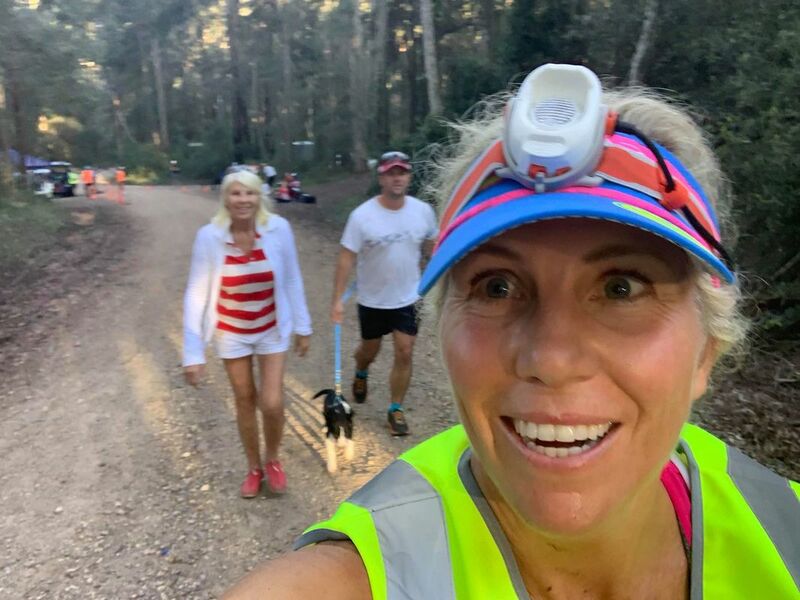 Kate said it was a tough slog with a cloud / mist cover and the course itself wasn't conducive to being able to run for a majority of the trail. 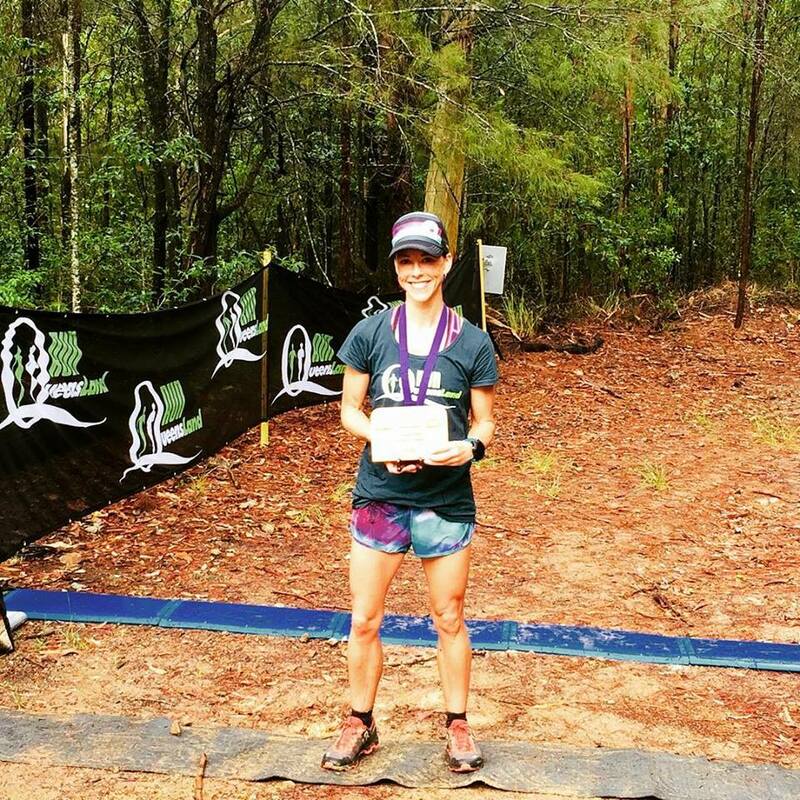 Kate still soldiered on to finish 6th female and 24th overall in a time of 11:58. 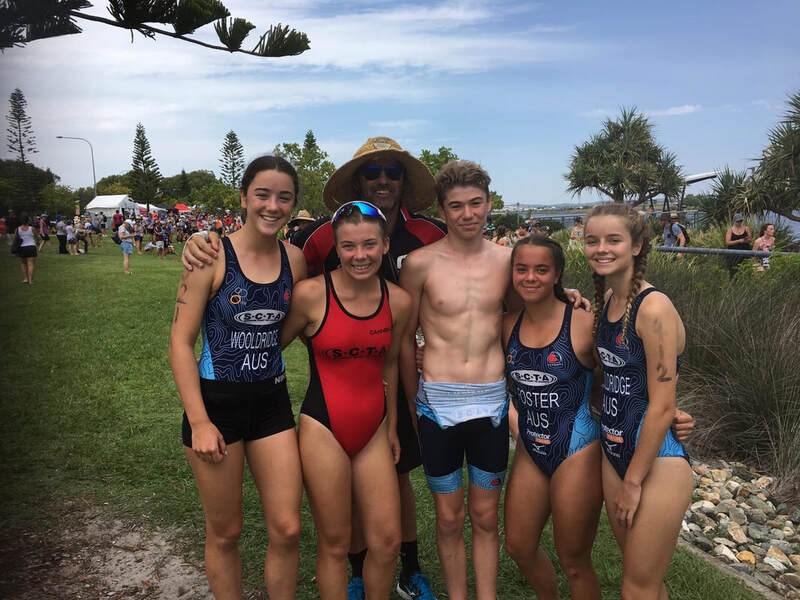 Over the weekend we had a few Athletes at Noosa Main Beach for the World Series Swim Events over a variety of distances. 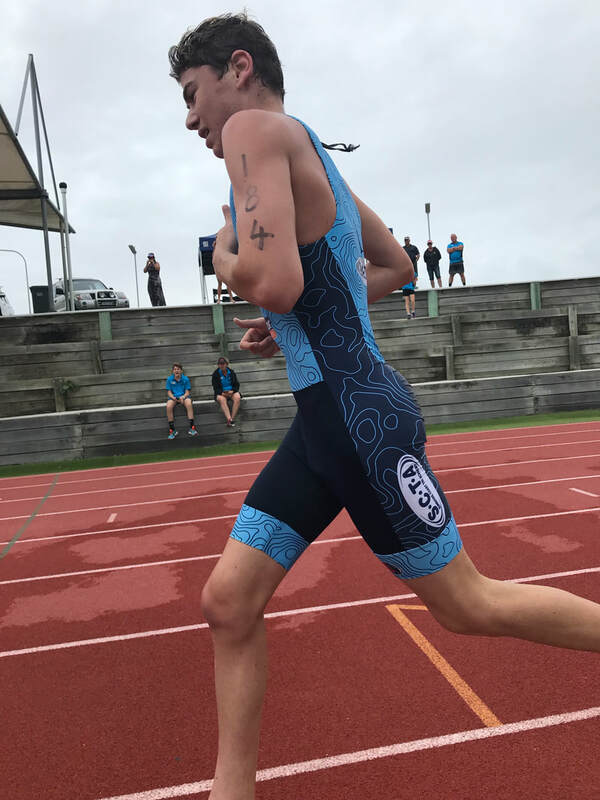 Ryan Fisher took out the 2km 25-29. 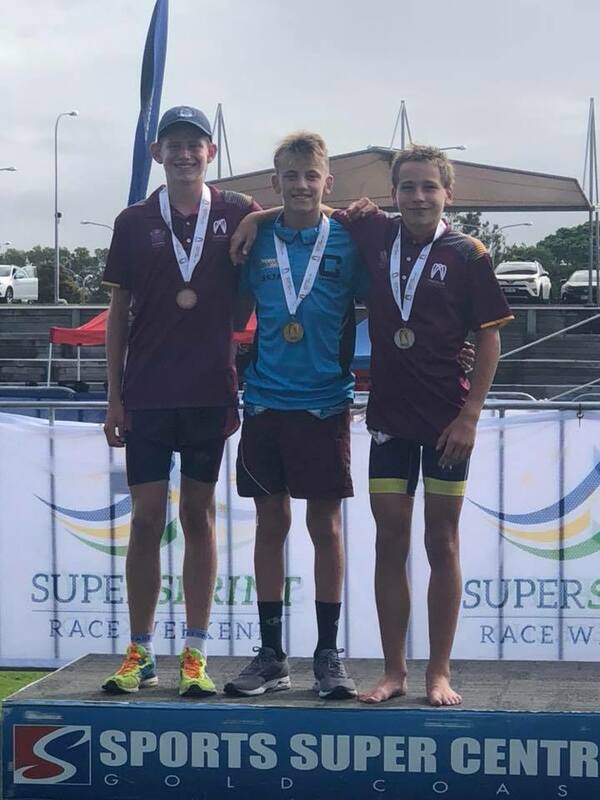 Other podium performances in 2nd were Janelle McCosker (3km 35-39), Jake Hammond (300 10-14) and Sam Penny (5km 45-49) with 3rd place to Zak Hammond (300 10-14). 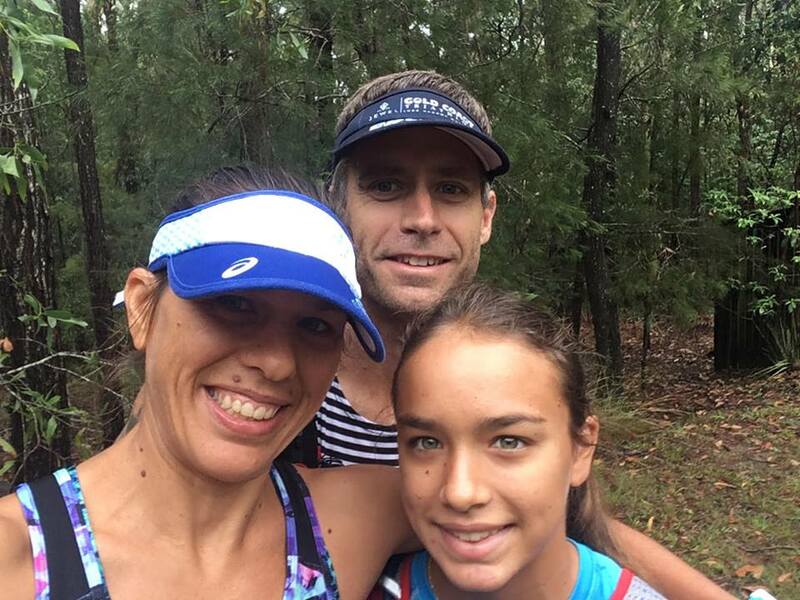 On Saturday Night the Shults Family hit up Beerwah for the Beerwah @ Night Trail Run. 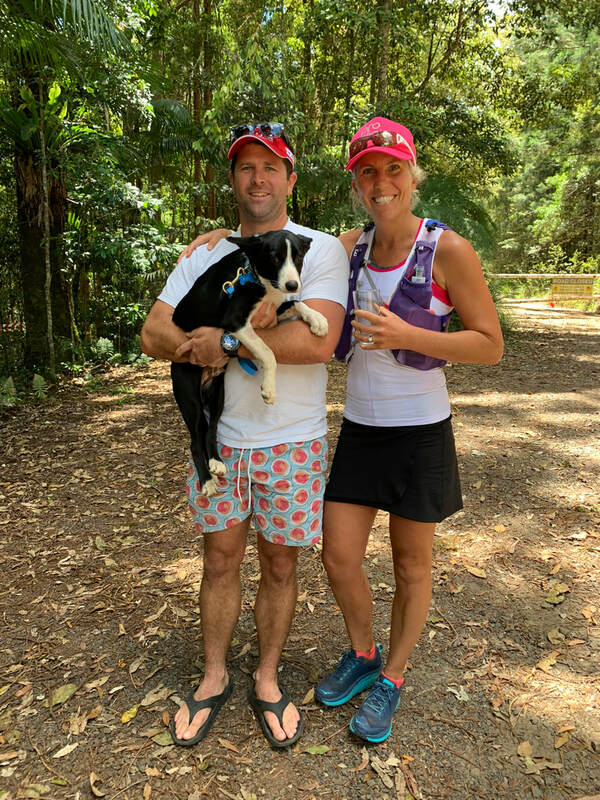 Jazzy Shults was 2nd Female in the 10km, while in the Half Marathon Jen Shults was 10th Female and Scott Shults was 23rd Male. 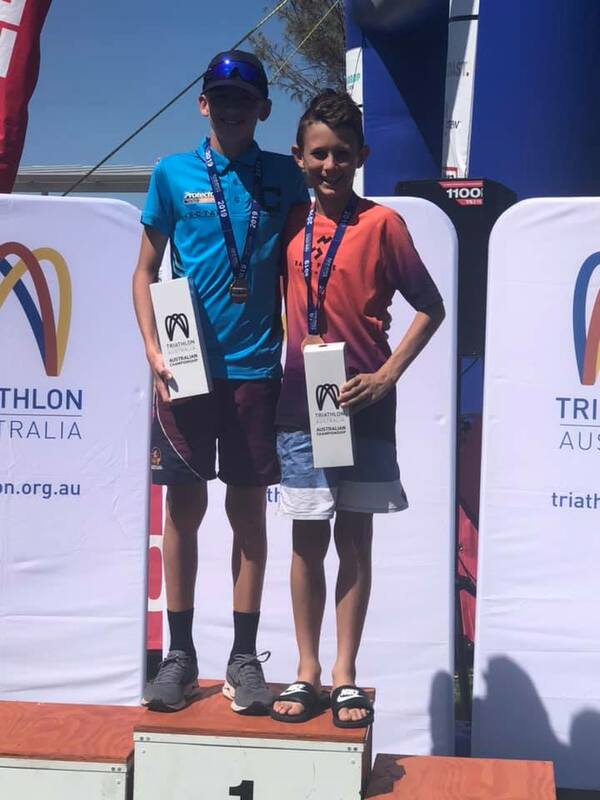 What a great weekend of racing from the Sunshine Coast Triathlon Academy / Protector Aluminium Junior Athletes that were in action at Round # 2 of the Australia Junior / Youth Triathlon series held in Canberra. It was 2 x super sprints with about 2hr gap between races. 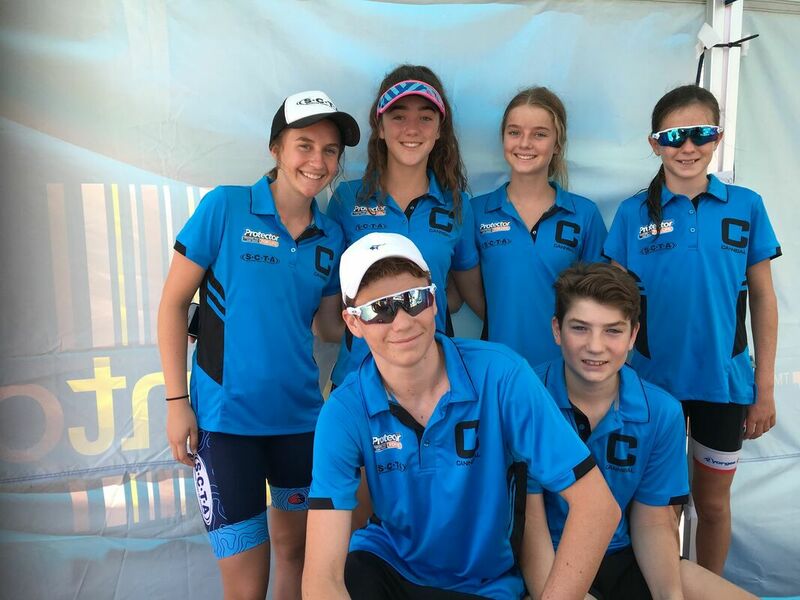 Juniors competed over the 250/9.3/1.2 and Youth A + B 200/6.2/1.2 and the winner was the one with the quickset overall time from both races. Juniors went in their category while the Youth A and B were combined together. 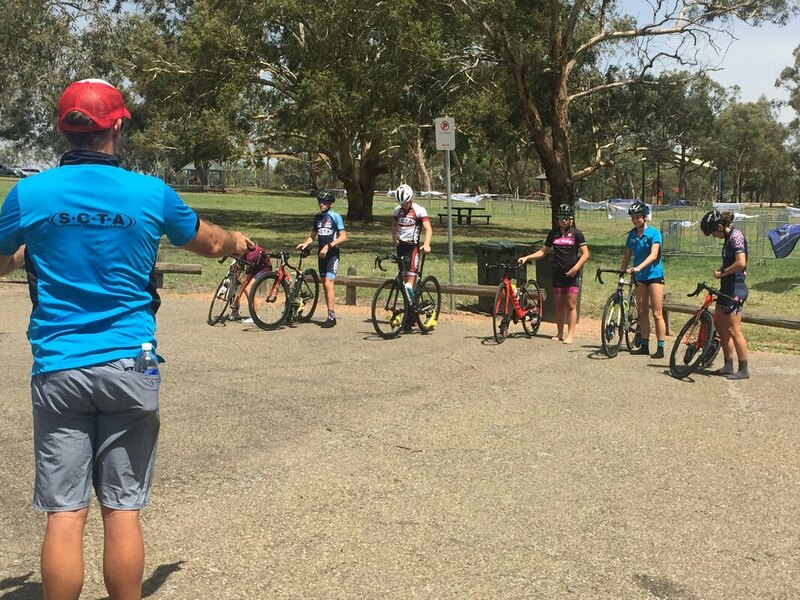 Friday for Course Familiarisation was 42 degrees Saturday was a cool morning with cloud cover but by the time race 2 came around it was around the 35 degrees. The Sunday the temp was the same for the Mixed Team Relays. 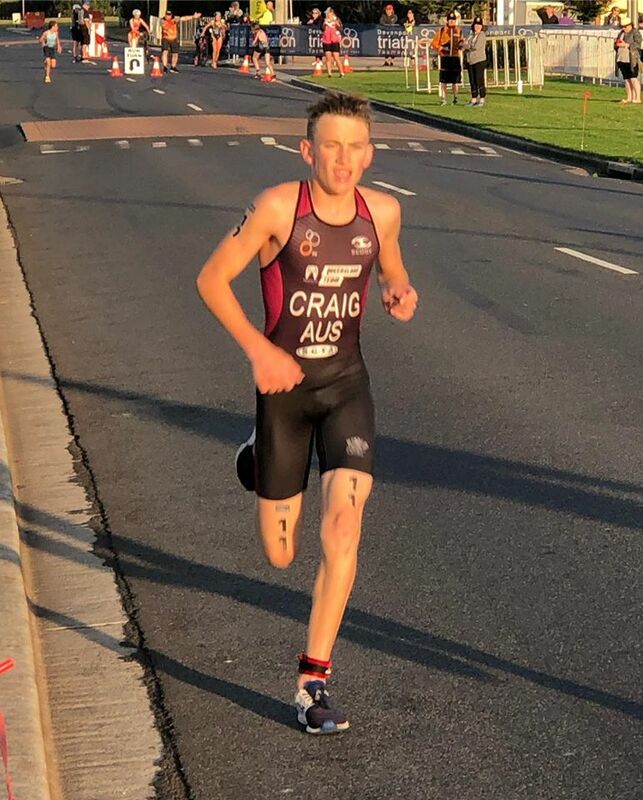 Leading the charge was SCTA / Protector Aluminium Junior scholarship Holder Peyton Craig, racing in the Youth B category took out race 1 beating all the Youth A's in gaining maximum time. Race 2 saw the strength of the older competitors take over and the bike pace was on. Peyton missed the lead the pack and fought hard to finish 13th. 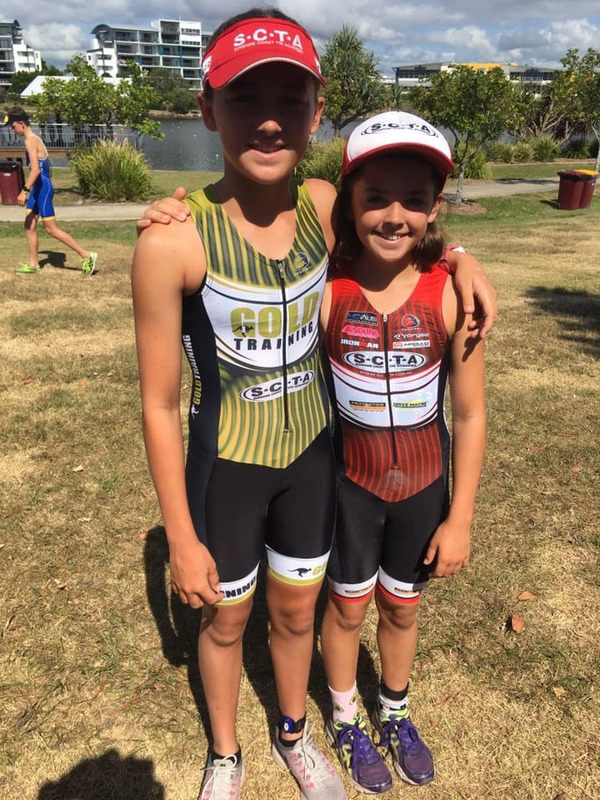 In Youth B Peyton took the win in both races securing 1st Place Youth B for the 2nd consecutive race. Ryan Marsh fought well all day. The confidence he gained from Round # 1 continued into the 2 race format here at Canberra. 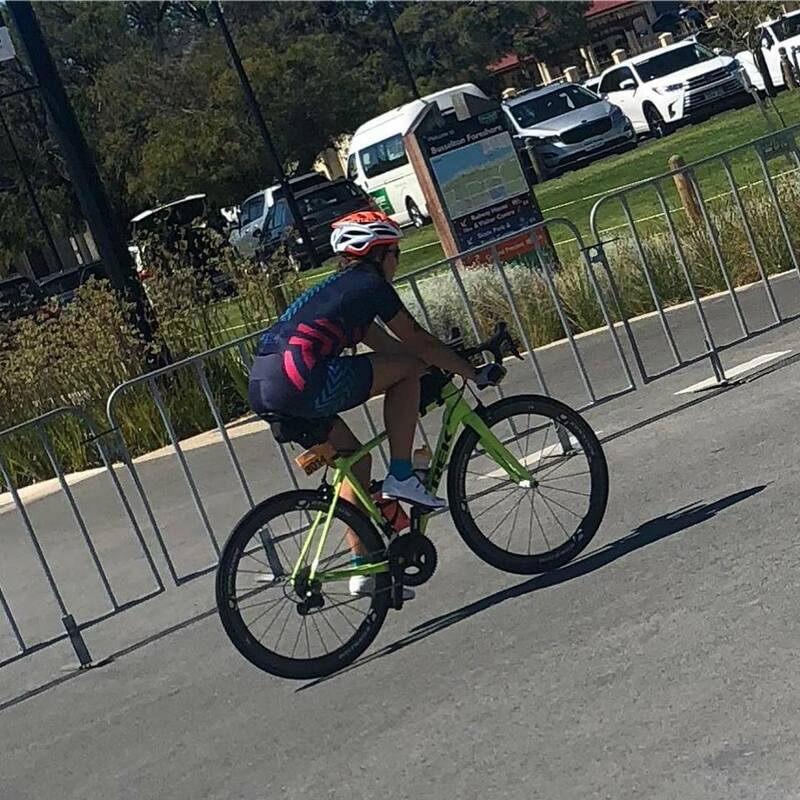 The bike course was hilly and technical which was right up his alley. He made the moves he needed to to get himself into he right positions. 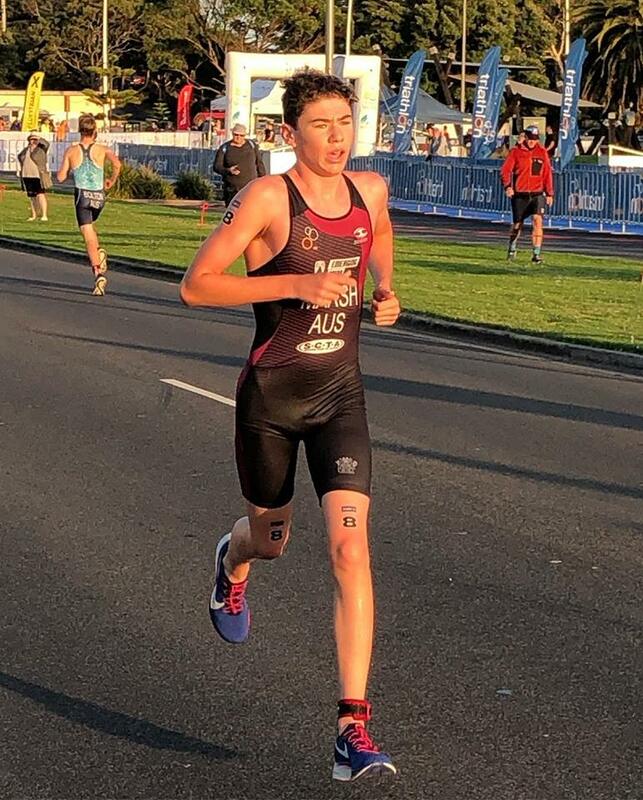 He finished race 1 in 7th and the same for race 2 securing him 6th place in Youth A. Progressing extremely well and will welcome the longer bike and run in the next race. 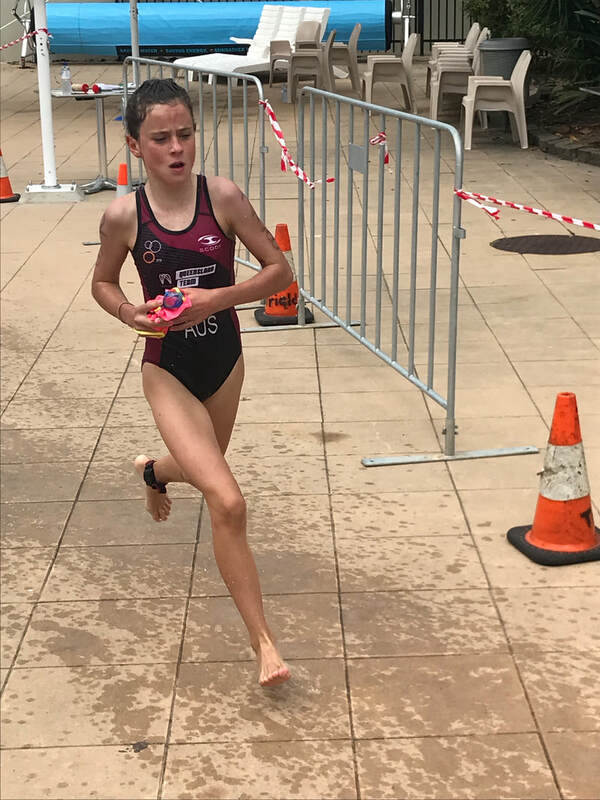 Ella Wooldridge in her first year in the Juniors shows the fight and desire to mix it with the top Junior Girls. 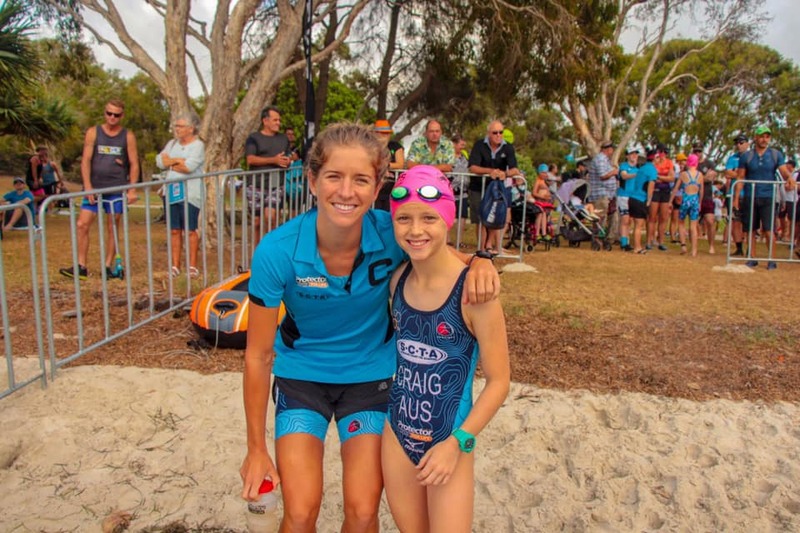 The swim is improving all the time and is slowly bridging that gap to the top girls. Her run splits in both races were just off the top girls. We are slowly edging closer to them with each race we do. Race 1 - 14th and Race 2 - 9th, which secured 10th Place Junior. 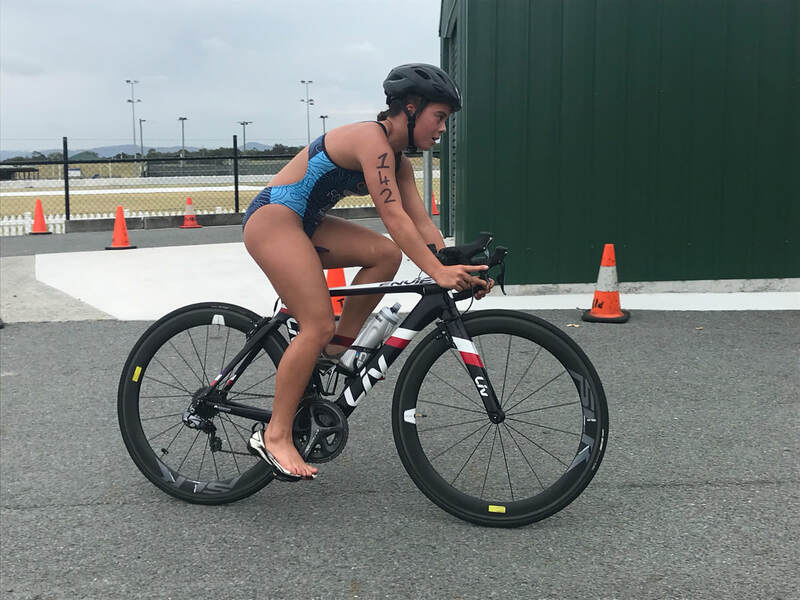 Erin Wooldridge lined up in the Youth A and was dominate on the bike all weekend chasing the faster girls out of the swim. 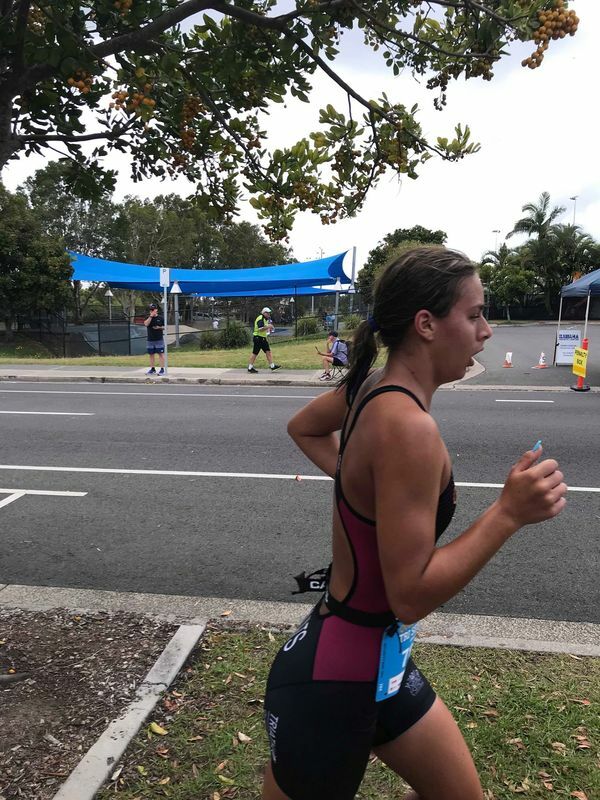 Her runs off the bike were strong and helped produced some great results. 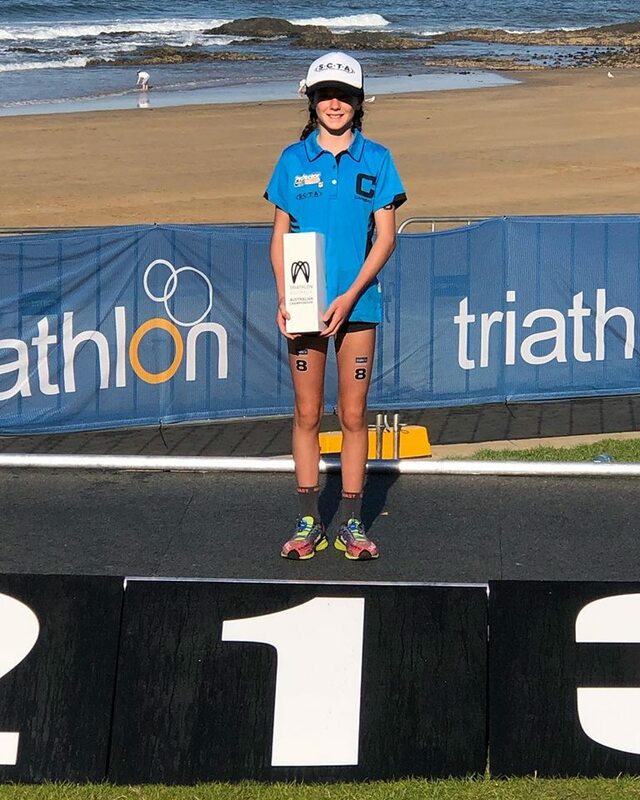 In race 1 - 11th and race 2 she finished 12th which secured her 11th place Youth A. Improving all the time. 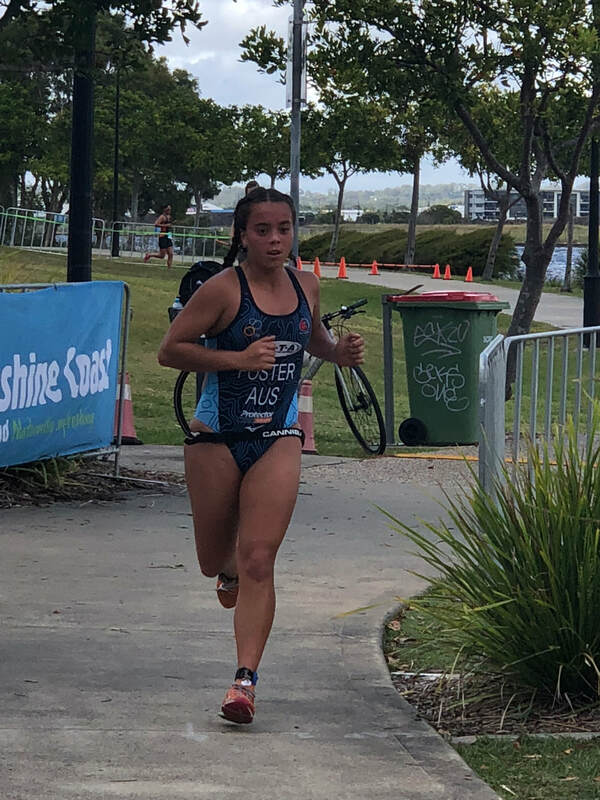 The start of the 2019 racing has started with Sunshine Coast Triathlon Academy / Protector Aluminium Athletes in action at the QTS # 5 Robina Triathlon. 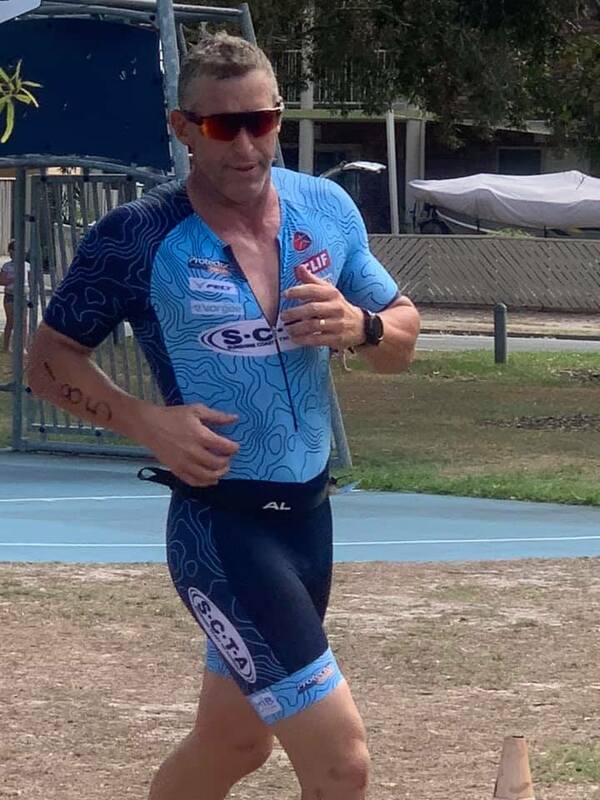 Always a very warm and humid race and this year was no exception with a light southerly wind to start the day off with. As the morning progress the wind stayed relatively the same but the heat and humidity did rise as the morning went on. 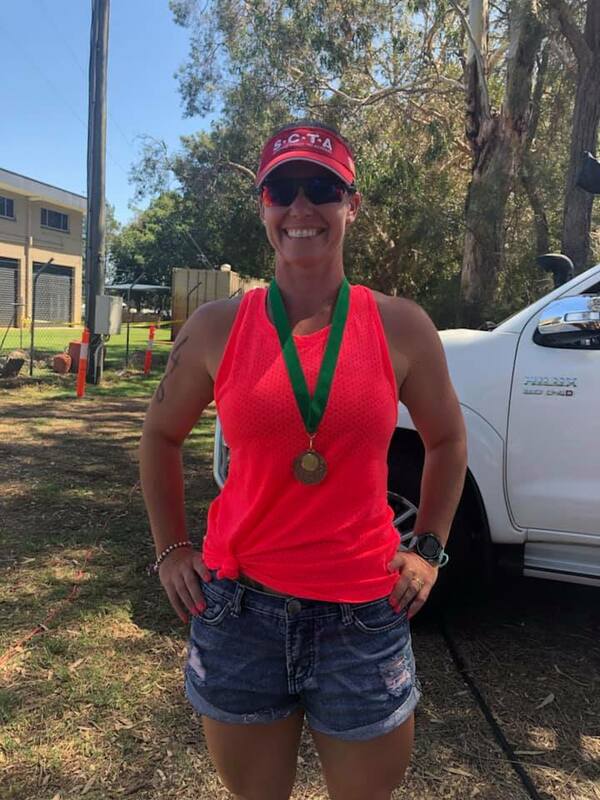 SCTA had 20 athletes race across the four distances of OD, Sprint, Enticer and Kool Kids with 8 podiums including 3rd Open Female with Lucy Bowden. 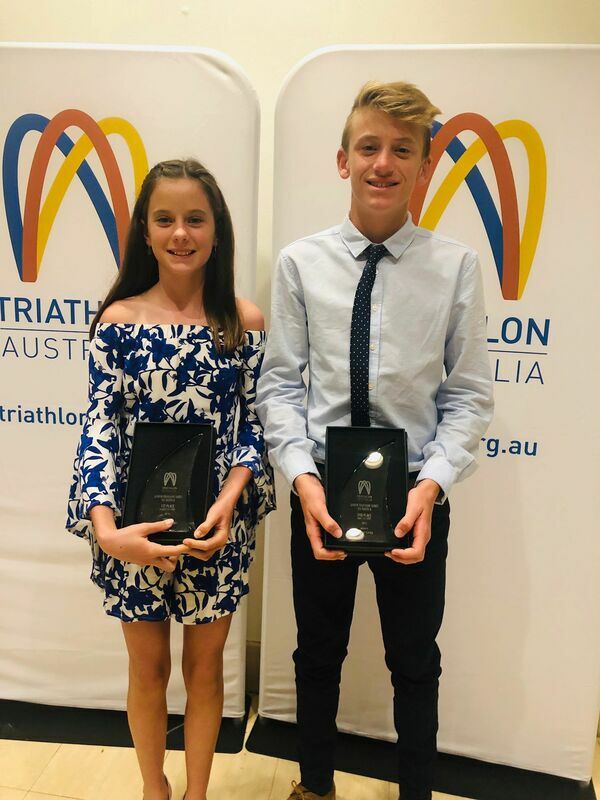 Category winners included Michael Hooper (20-24 OD & 5th Overall), Ryan Marsh (14-15 Sprint), Jasyme Coventry (16-19 Sprint & 2nd Female Overall) and SCTA Junior scholarship Holder Peyton Craig (Enticer U/14 & 2nd Overall). 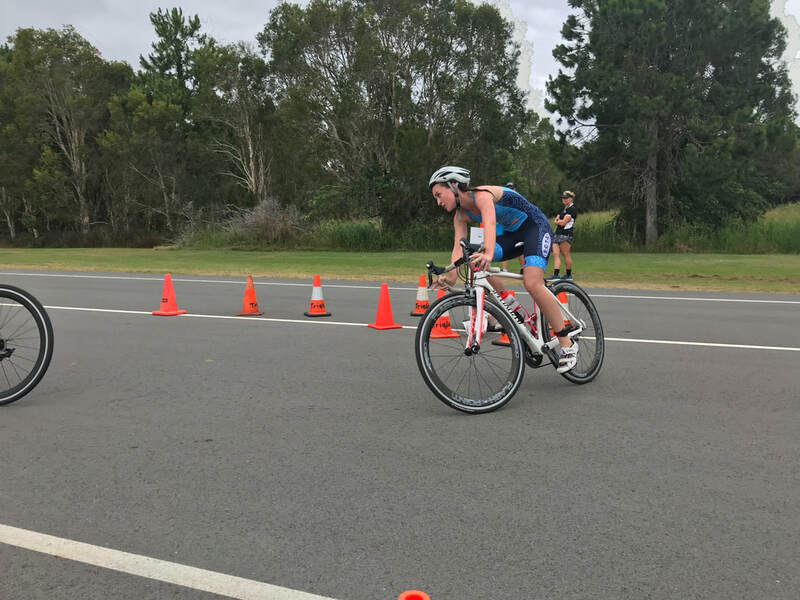 Ella Wooldridge was 2nd (16-19 Sprint & 6th Female Overall) while in 3rd we had Paul Marchant (25-29 OD) and Jason Palmada (45-49 OD). 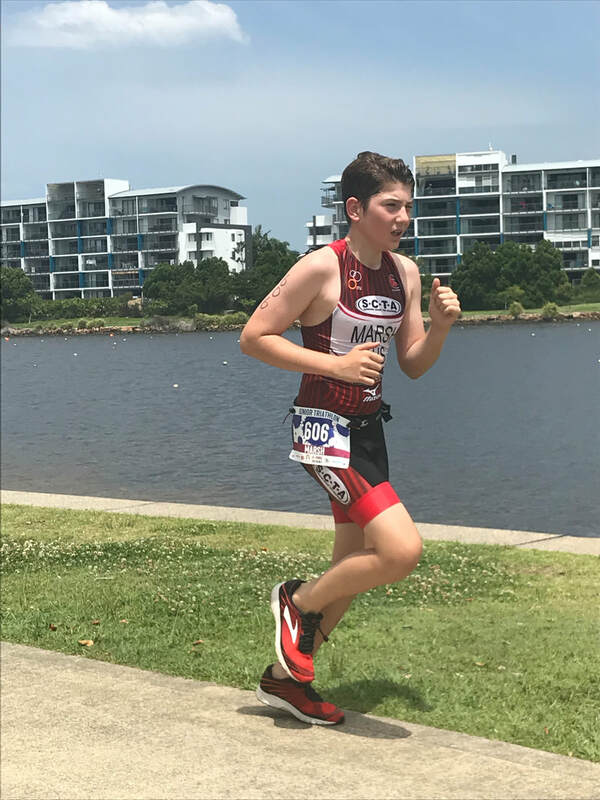 A huge weekend of racing for the Sunshine Coast Triathlon Academy / Protector Aluminum Junior Athletes that were racing at the Super Sprint Race Weekend for Round # 1 of the Triathlon Australian Junior / Youth Series. Day # 1 was 1500m Track run for all categories. Day # 4 were the Finals for the Youth A and Juniors. From a coaching point of view I love this weekend as it gives us a chance to watch, identify areas of improvements and then implement into the next race. The way all of the SCTA athletes took on my advice and worked on those little changes in each race, I couldn't have asked for anything more. The commitment and determination in each race could not have been faulted. I am very proud to Coach each one of you all. 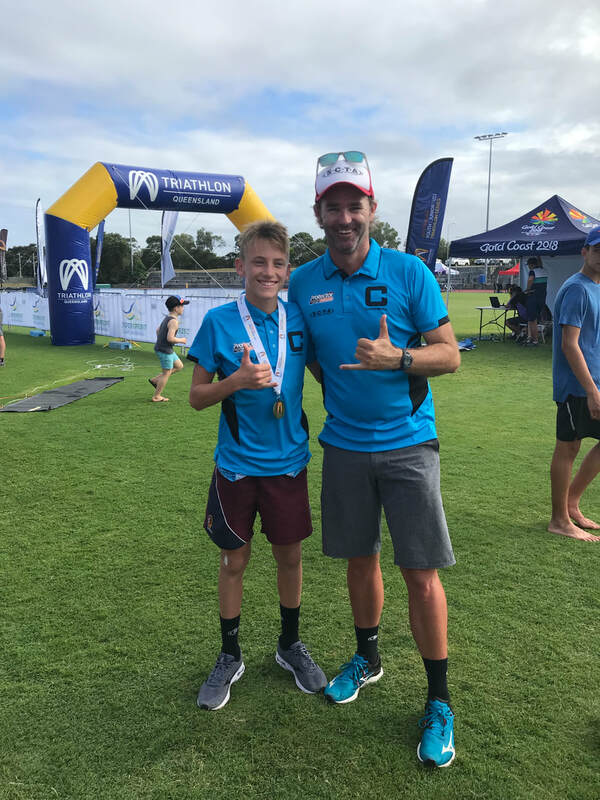 SCTA Junior Scholarship Male Holder Peyton Craig had a dominate weekend of racing with 4 x 1st Places and a 4th Place and taking out Round # 1. Leading into the final, not much had gone wrong and he improved on each race. Out of all his races, the last one was the toughest. He had to dig deep into this one to come away with the win. He had had a battle with Ethan Close for the whole weekend. But what I thought was the best moment of the weekend was when one of Peyton's competitors that was sitting in the top 3at the start of the final lost his bike shoe and crashed on the course, the gesture from Peyton and a few of his competitors to console him after the race and walk him in shows true sportsmanship above the their ages. 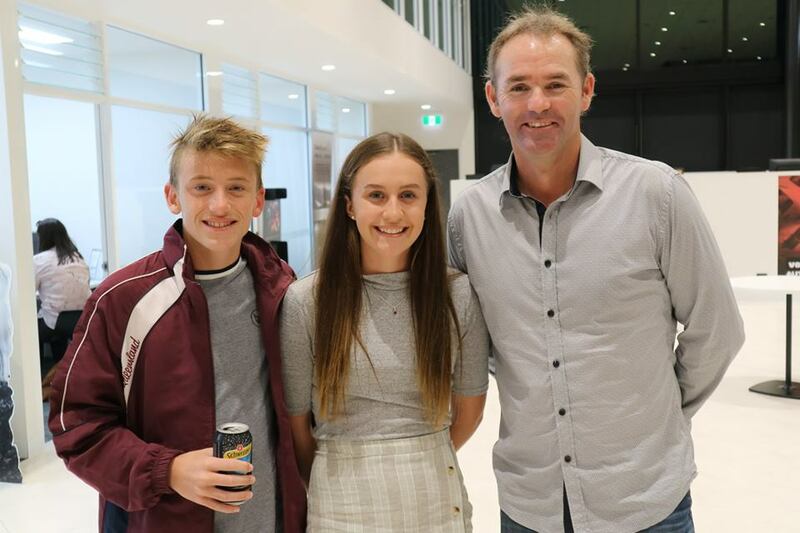 Well done Bushie a credit to yourself, your family and proud to have you as an ambassador for the Scholarship program. 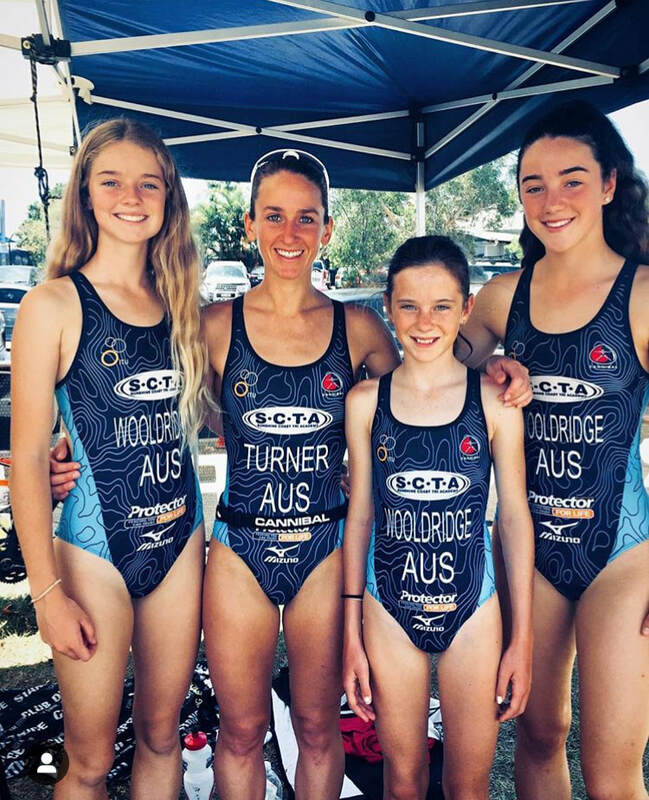 SCTA Junior Scholarship Female Holder Macey Roberts this year has had a few changes with new school, but the way in which you conduct yourself in training, around the squad and in competition I couldn't ask for a better role model of the scholarship program. 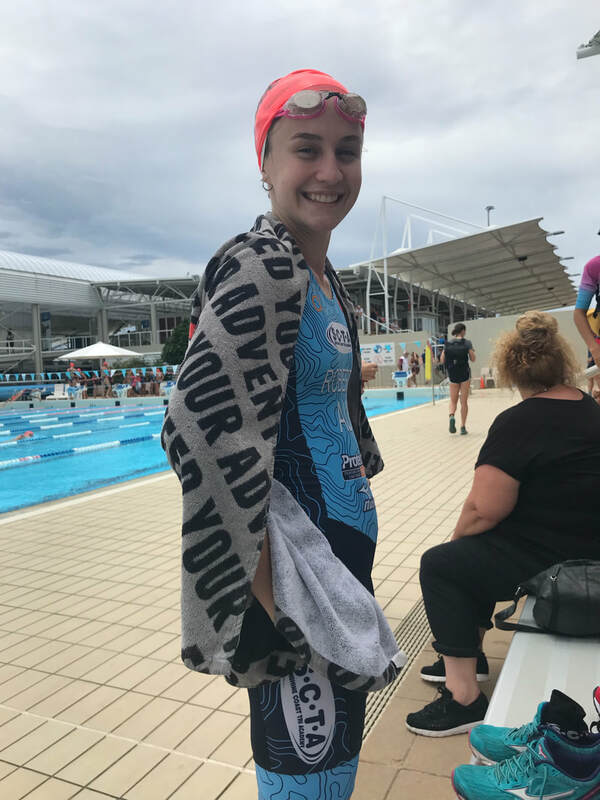 Macey has been a training with SCTA for 4-5 years and the growth and development we see each year is due to her determination and commitment. She is the most talented out there, but one of the hardest workers I have seen. You do it with a smile and appreciation for what the program is about and what your family does for you. Keep up the great work Macey. Ryan Marsh what a difference a year makes in growth and development. For the first time we are starting to see that aggression that we have been searching for. 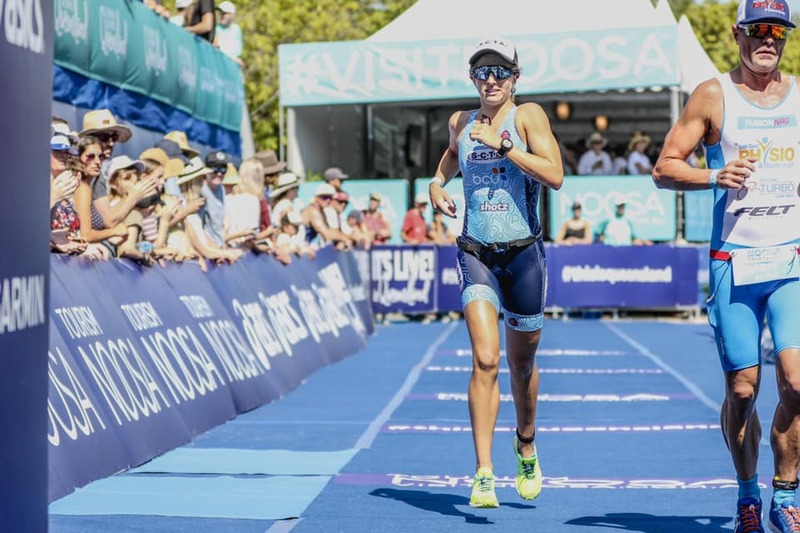 In a very competitive age group that has you chasing in each race, is not easy, but you embraced it this year and we saw the vast improvements from the year before. You did everything right in that final. 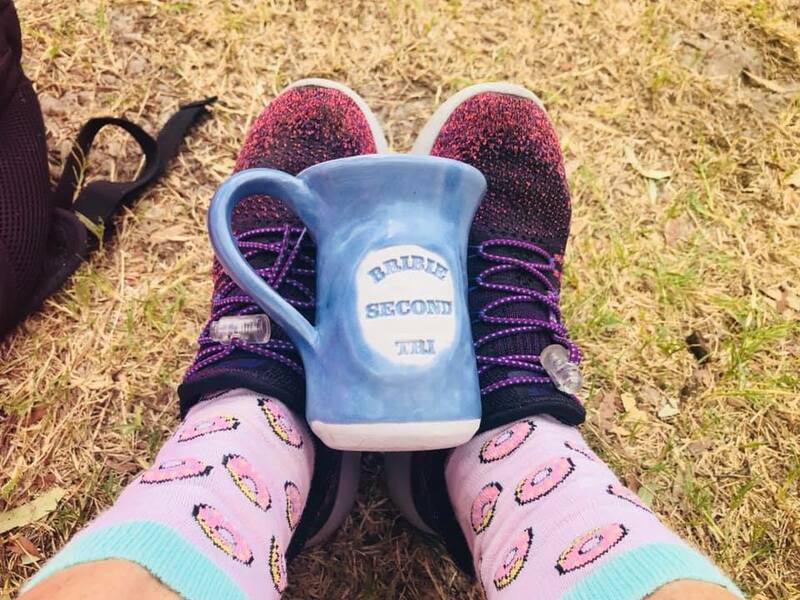 You chased the whole way and gave yourself the opportunity to get into that race. Could not be more prouder of the effort shown. Keep up the great work. It is coming and it is being rewarded. Erin Wooldridge another great experience and learning curve. There are a lot of good things to come out of the weekend. 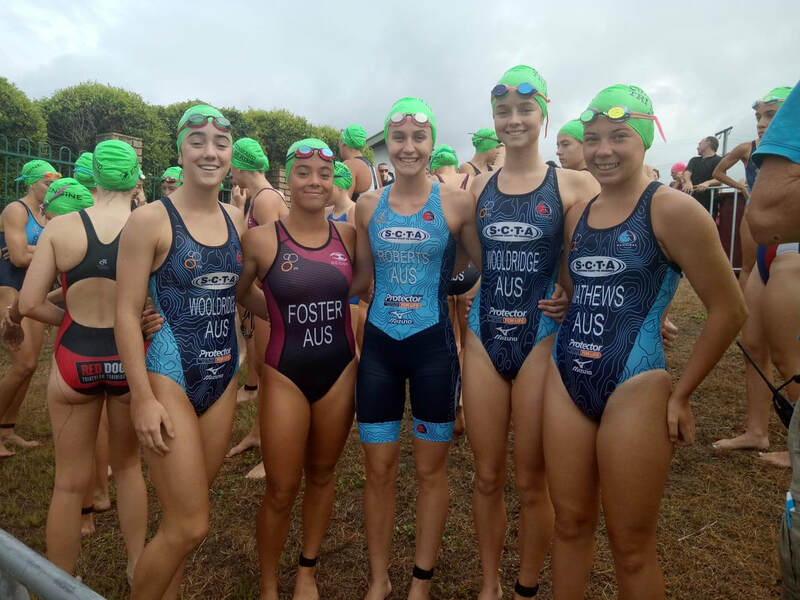 With a massive improvement in the swim putting you closer to the front girls, it will only be a matter of time till we are knocking on the door. The way you listened, implemented and then executed what we were searching for is a credit to the mental toughness you have. The confidence is coming back and you are starting to grow into your body since that growth spurt. Keep up the great work and learn from those experiences. 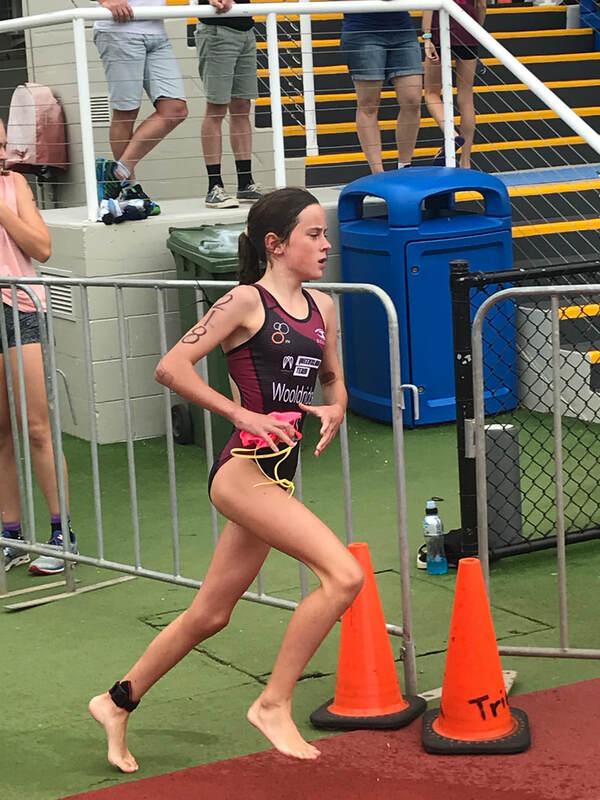 Jorja Matthews it wasn't the ideal prep leading into the is race with house moving, changing squads and schools. The good thing about the weekend is we have identified what we need to work on and have a platform to build from. It will come in time and we will see that progression in a years time when you go back into this race format. You listened after each race and implemented the changes needed over the weekend. Same with Shorty, your enthusiasm for your fellow team mates doesn't go unnoticed. Keep up the great work and the results will flow. 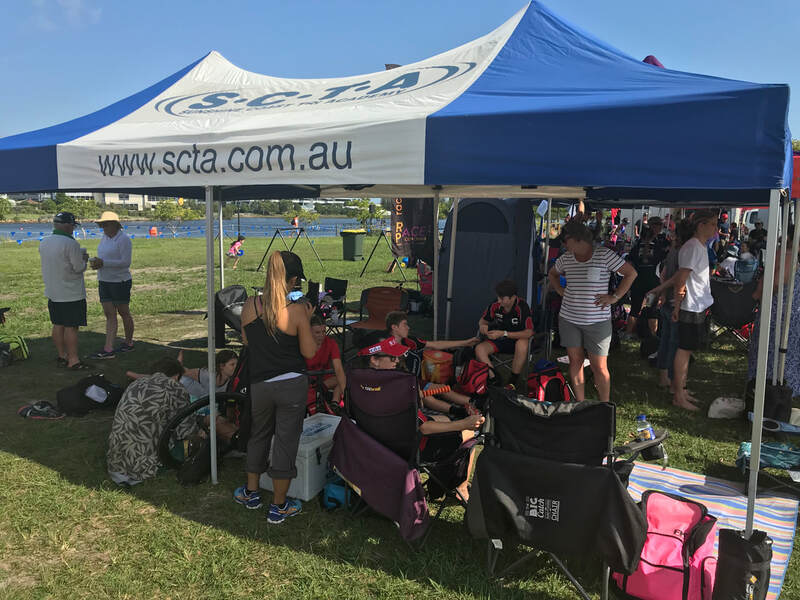 Jazi Coventry while you don't train with SCTA, but come under the SCTA Banner it was great to be able to help and guide you over the weekend in each race. There is huge potential here with you and still plenty of work to come. 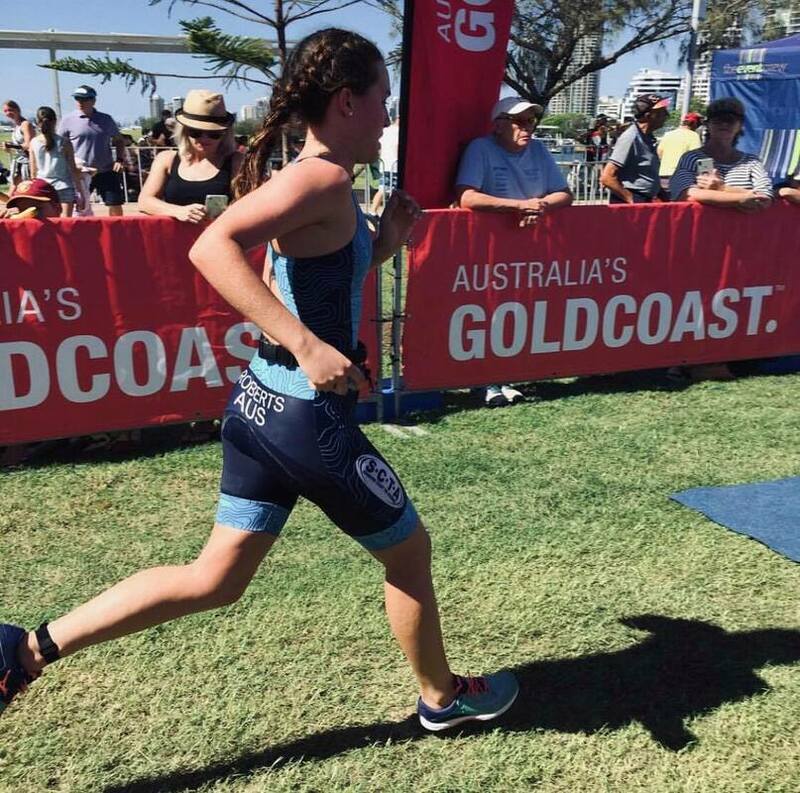 Never easy like Ella moving up form Youth A into the Juniors. The way you embraced the advice I gave you in each race and see you grow and implement in each race is a credit to yourself. When you relaxed and enjoyed yourself we saw the results flow. Well done and look forward to seeing the growth in the future. Mia Wooldridge I wanted to leave you last here. Otherwise known as Ratbag. This little gutsy pocket rocket just blows me away in everything she does. Her first attempt at this race weekend and it didn't overwhelm her at all. She fought against girls twice as big as her in height and development, but rest assure your heart is bigger than any one of them. 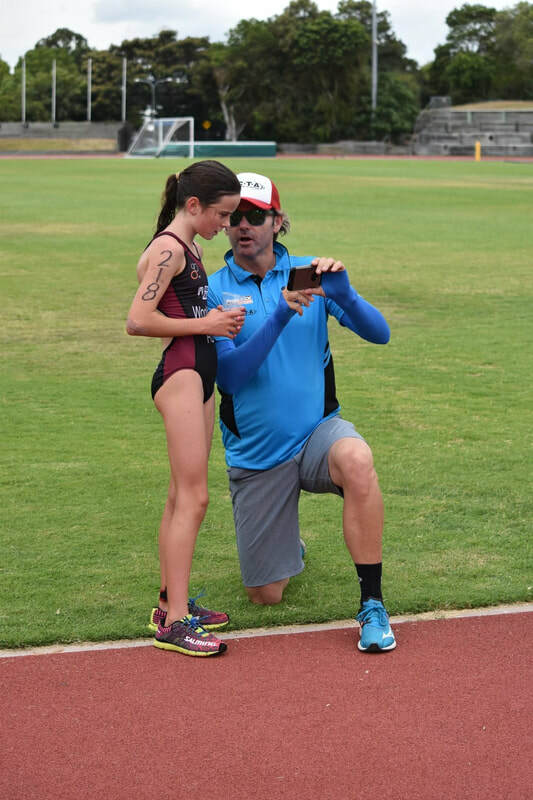 Her attitude and swagger may throw a few, but being your Coach the way in which you embrace what I tell you, the way you implement what I have asked you to do and the way in which you pick up the skills I teach you blows me away. For such a youngster you show qualities way above your age. You are so raw in your ability, but embrace the challenge each time. A little champion in the making but doing it with smile, enjoying the fun and experience. Keep up the great work Ratbag. 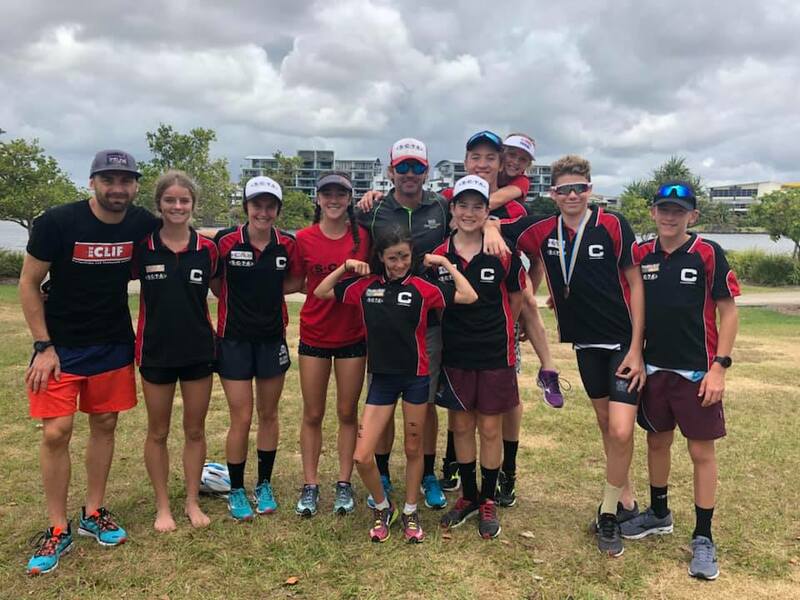 Another big weekend of racing for the Sunshine Coast Triathlon Academy / Protector Aluminium Athletes that were in action over the weekend at QTS # 4 Raby Bay, National Schools Athletics Champs in Cairns, Challenge Daytona, Indian Springs 70.3, GC 30km and Beerwah @ Daybreak Run. 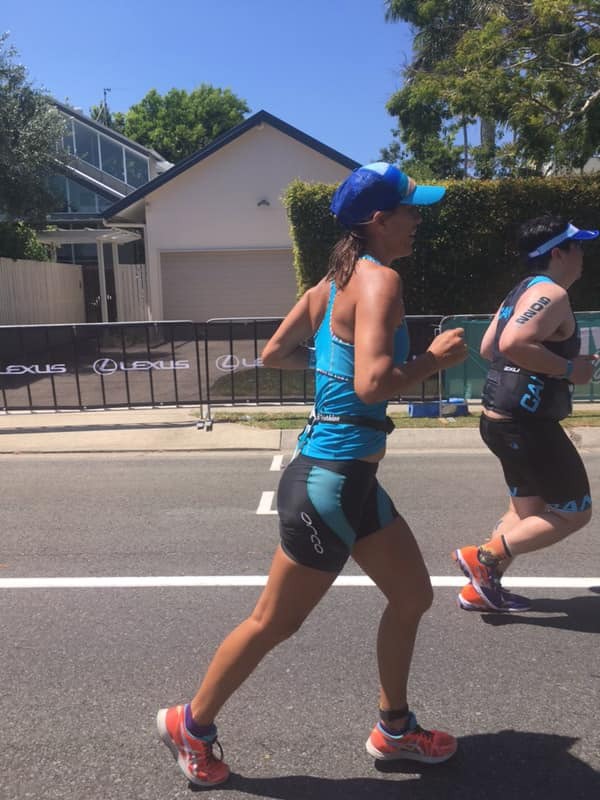 Marion Tuin lined up at Challenge Daytona, where bad weather changed the start time and distances where amended to accommodate the conditions. 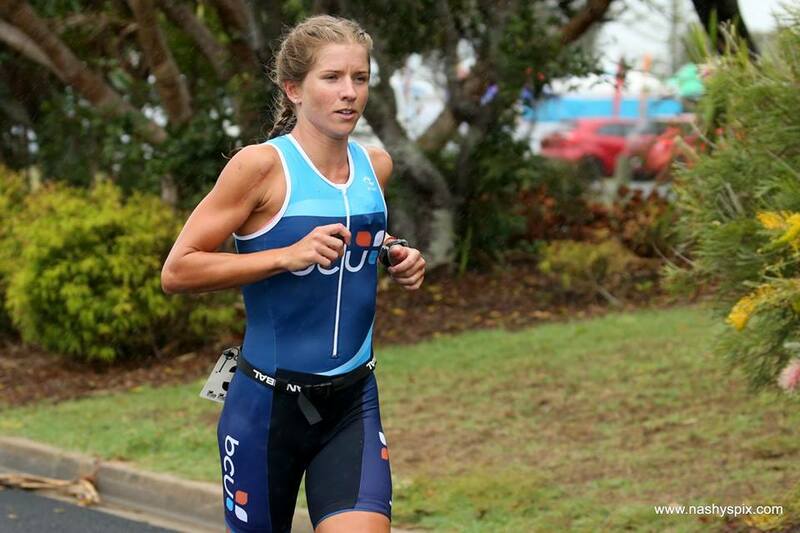 In her 2nd Pro race, Marion had a solid day to go top 10 once again with a 7th place. 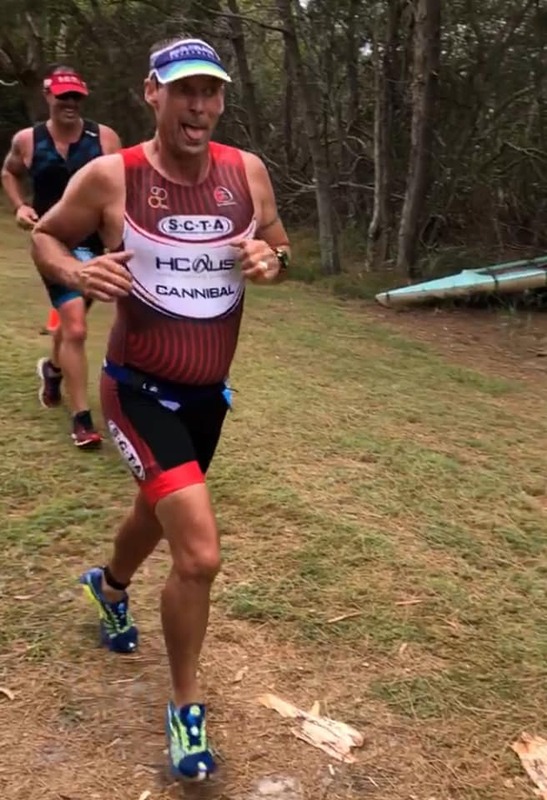 Round 4 of the Queensland Triathlon Series at Raby Bay was a happy hunting ground for the crew. 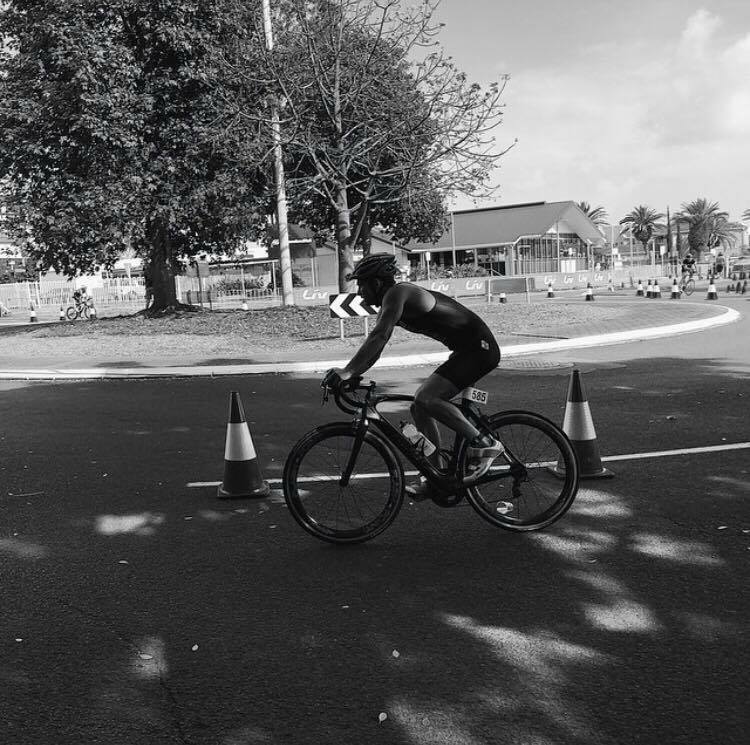 Cooler conditions with a windy cycle course did see some fast times. With 4 distances to choose from. 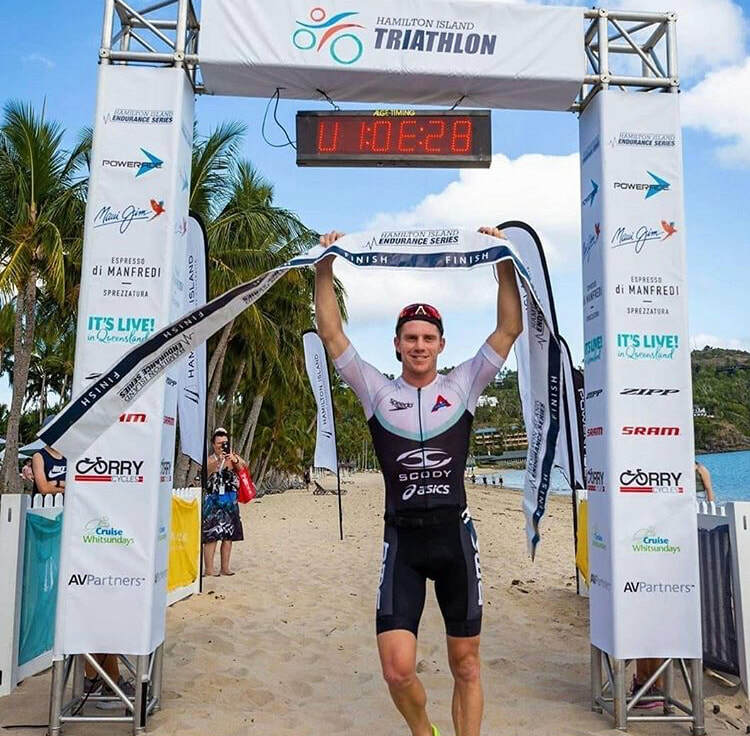 In the Long Course we had wins to Michael Hooper (20-24 and 6th Overall) and Paul Marchant (25-29). Jordan Gover rounded out the other podium with 2nd (45-49). 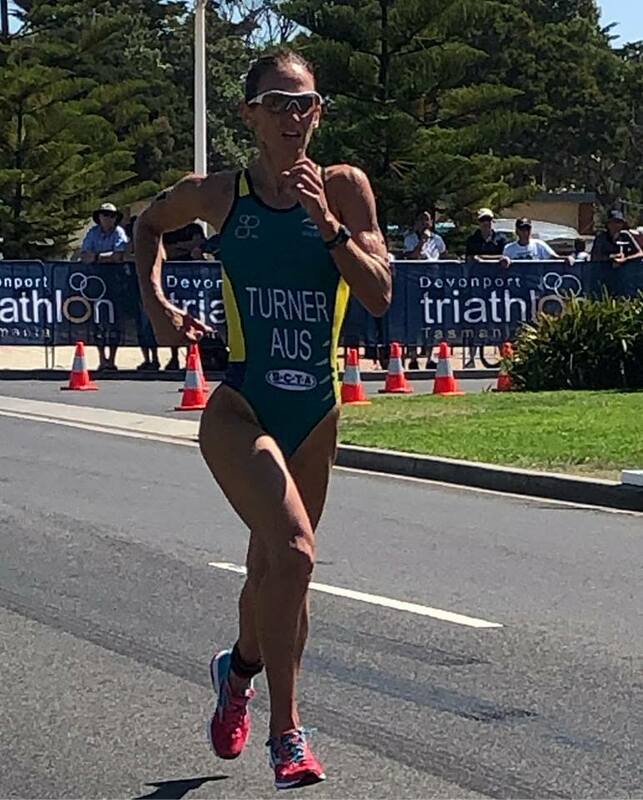 Chloe Turner stepped up into the OPEN category for this round to finish 4th. 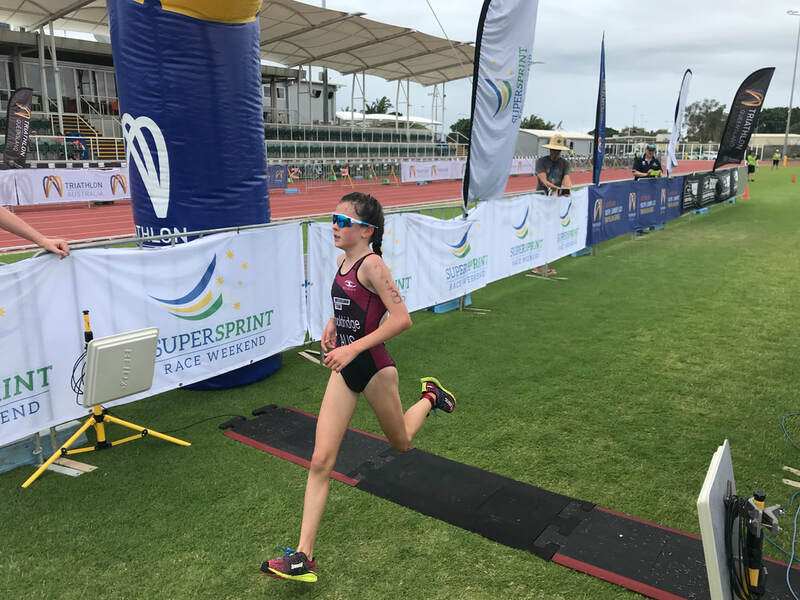 Super Sprint saw wins to Ella Wooldridge (16-19 and 2nd Female Overall), Erin Wooldridge (14-15 and 4th Female Overall) and Gary Turner (70-74). 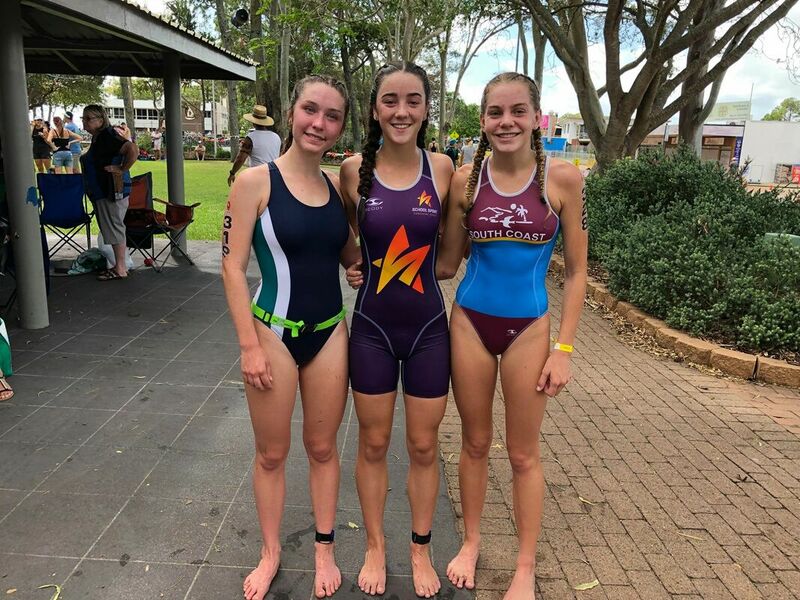 Maddi Dutton just missed the win with 2nd (20-24) with 3rd places to Jorja Matthews (14-15), Carol Wooldridge (45-49). 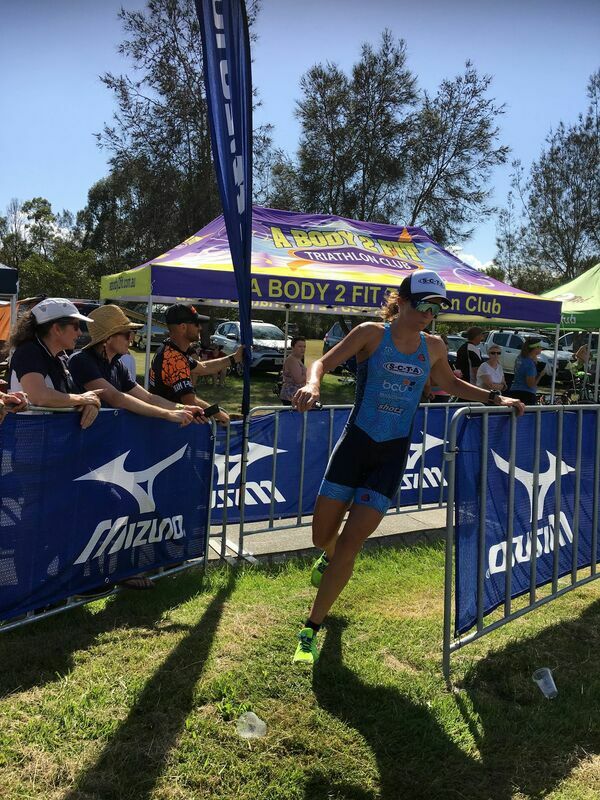 Just missing the podium in 4th was Rebecca Howell (20-24). 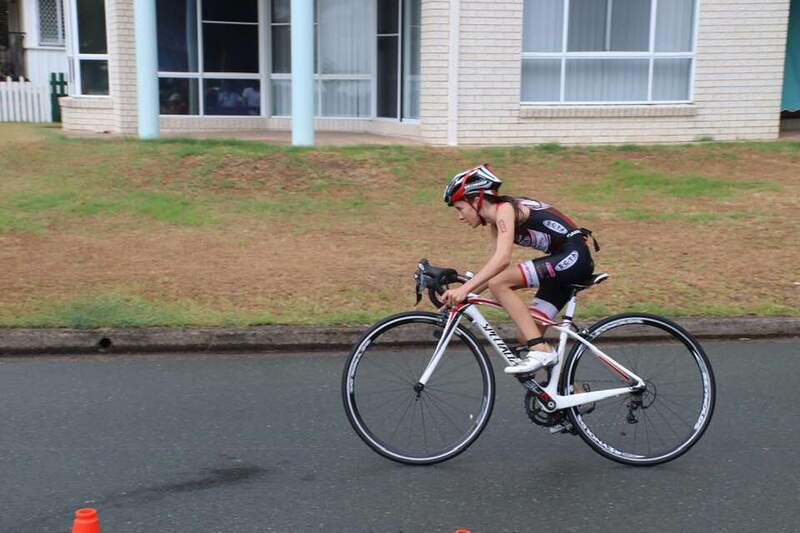 In the Enticer, Mia Wooldridge continued her podium performances with a 2nd (U/14 and 2nd Female Overall). 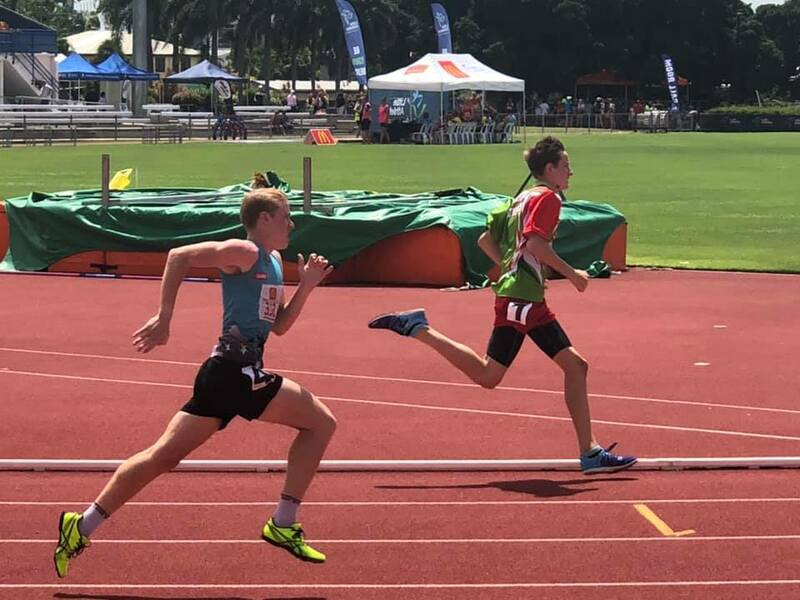 Cairns was the venue for the Australian Schools Athletics Champs. Conditions were quite windy and rainy. 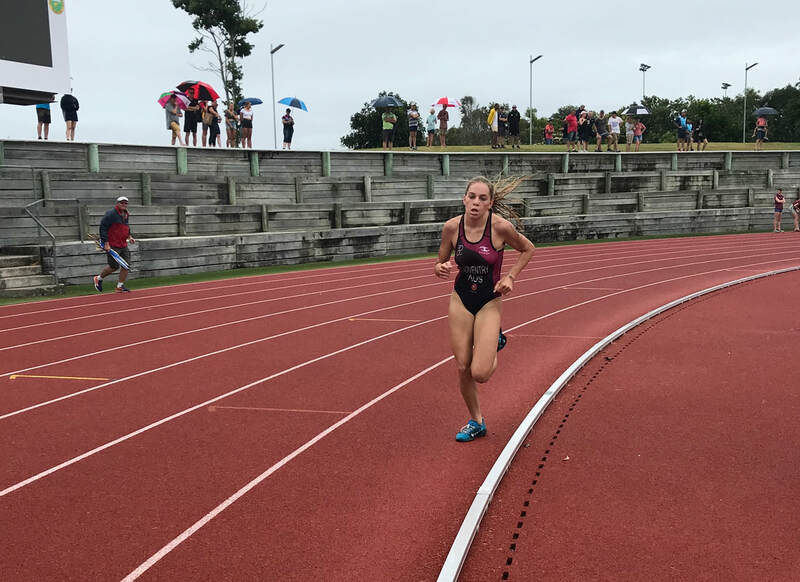 Jazi Coventry lined up in the U/18 1500m where she finished 4th. 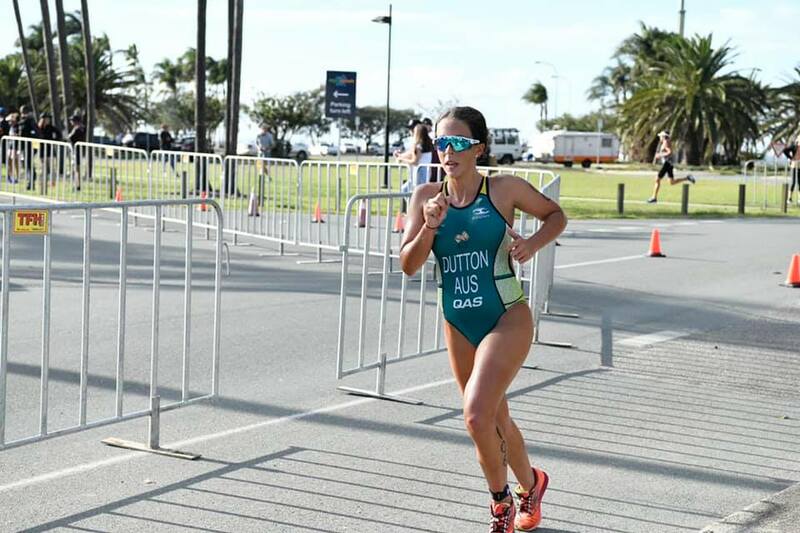 There were a few run events on the weekend with Toni Weller lining up in the GC 30km Run where she was 5th (40-49) and 15th Female overall. On the same day, the Beerwah @ Daybreak was held in muddy conditions. 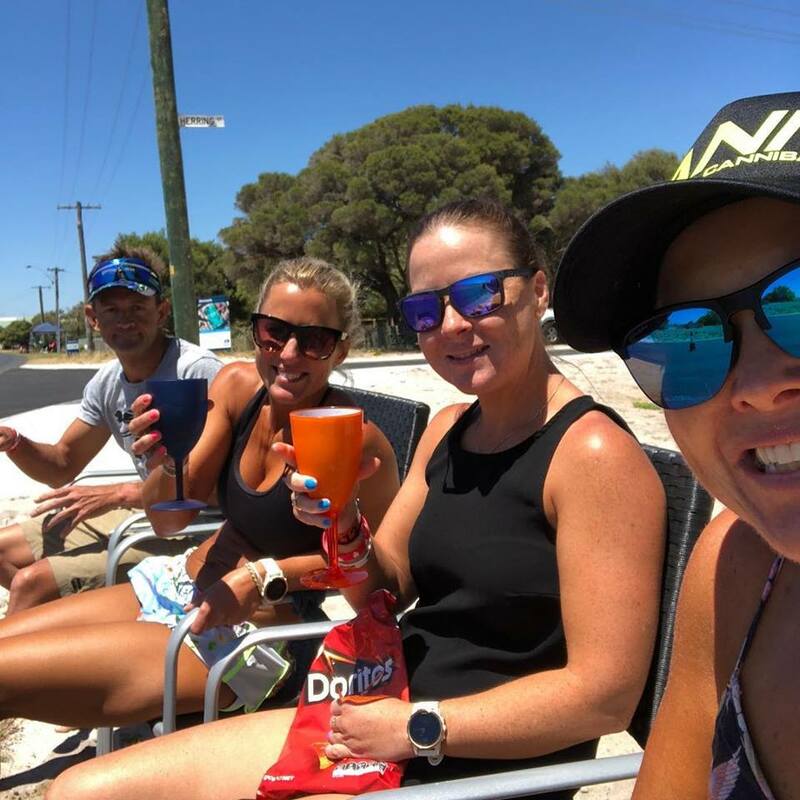 In the Half Marathon the Shults family had a run with Scott 2nd (40-49), Jazzy 7th (U/29) and Jen 8th (40-49) while Erin Reid lined up in the 10km to finish 2nd (40-49) and 4th Female overall. 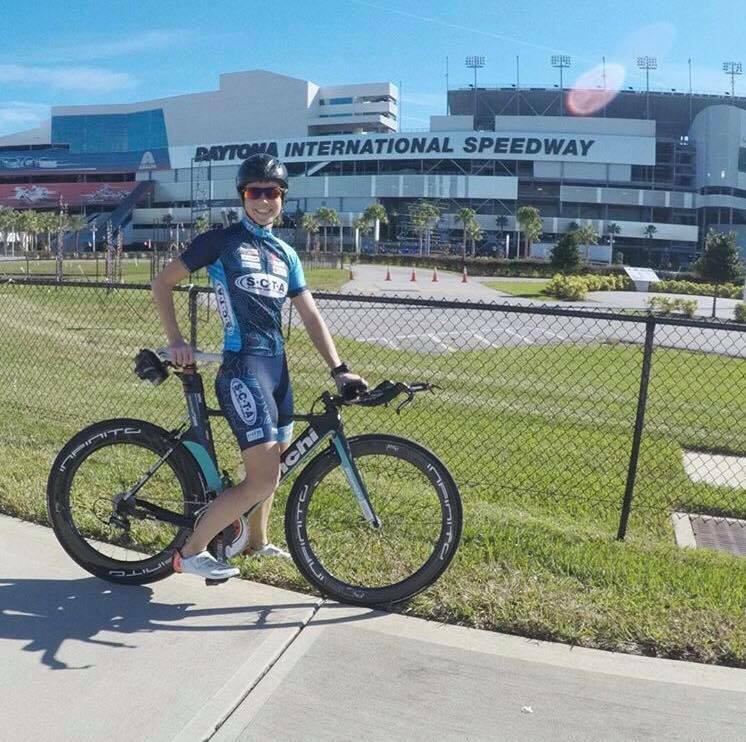 SCTA Club member Carrie Lester lined up at the Indian Wells 70.3 in her last race of the year. 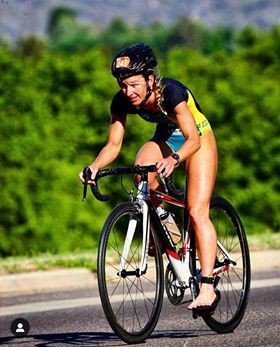 She had a solid raced that landed her in 3rd spot on the podium in Professional Females. 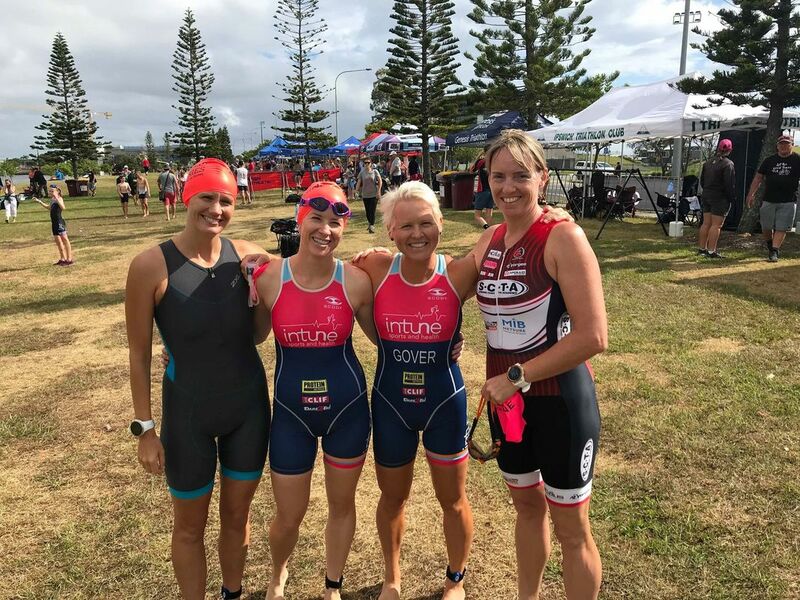 Sunshine Coast Triathlon Academy / Protector Aluminium Athletes were action in the West and South of the border with the Western Australian Ironman + 70.3 and Kingscliff Triathlon. 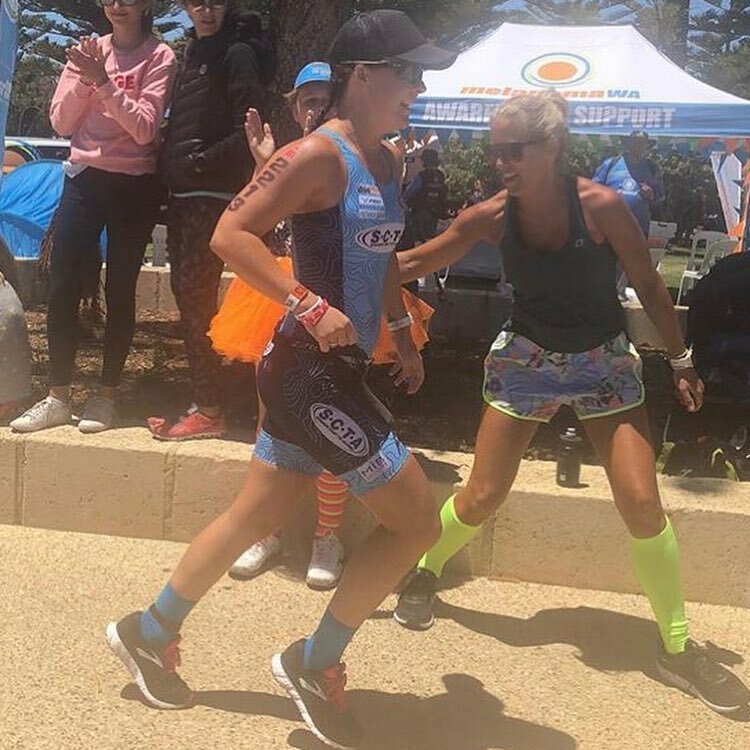 Over in the West we had a contingent of 10 athletes make to trip across the continent to compete in the 15th running of the Busselton Ironman. 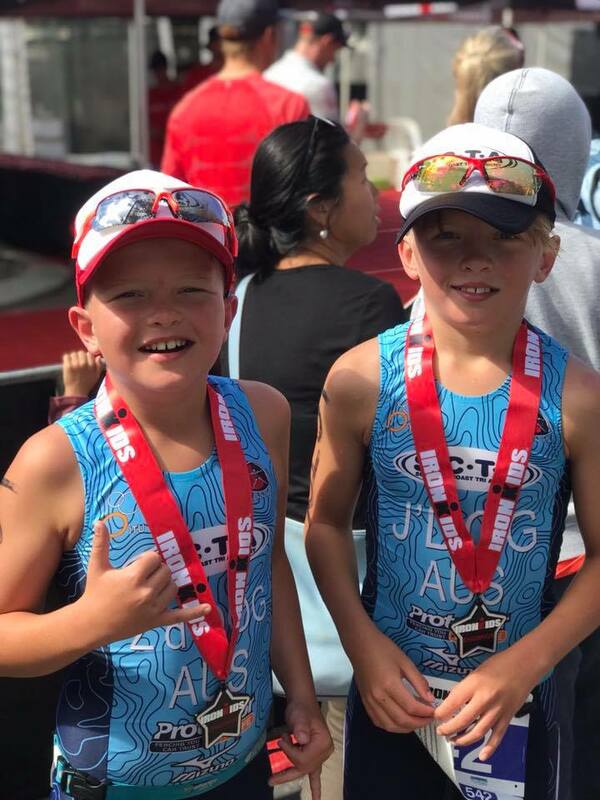 As with any Ironman the IronKids start the proceedings and the little pups (not so little) of Jake and Zak Hammond led the charge and had some great races. Nice work boys. 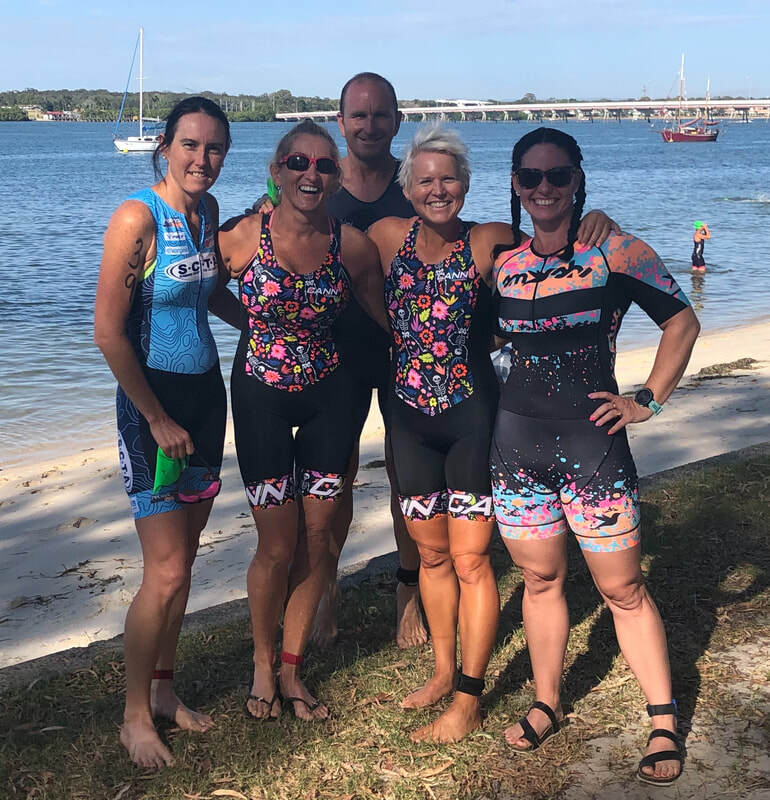 Race day came and not without any hiccups for a few of the crew, they were greeted with perfect conditions for racing with a new swim course. 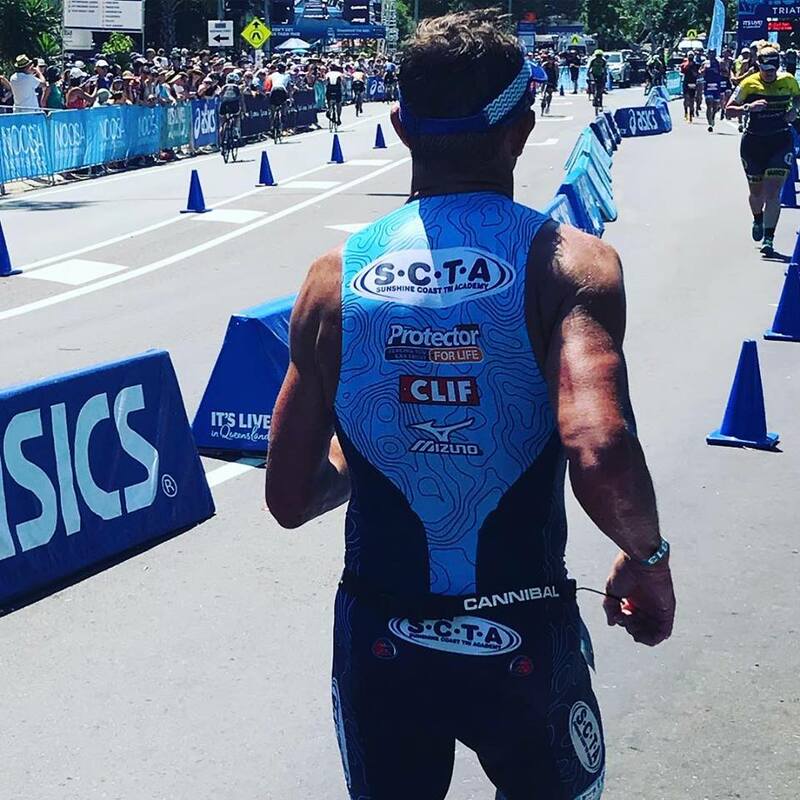 Kevin Hammond lined up in his first Ironman and had a great day out in the office. Just missing the 11hr mark he finished with a time of 11:00:56 and 42nd 40-44. Well done mate let the recovery holiday begin. 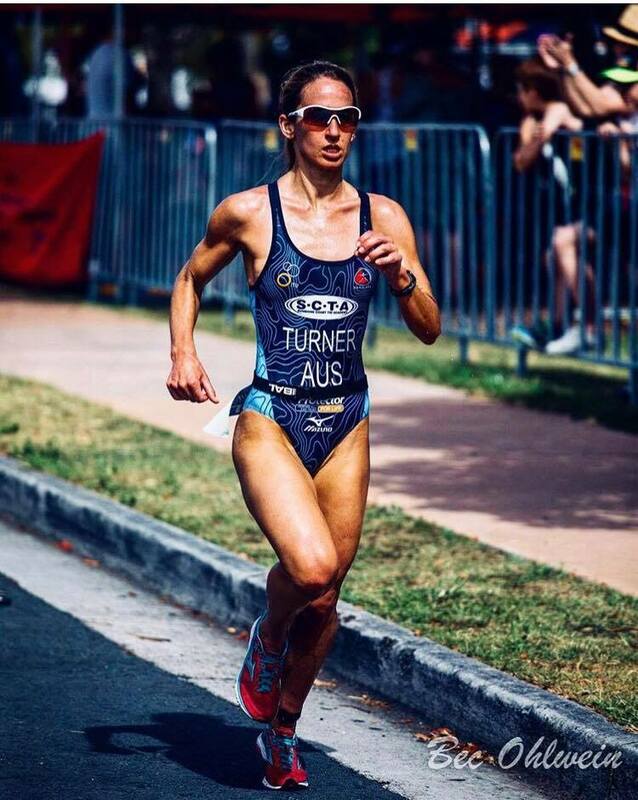 Tara Partridge was to be the other to race the IM. A hard decision needed to be made and she did it on Friday. 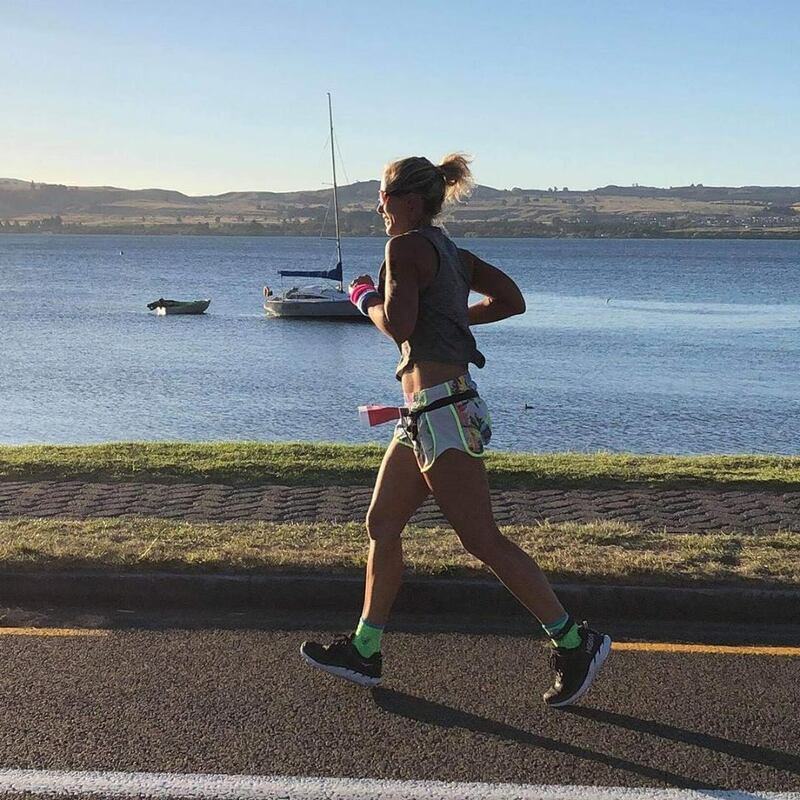 With a severe case of bronchitis that she contracted the weekend before the race. 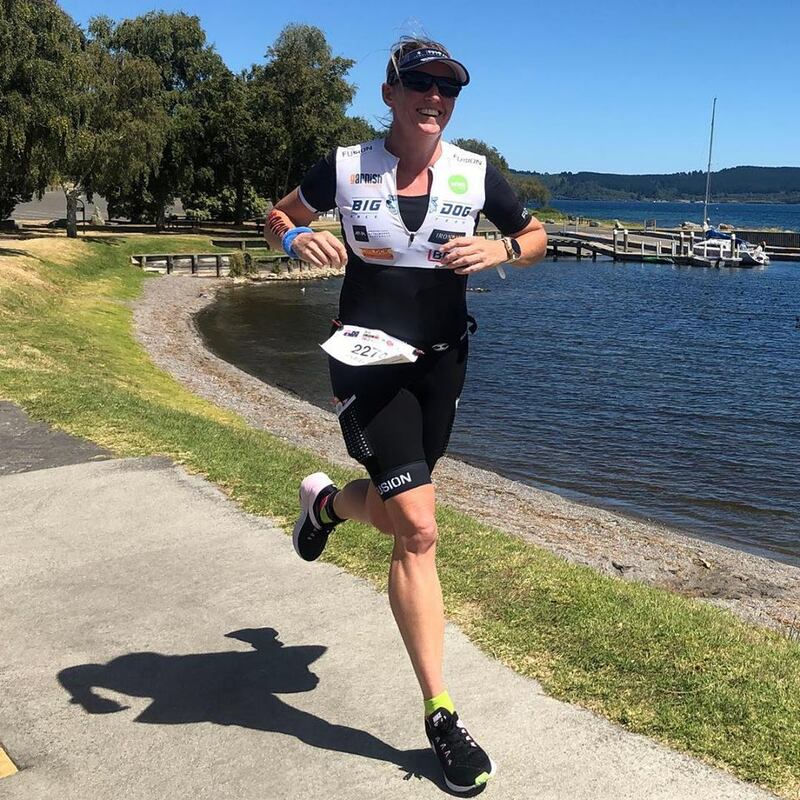 Sher has her sights on Taupo IM on 3rd March. 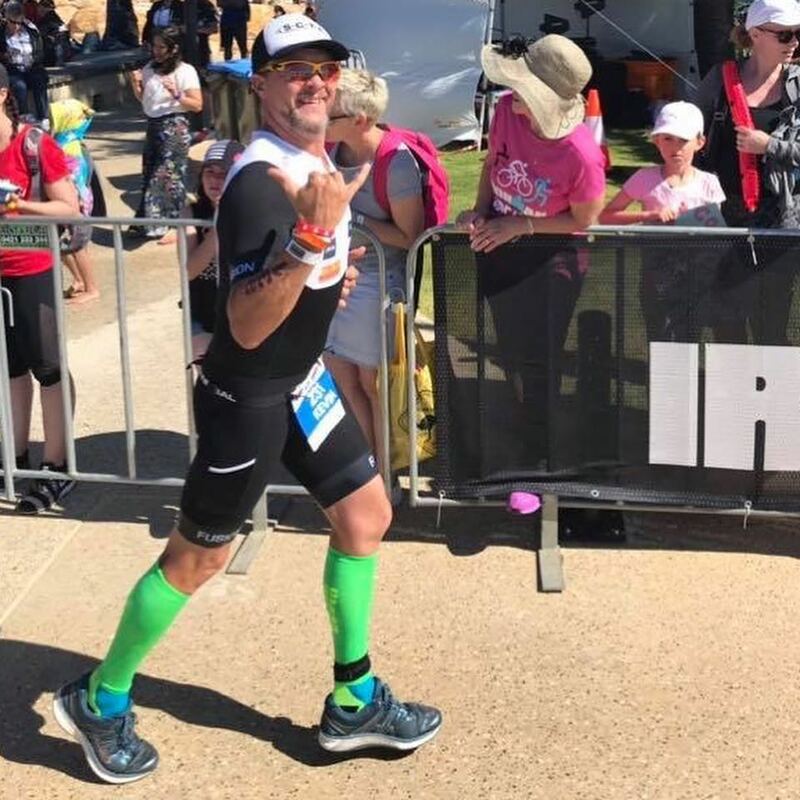 In the 70.3, Mick Woodcock led the charge with a great race despite picking up a vomiting and diarrhea bug the afternoon before the race. 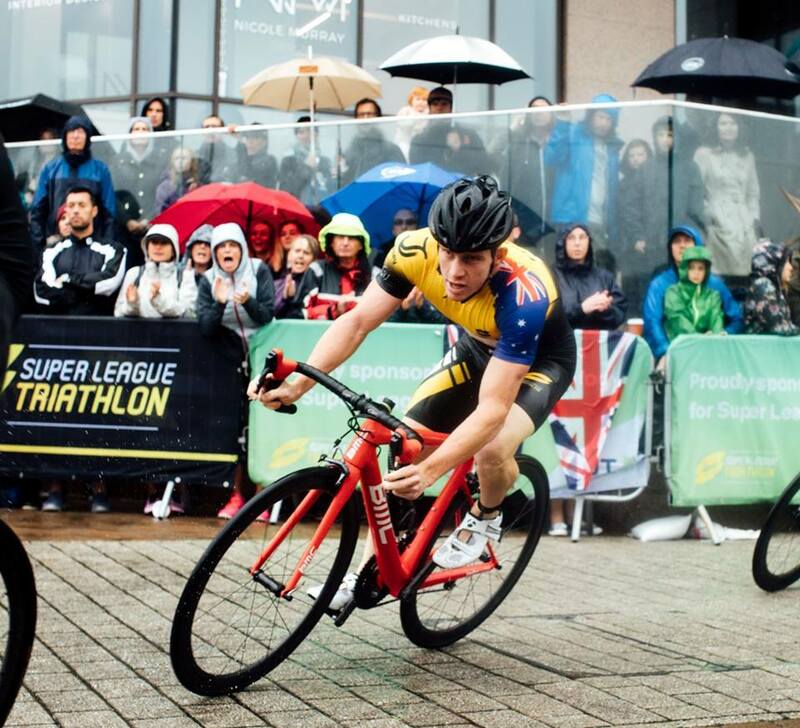 So to finish just missing the podium with 4th 45-49 and 42nd Overall made this performance even more remarkable. 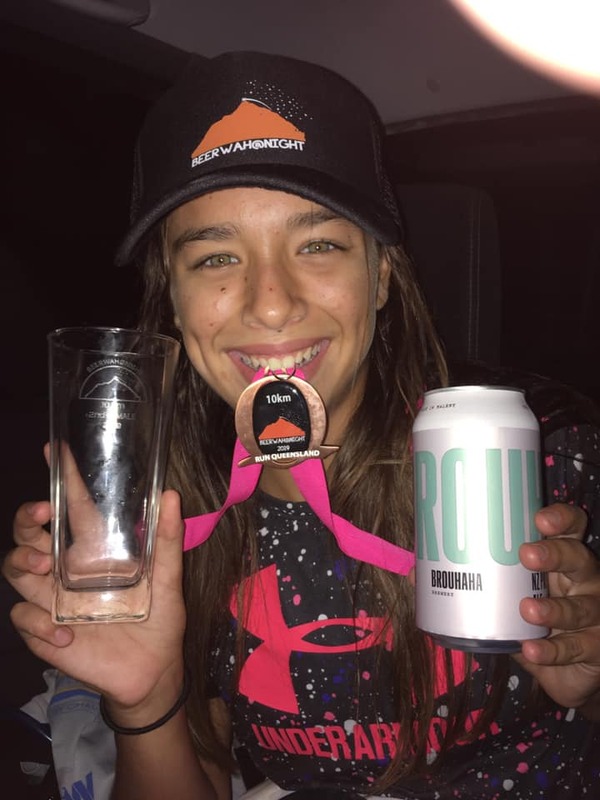 Tania Gover was 5th 40-44 and 28th Female overall, This lady does it with a smile and doesn't whinge. The crazy schedule she has with work and travel and a dodgy body at best, the way she gets in and gets it done. Awesome effort. Norm Marsh was 11th 50-54 had a strong race while Kelly Enright topped it off with a 15th 30-34. 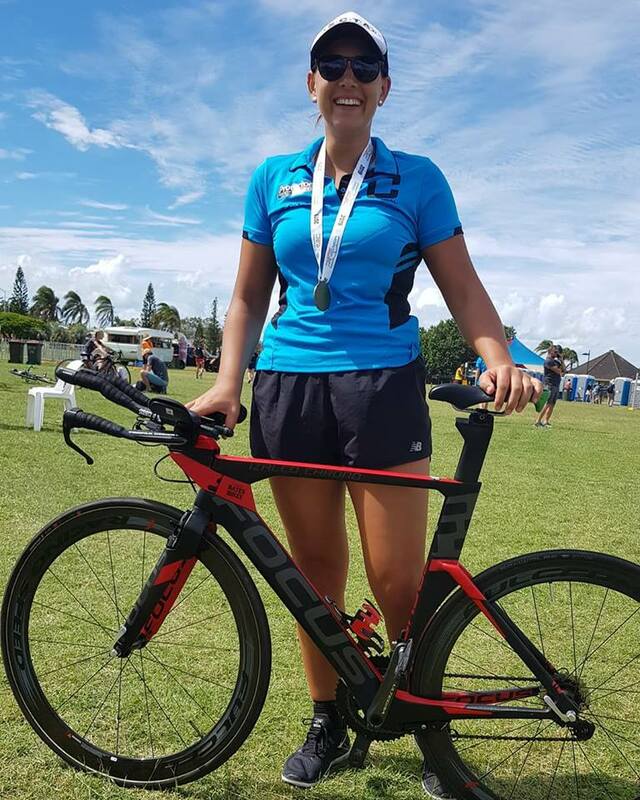 Emily Baker took on a Team event where she did the swim and her first ever 90km ride. She had a great day out to record 8th Mixed Team called BUS (Broke Uni Students). 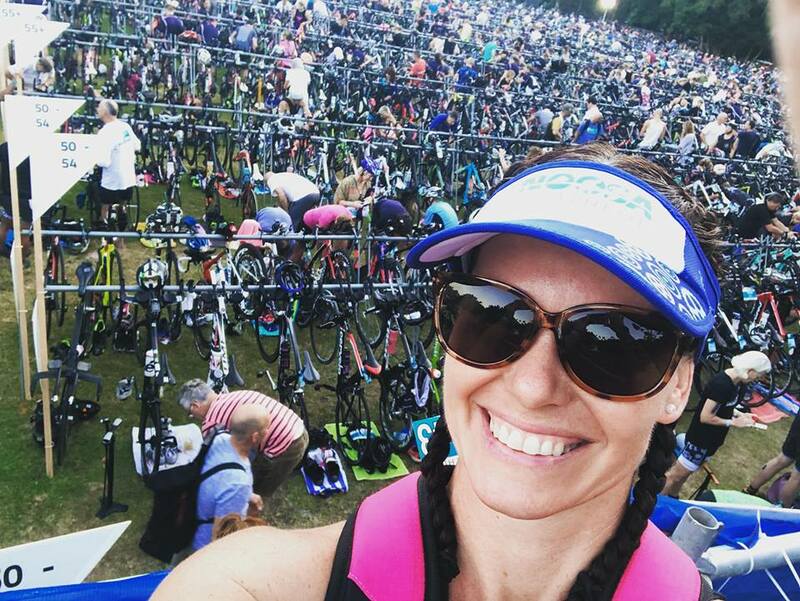 To round out the crew in her first ever 70.3 Angie Hammond took on a challenge head on to finish 34th 40-44. 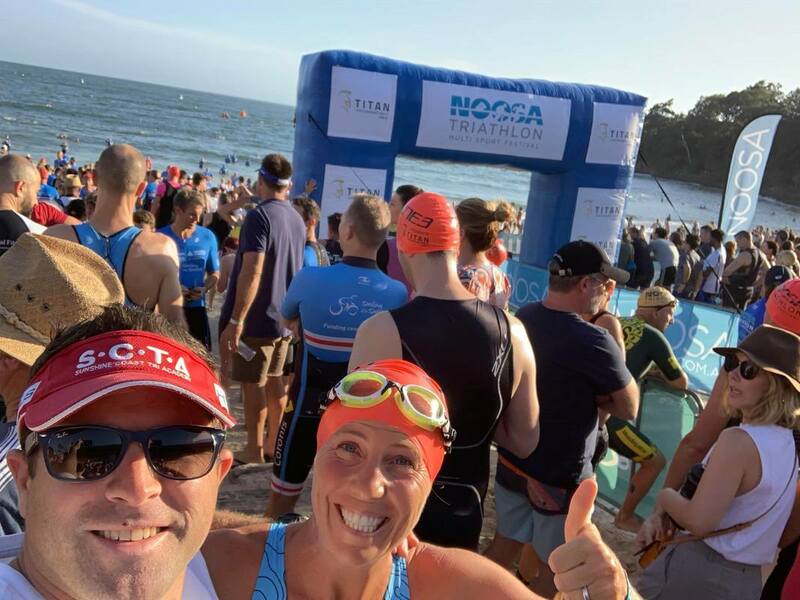 During the lead up, Angie questioned herself numerous times and I know she loved the 5.15am Swim starts, but the hard work paid off and you got the result you were looking to achieve. 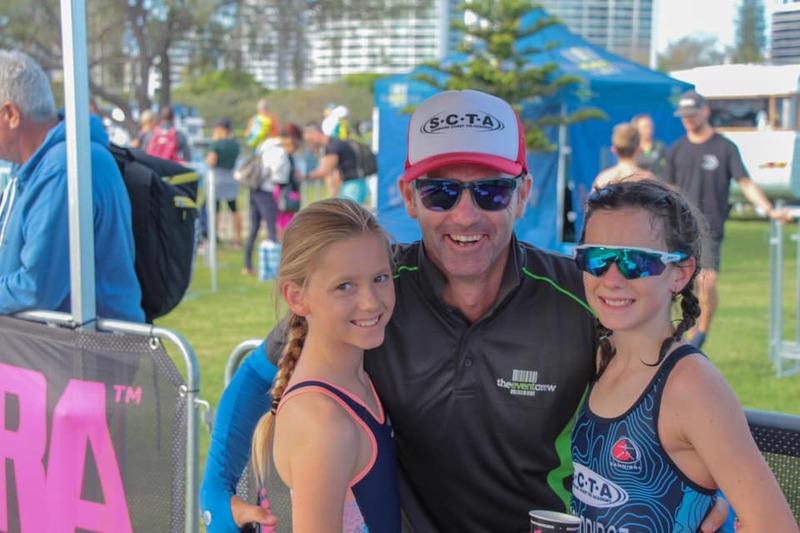 At Kingscliff over the Olympic Distance, we had a small crew head south for this annual event. Kaya Shults led the way with a 2nd place on the podium in 16-19, while Mitch Baker was 4th 25-29 and Jessica Lee rounded out the positions with a 14th 35-39. Well done top all that raced. Full results below.